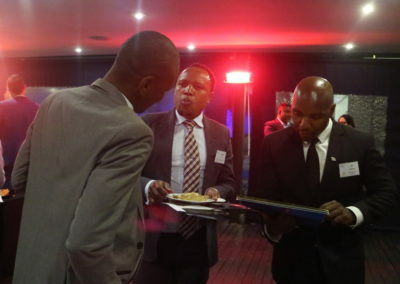 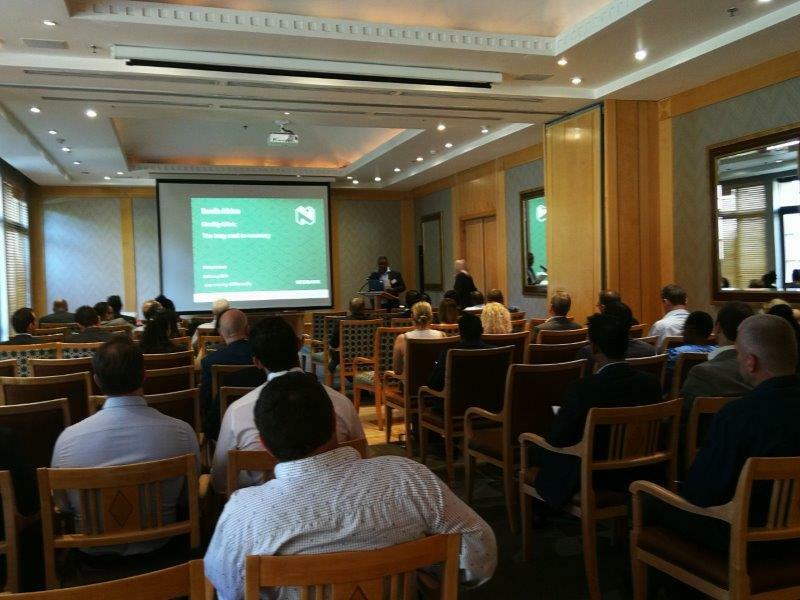 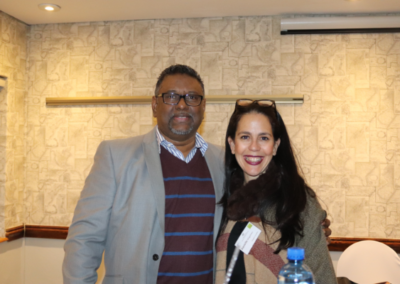 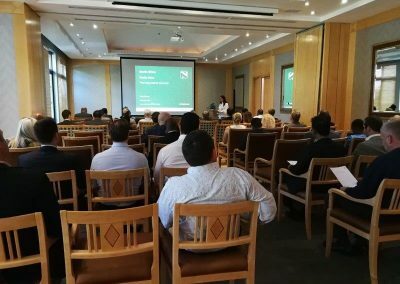 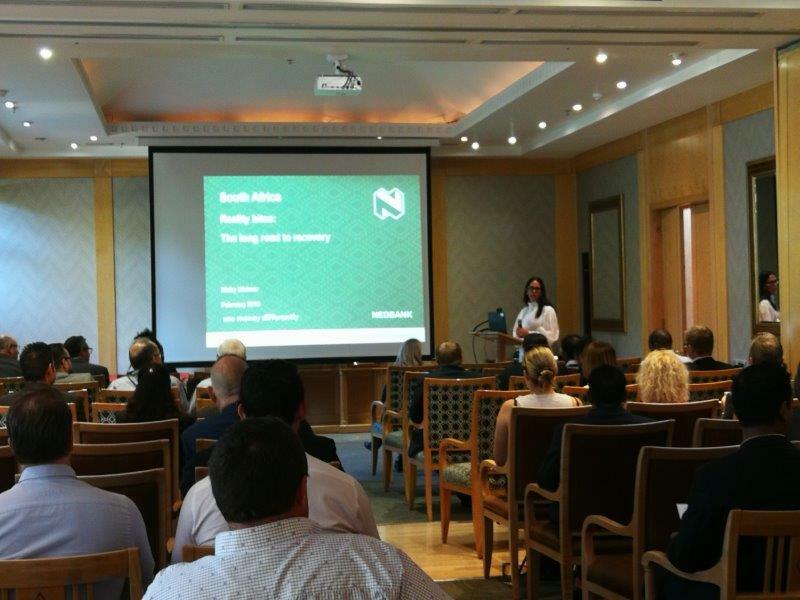 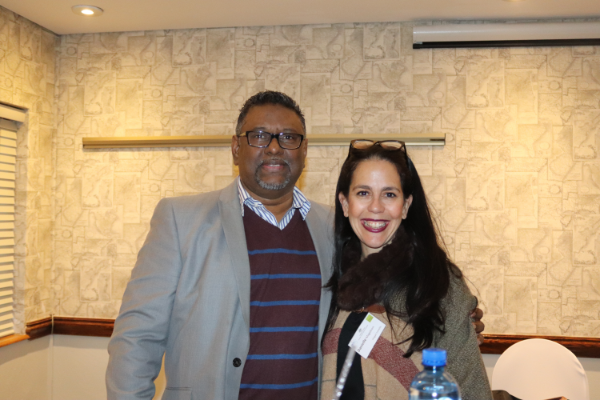 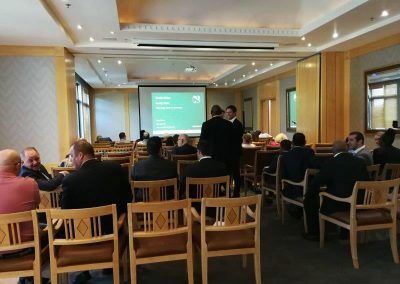 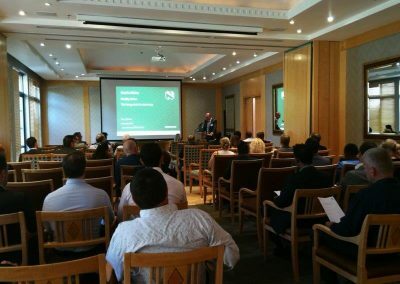 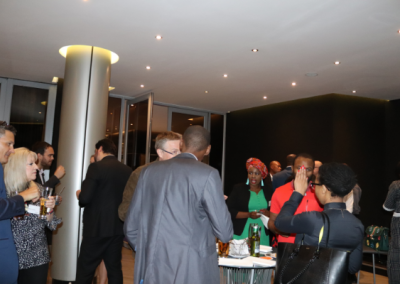 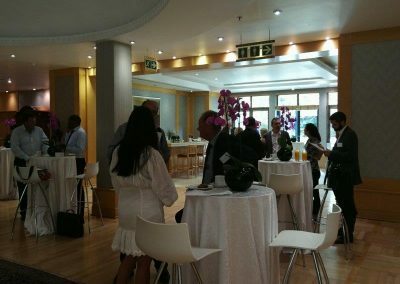 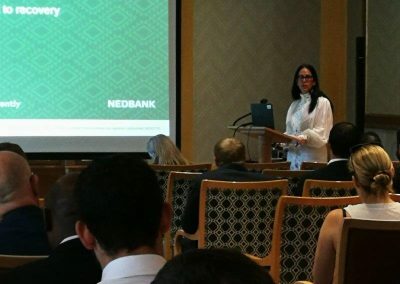 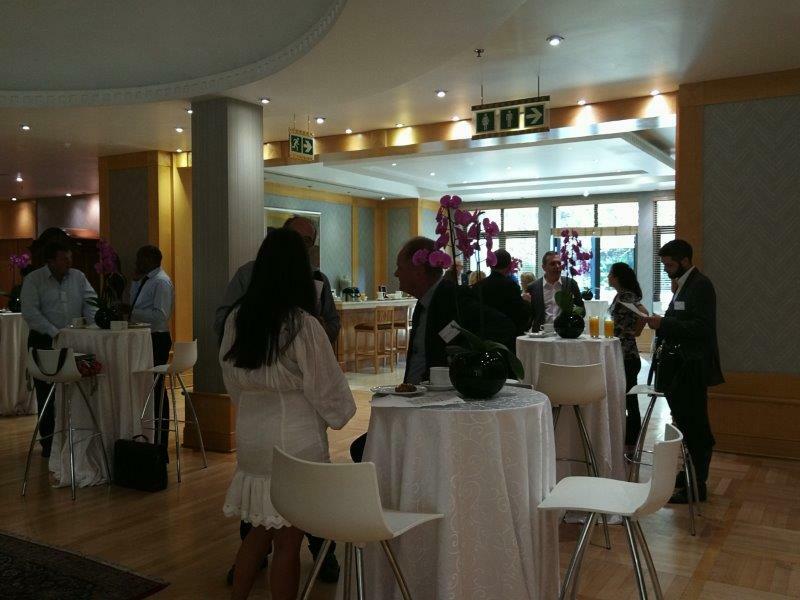 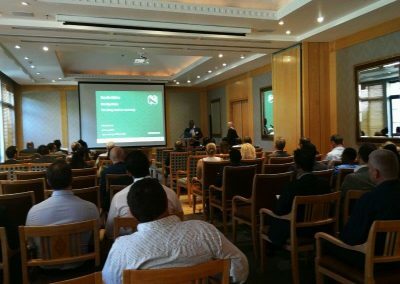 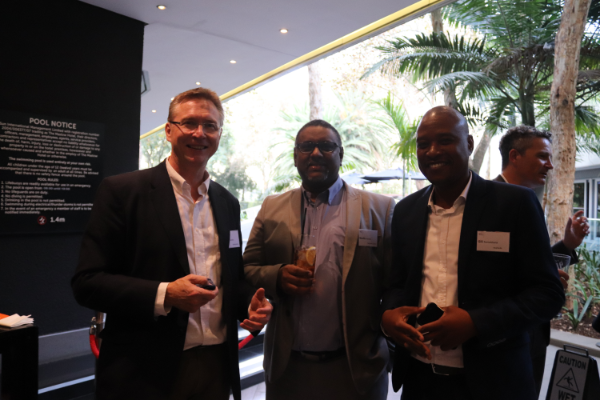 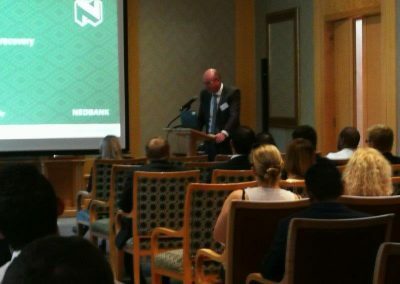 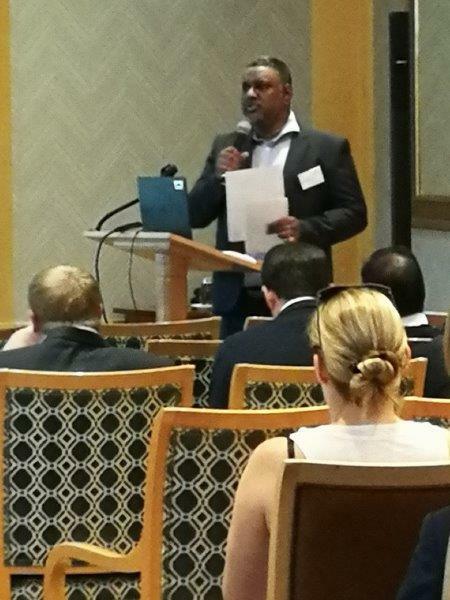 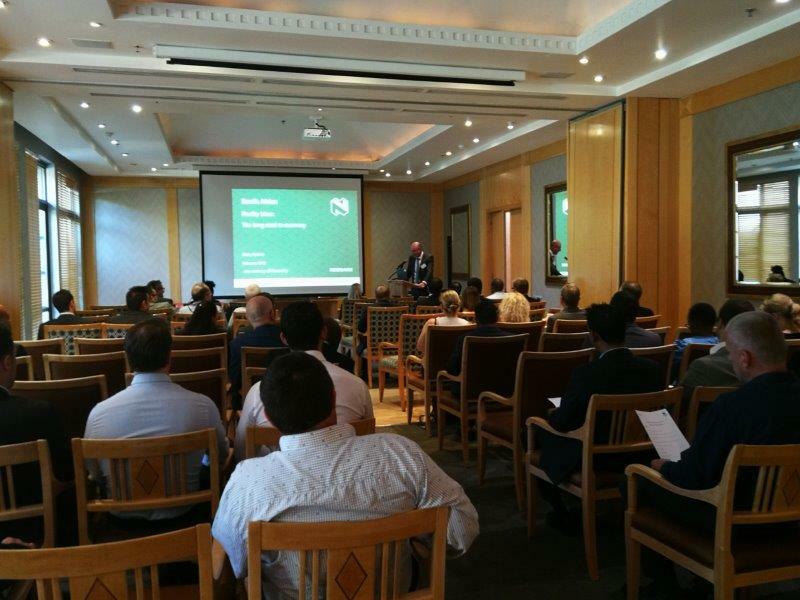 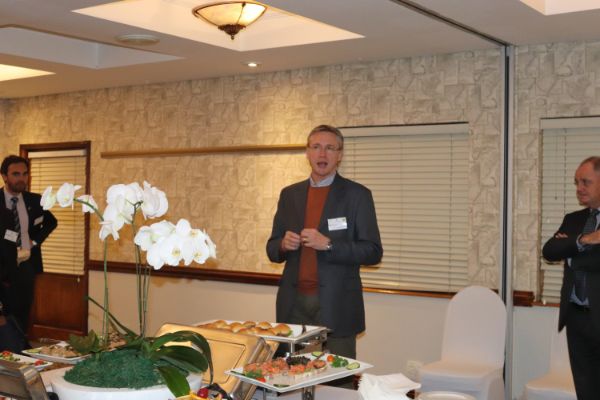 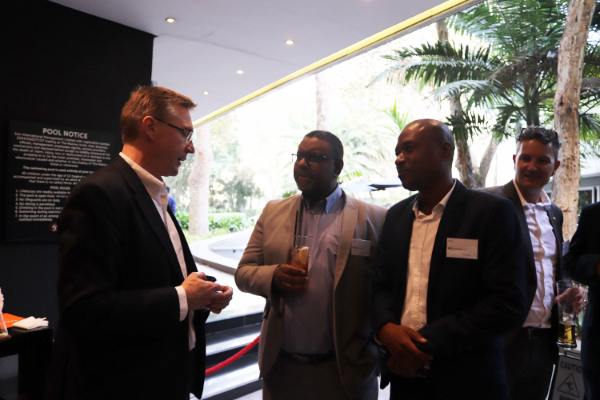 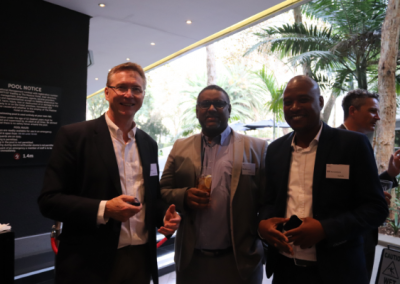 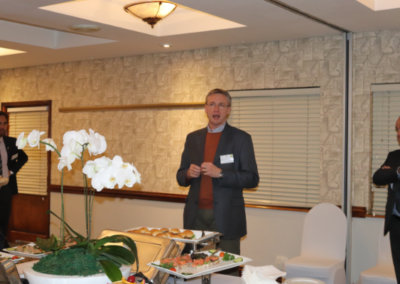 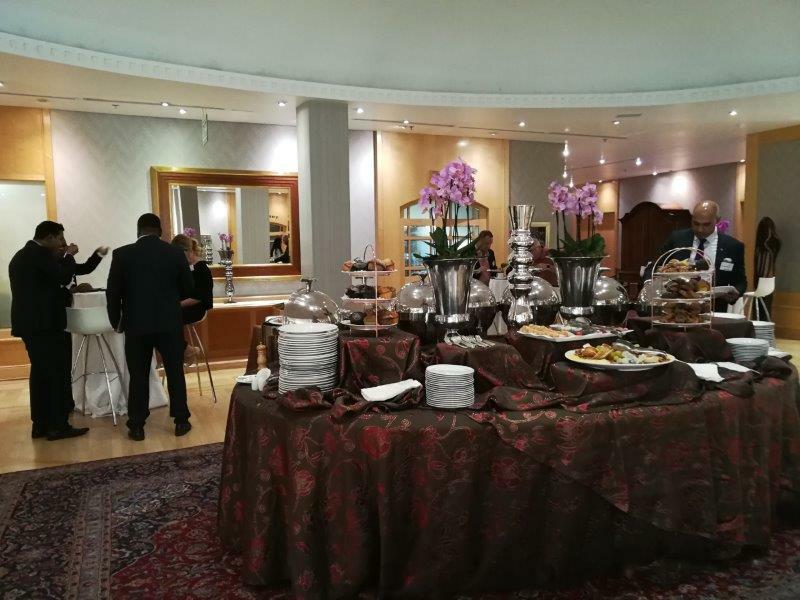 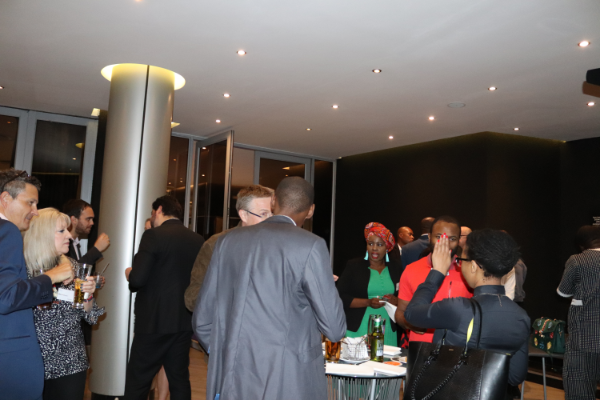 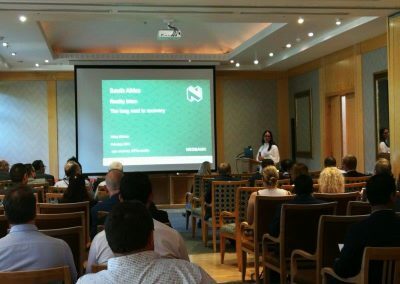 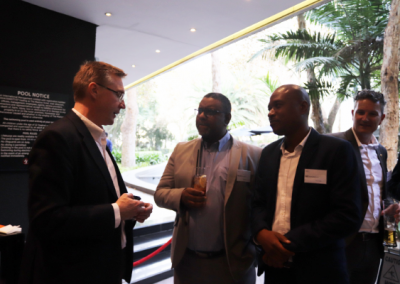 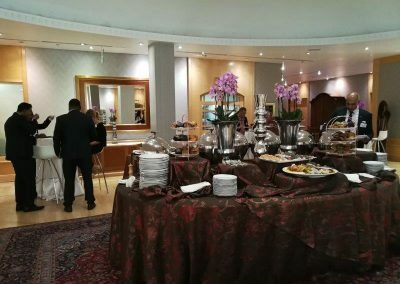 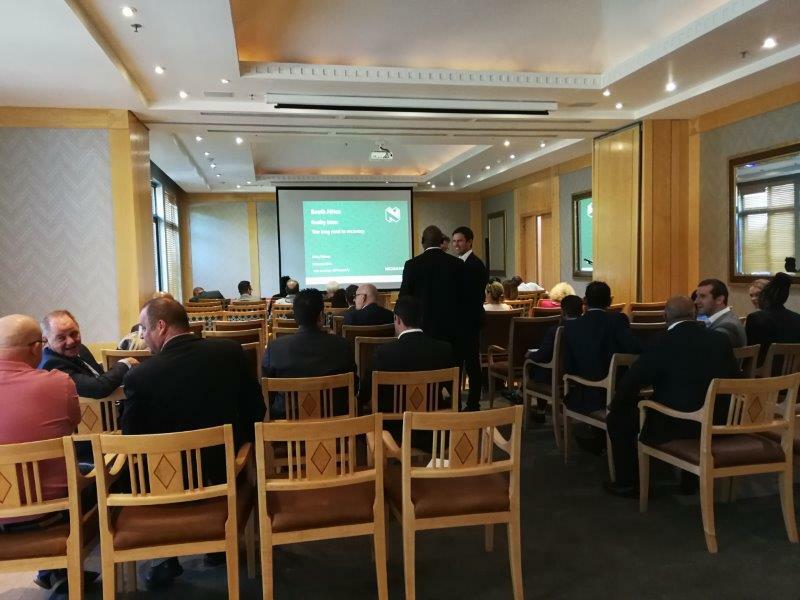 Many thanks to Nedbank for hosting a fascinating business and economics breakfast on 26 February 2019 in Johannesburg for ABCSA members. Nedbank’s Senior Economist Nicky Weimar gave a riveting readout of South Africa’s budget and the economic trajectory going forward. The Australian High Commissioner HE Adam McCarthy provided opening remarks on the continuing strength of the Australia-South Africa economic relationship, with Australia the seventh largest foreign investor in South Africa. 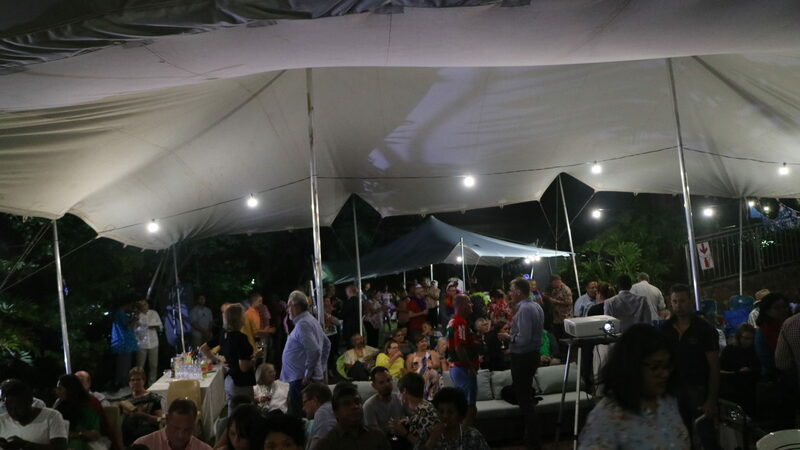 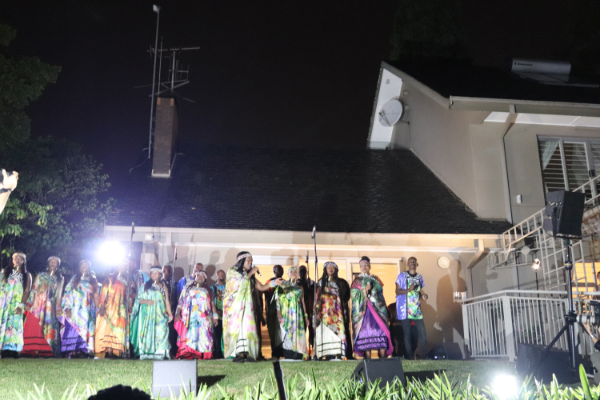 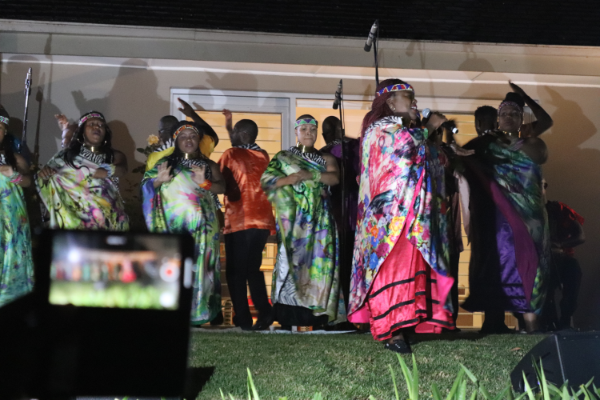 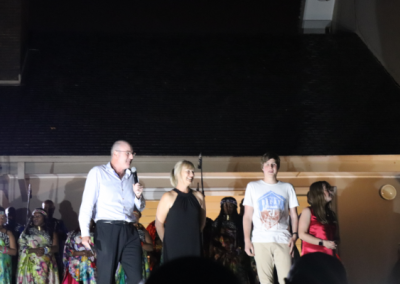 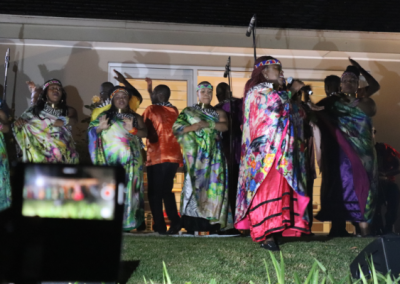 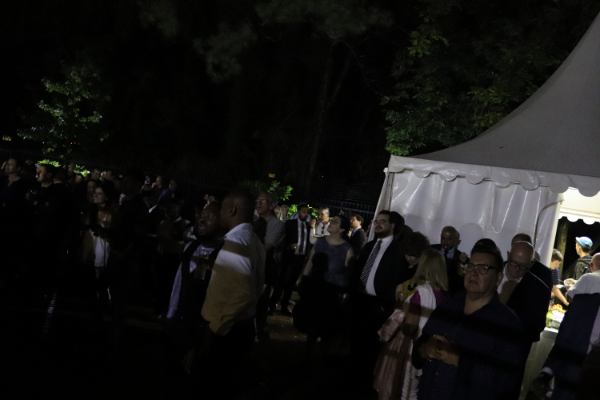 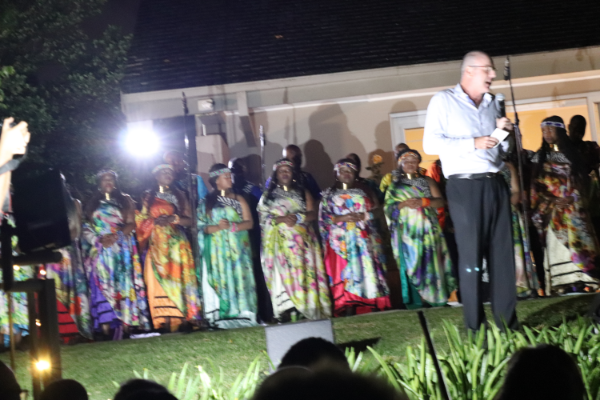 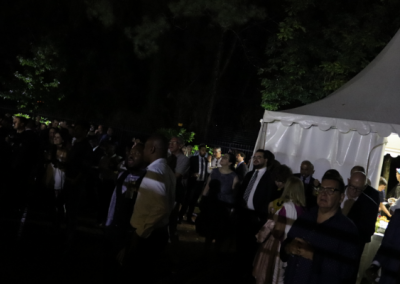 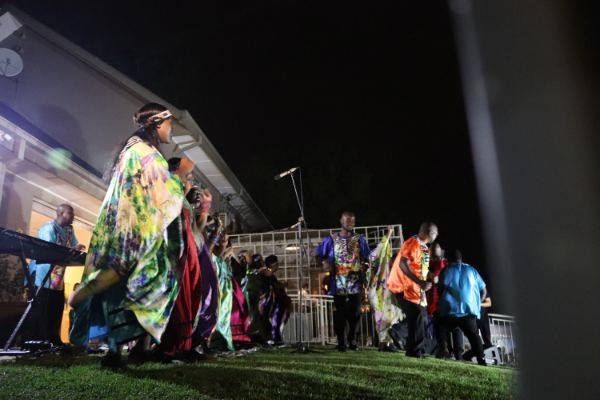 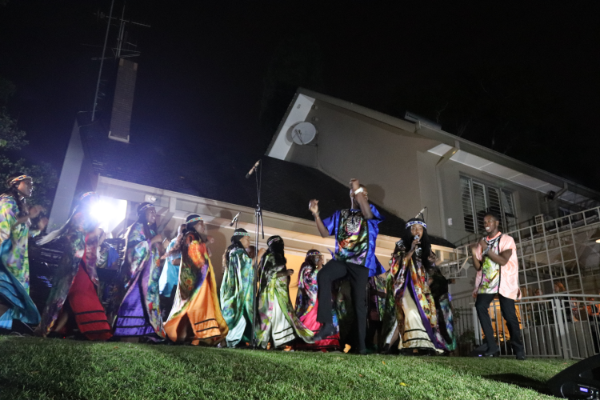 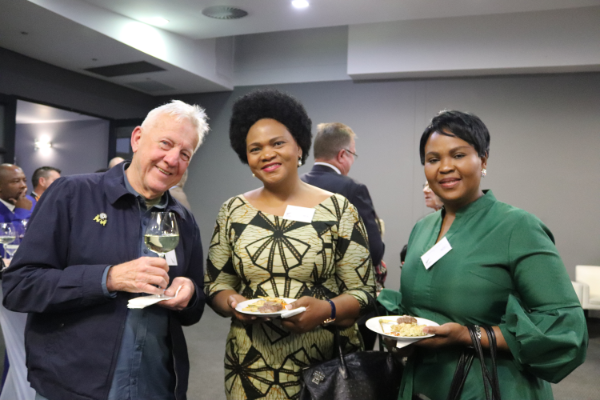 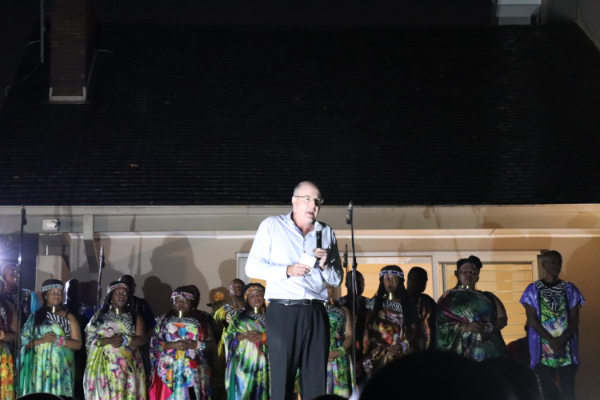 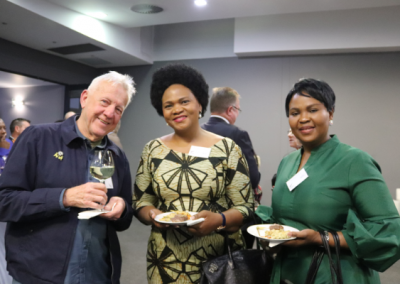 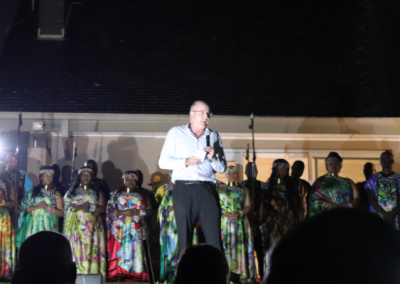 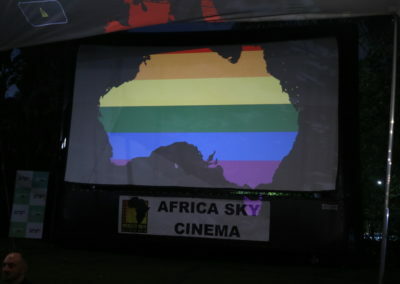 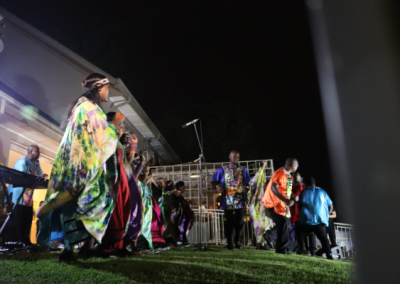 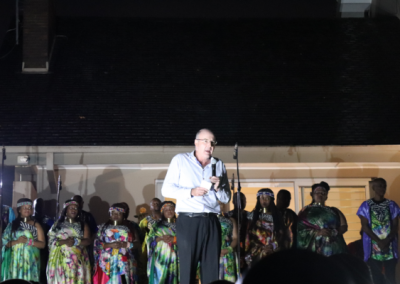 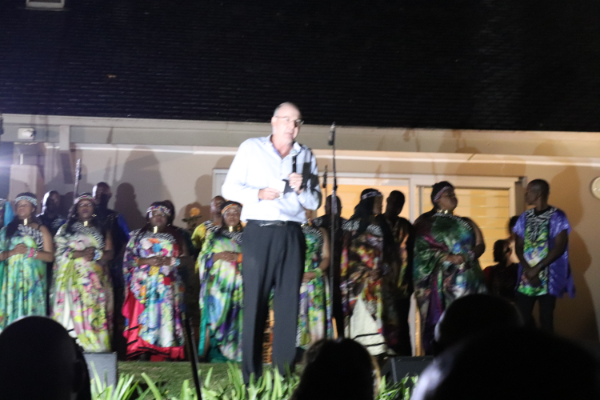 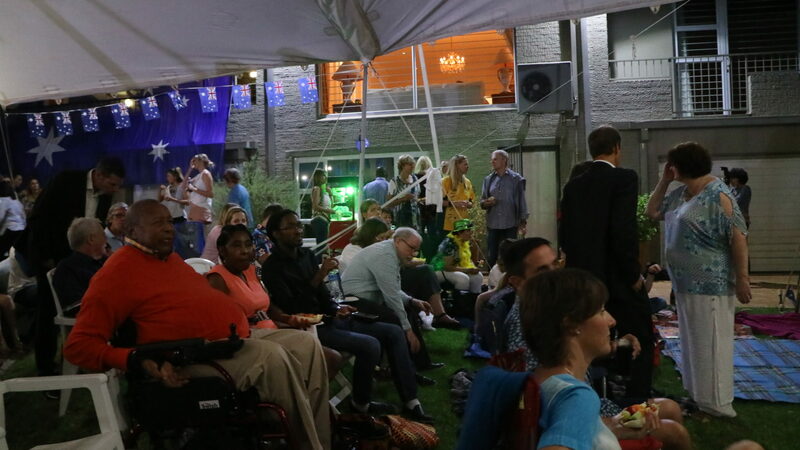 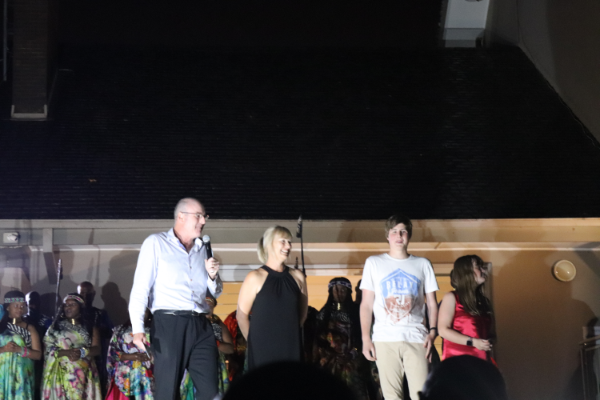 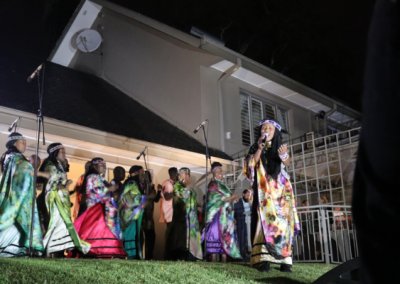 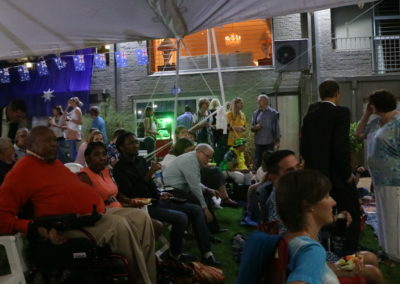 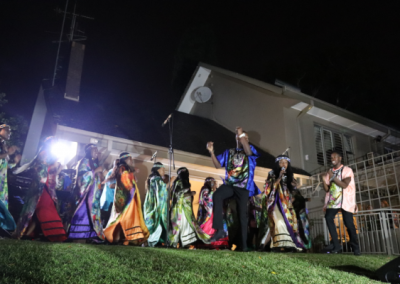 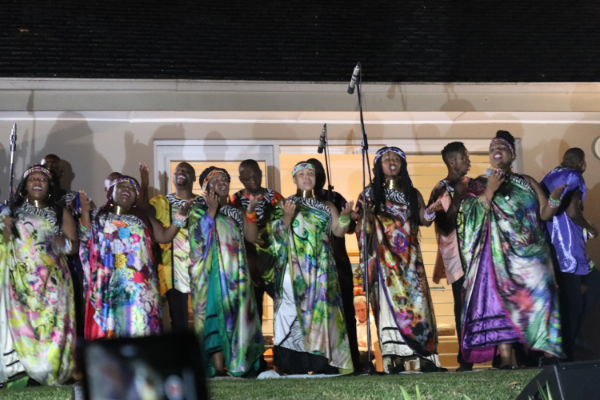 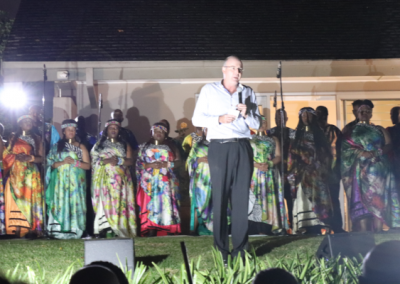 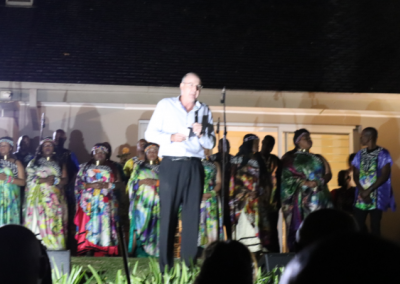 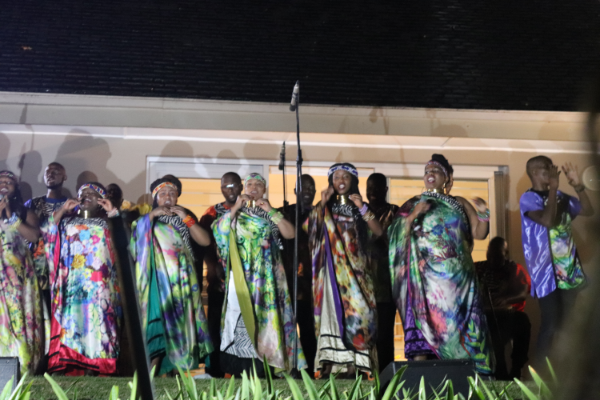 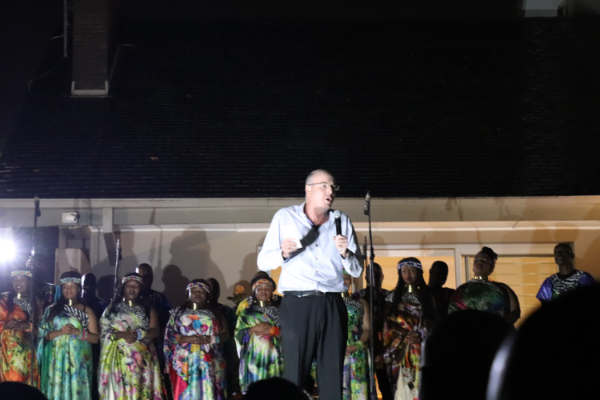 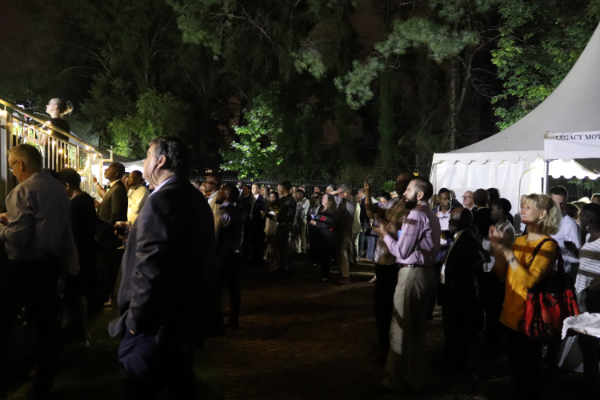 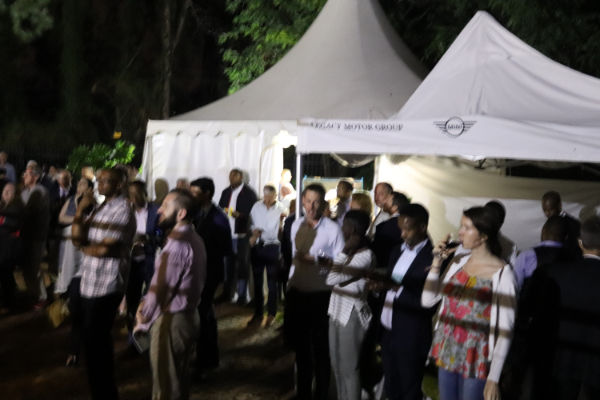 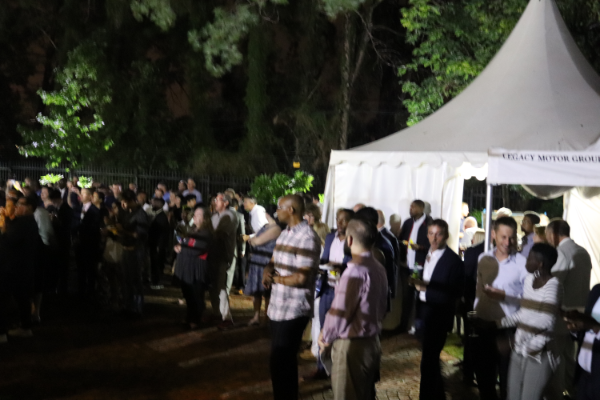 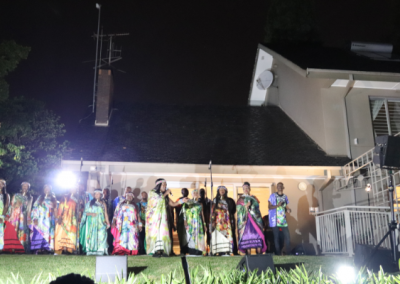 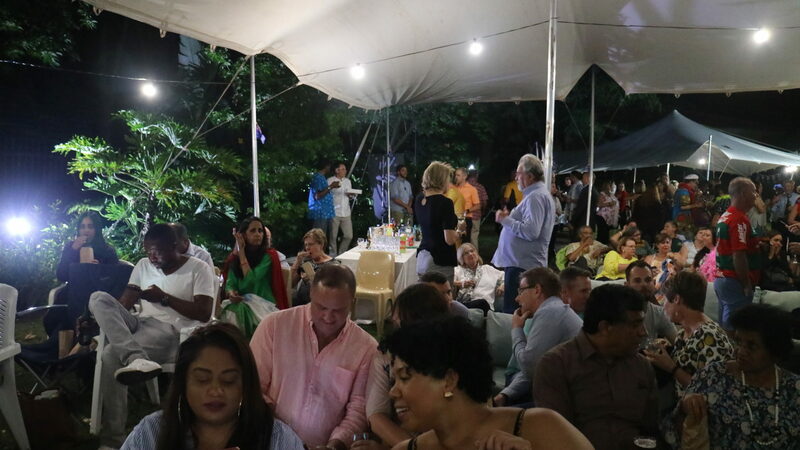 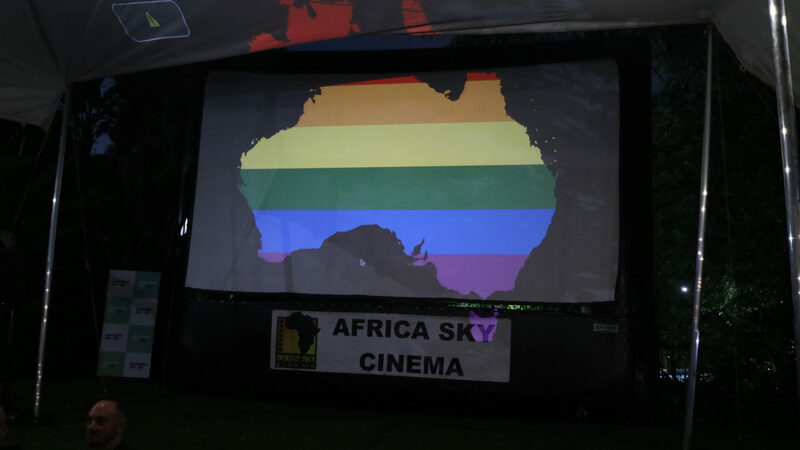 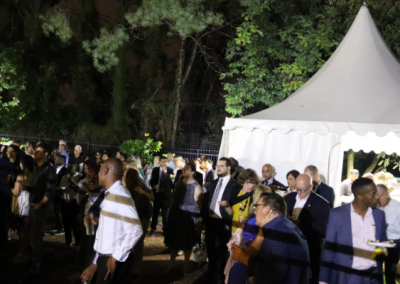 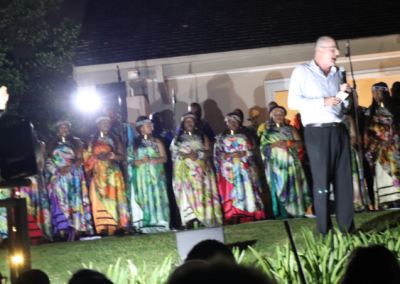 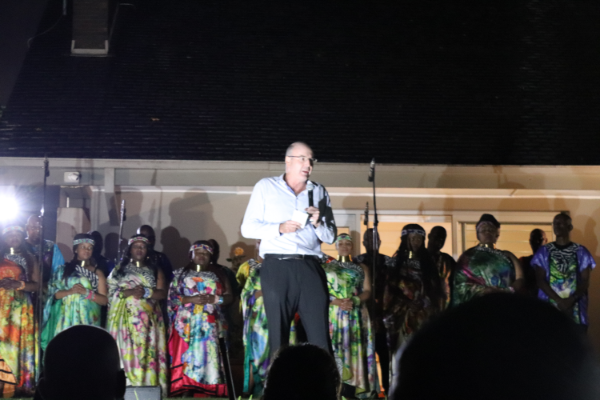 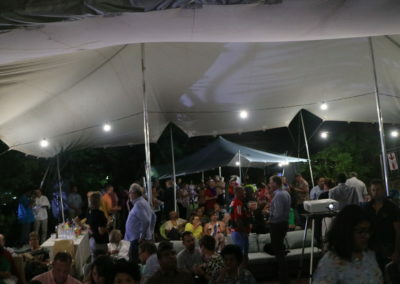 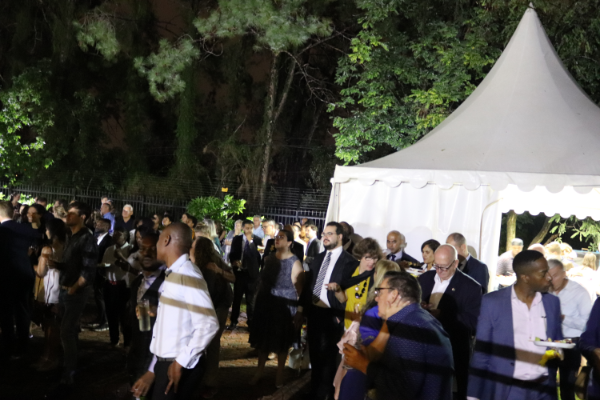 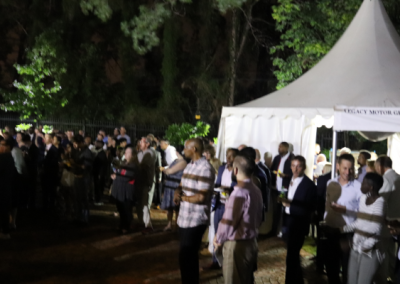 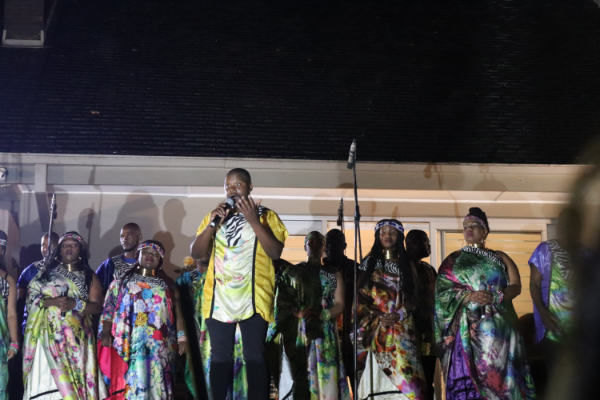 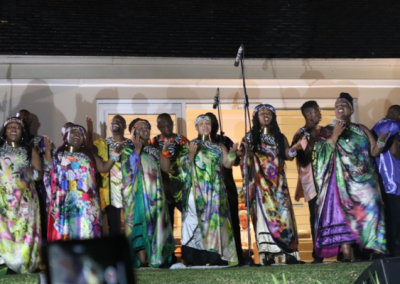 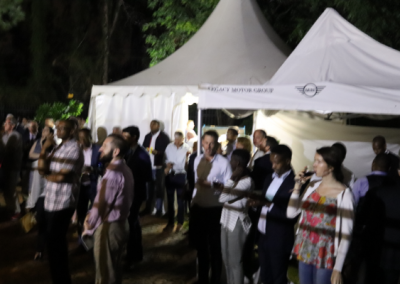 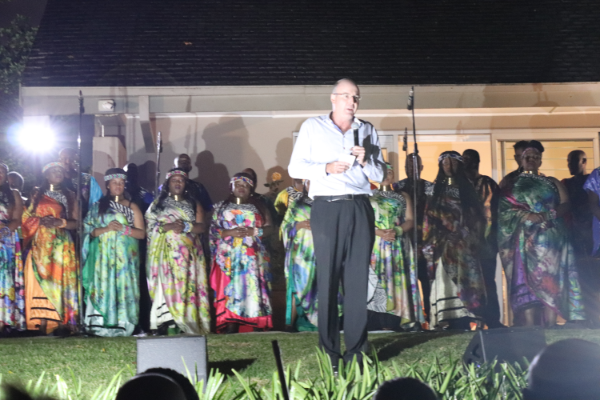 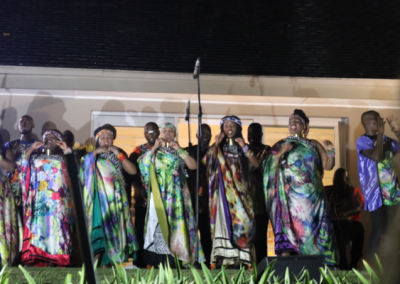 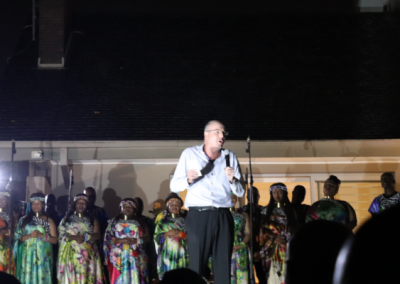 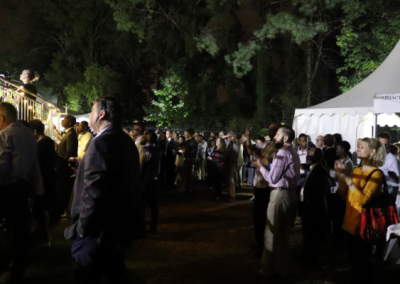 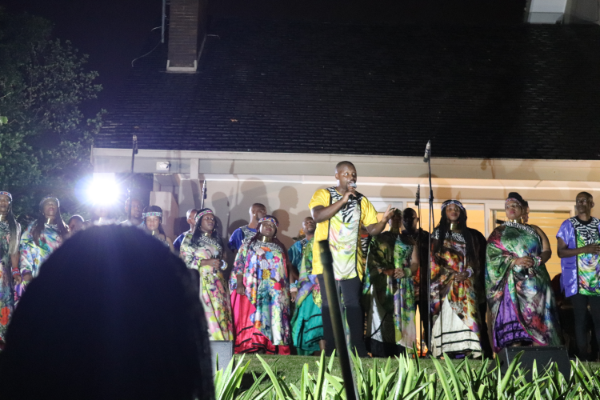 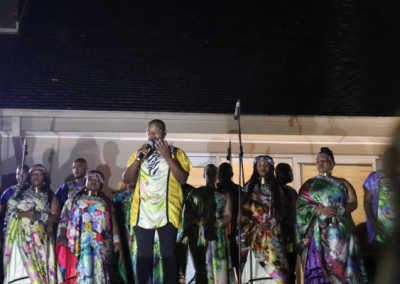 ABCSA was thrilled to participate at the Australian High Commission Pretoria’s Australia Day 2019 celebrations with a traditional Aussie Barbeque, entertainment by the Grammy award winning Soweto Gospel Choir, and an Australian business showcase. 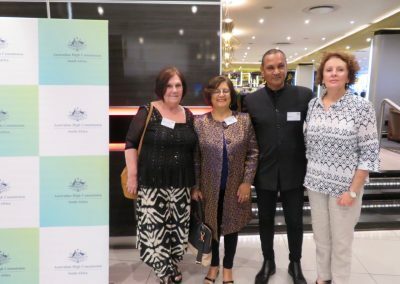 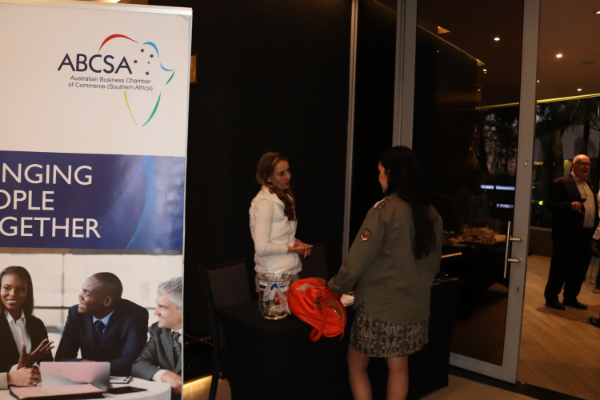 The Australian business “marketplace” showcased a number of ABCSA members including Cotton On, Flight Centre-South Africa, Qantas and Worley Parsons, with R.M.Williams, PEAK Destinations, Solahart, and Orion Minerals also participating. 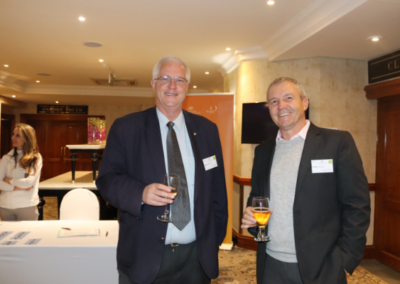 World Vision-Australia showcased Australian Government funded projects in Lesotho, South Africa and Eswatini, and Palladium promoted the work of Australia Awards in Africa. 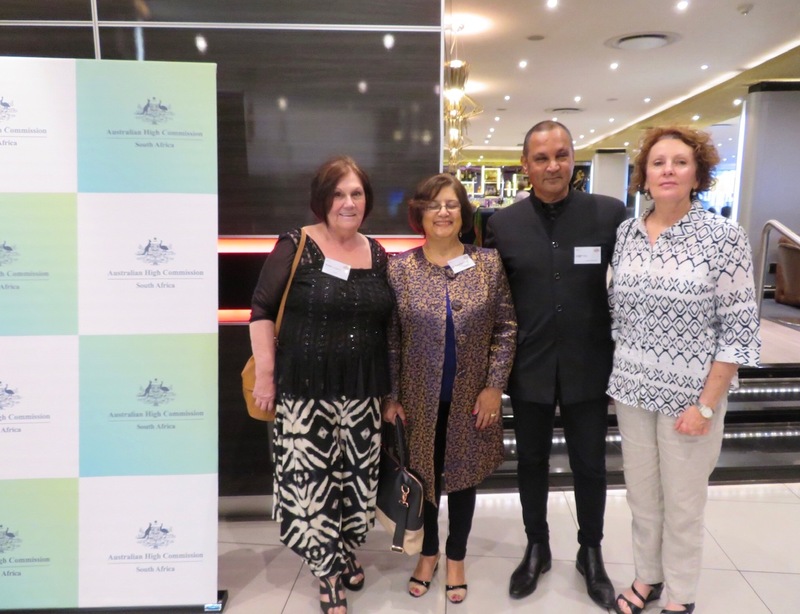 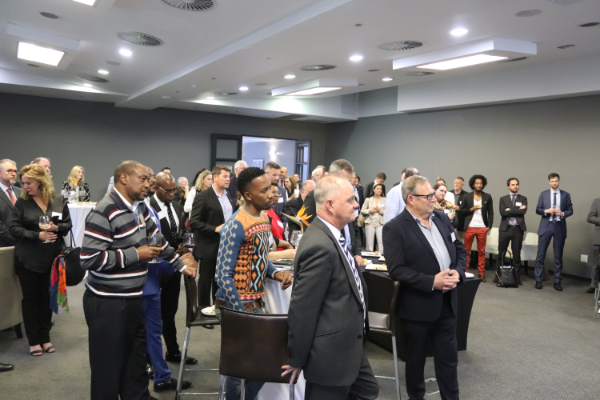 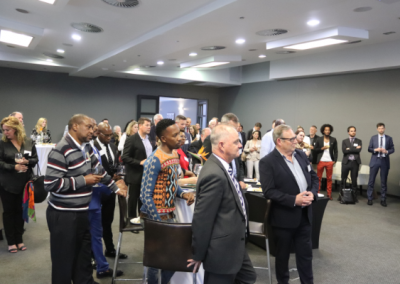 Complementing the business showcase was the photo exhibition ‘Memories of the Struggle’ which documented Australia’s contribution to the South African anti-apartheid struggle. 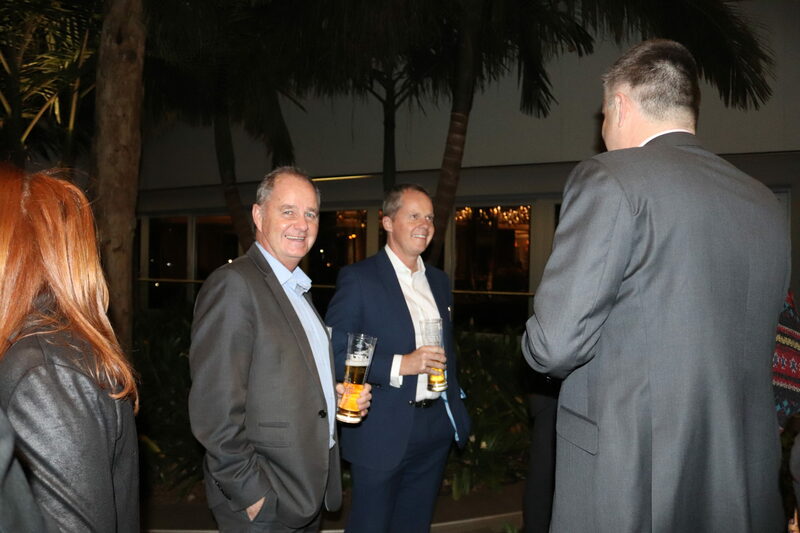 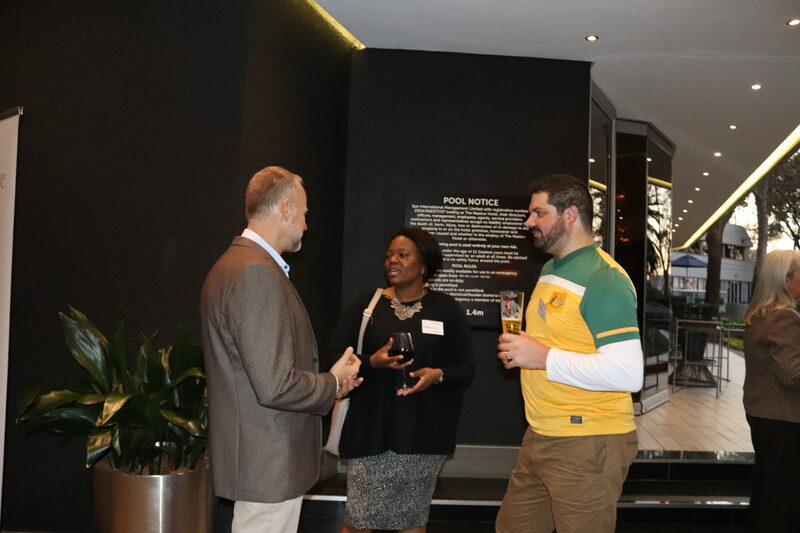 On 15 November 2018, ABSCA members gathered at the Maslow for our annual year end drinks, kindly sponsored by Austrade. The Australian High Commissioner HE Adam McCarthy and wife Nicky were kind enough to join us to raise a glass in the good cause of SA/Australasian trade relations. 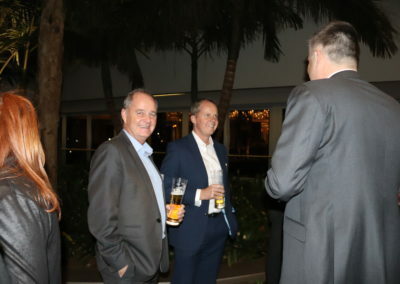 They were joined by colleagues from the New Zealand High Commission, plus corporate and individual members, new and old. 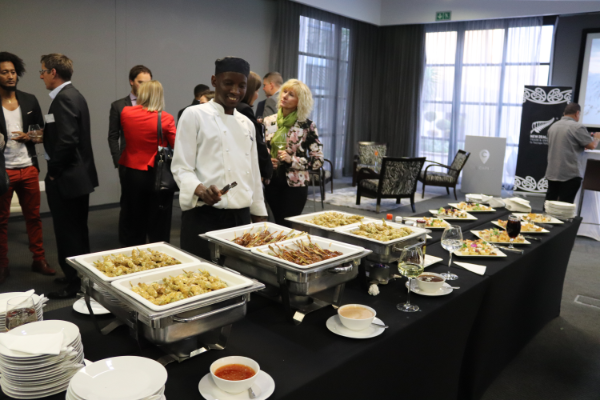 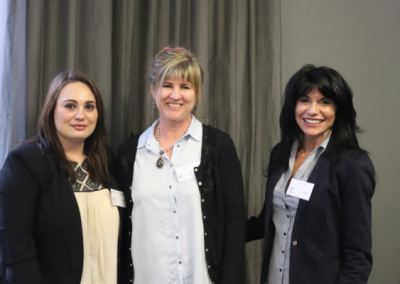 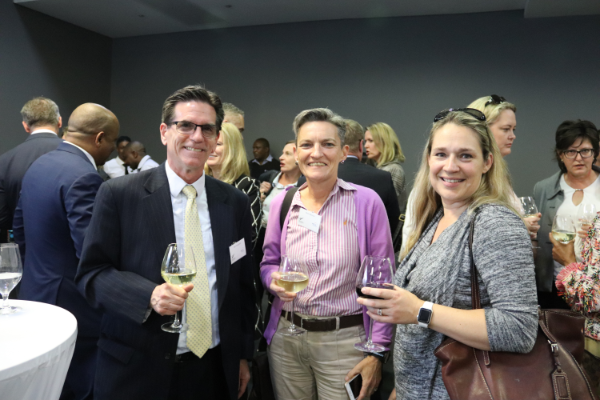 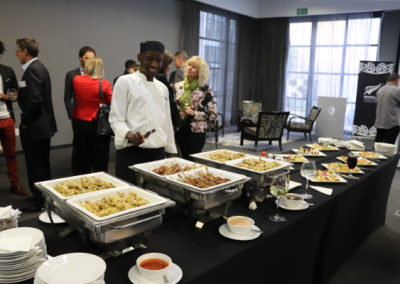 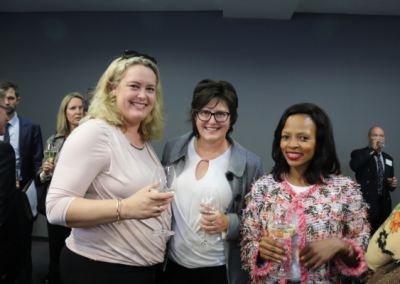 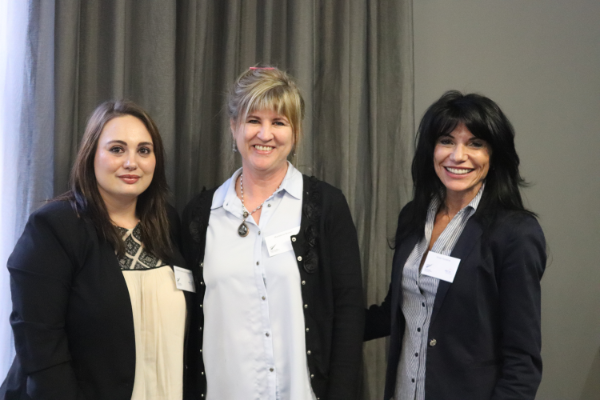 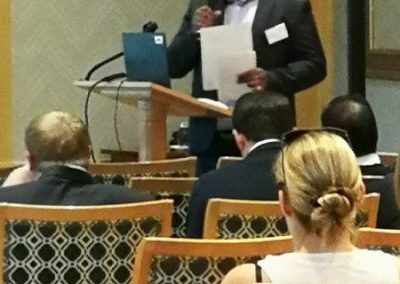 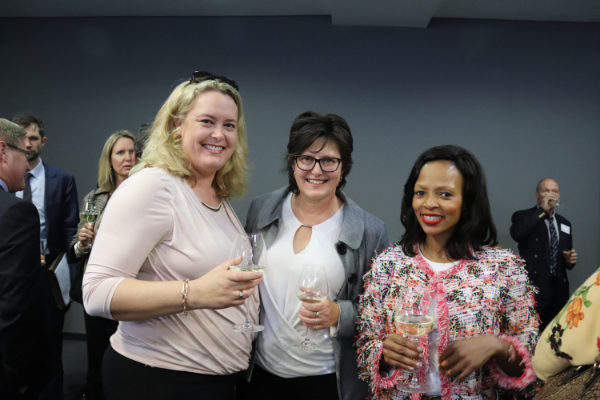 Thanks to Austrade, Capital 20 West and Hogan Lovells we also had some goodies to give away – wine, chocolates and Bed and Breakfast for two in Sandton. 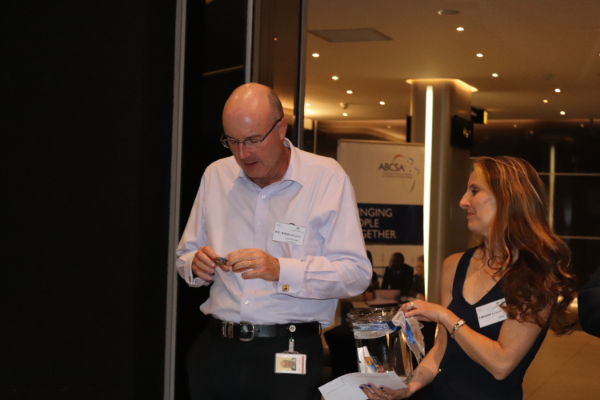 Congratulations to all the lucky raffle winners! 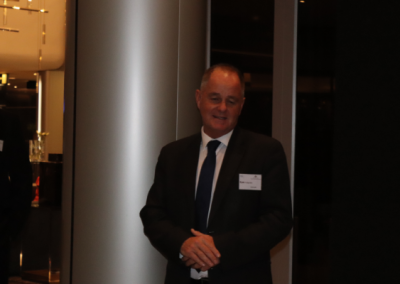 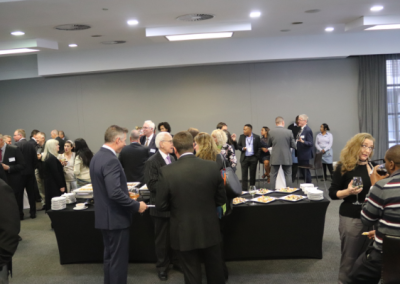 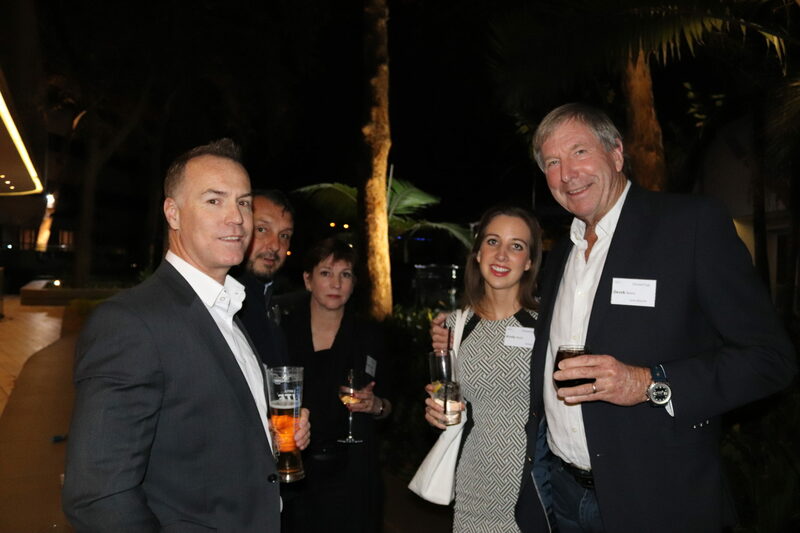 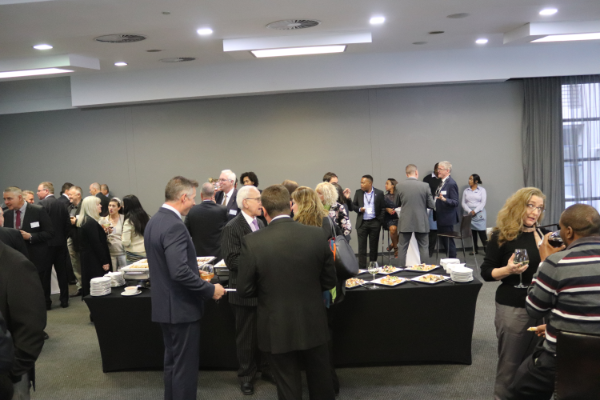 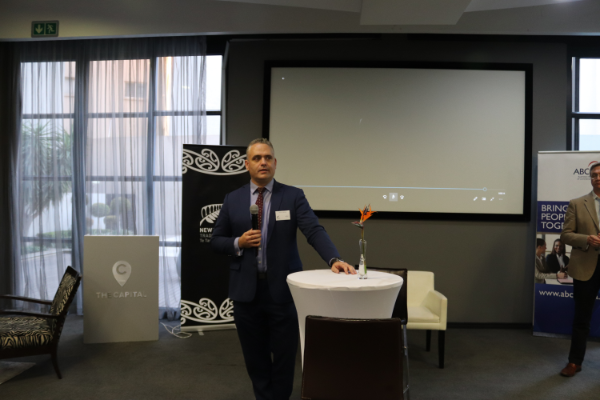 On Thursday 4 October 2018, the Chamber was delighted to host a reception for the first New Zealand trade mission in 22 years, jointly organised with NZ Trade and Industry based in Dubai. 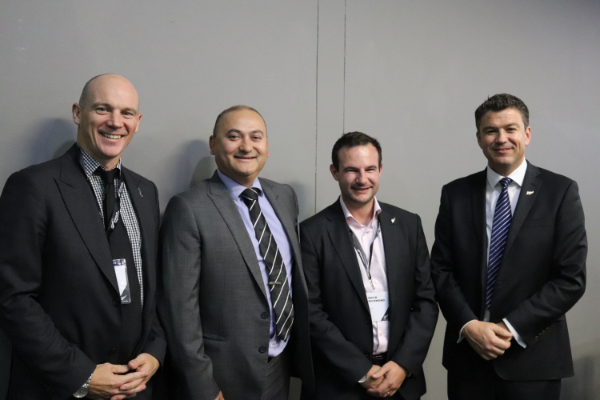 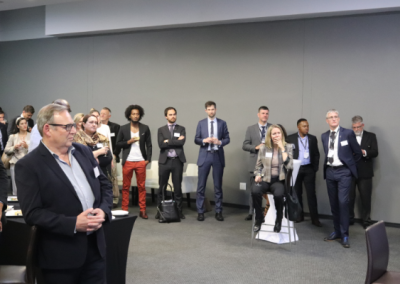 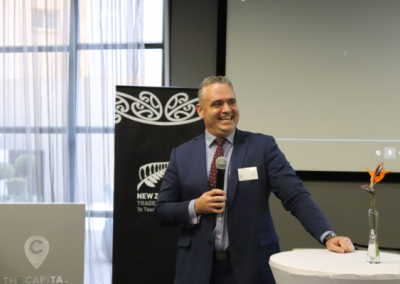 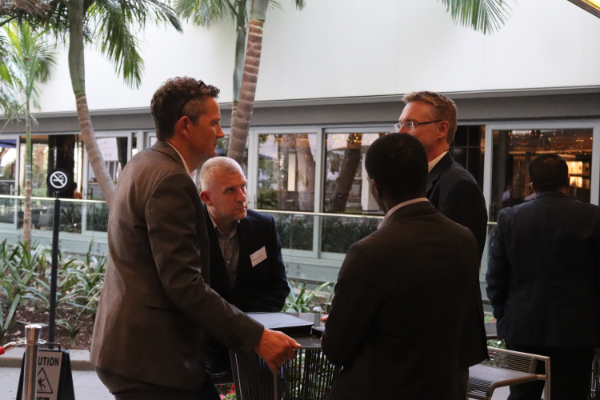 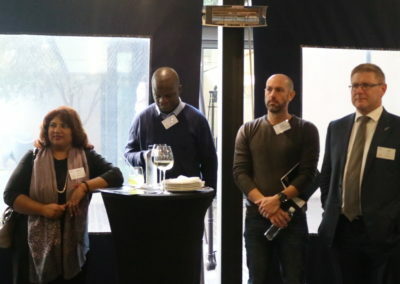 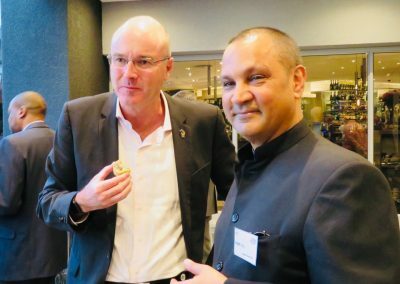 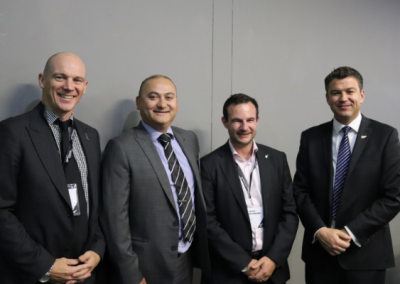 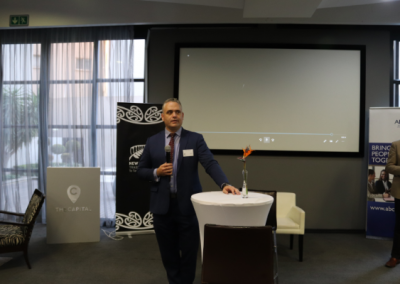 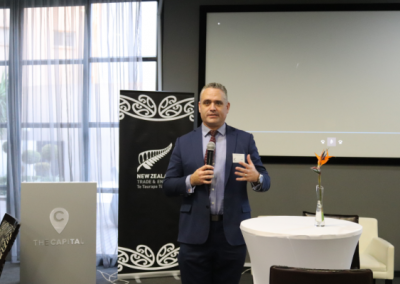 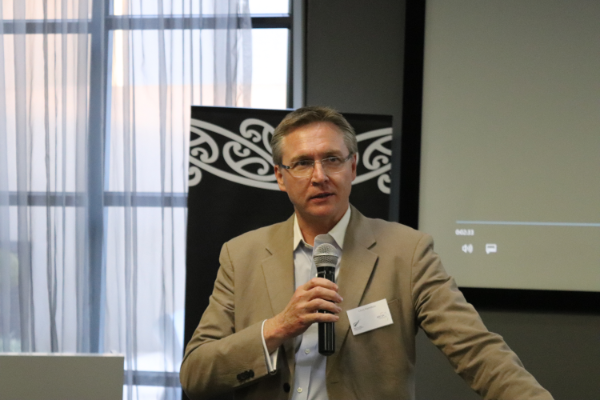 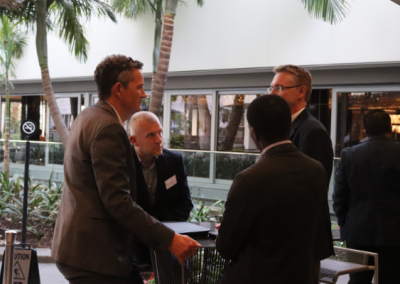 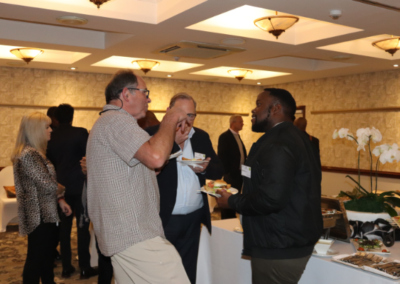 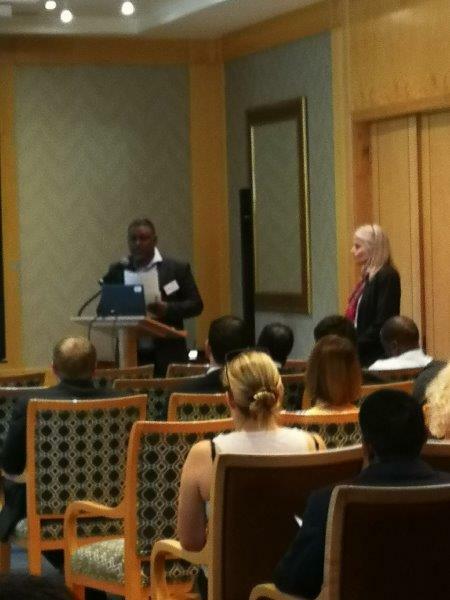 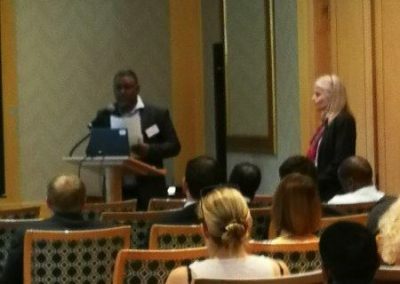 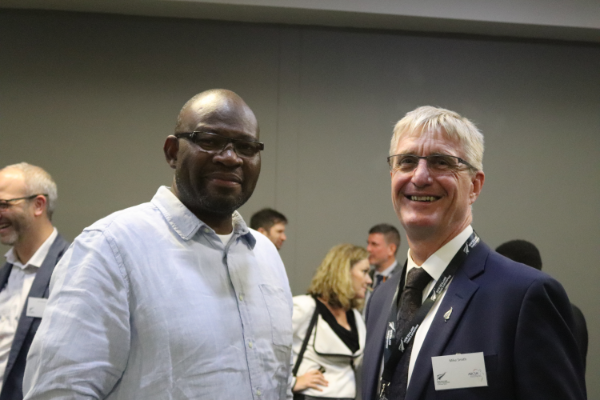 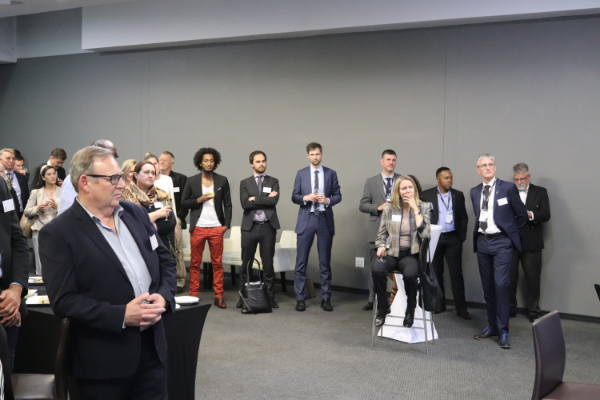 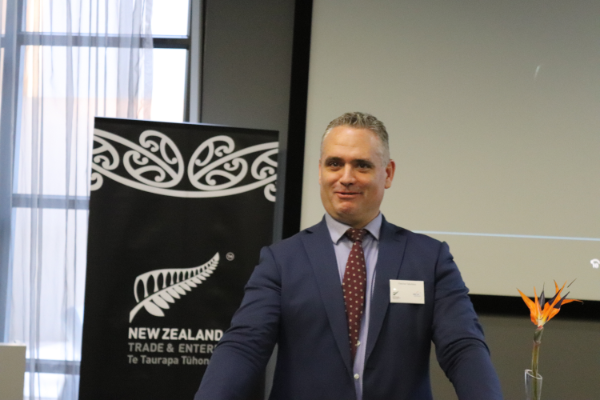 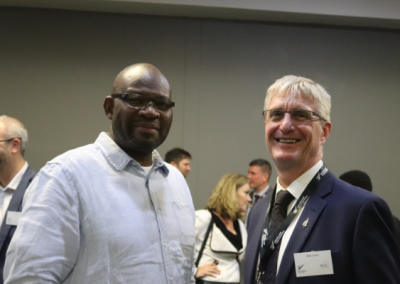 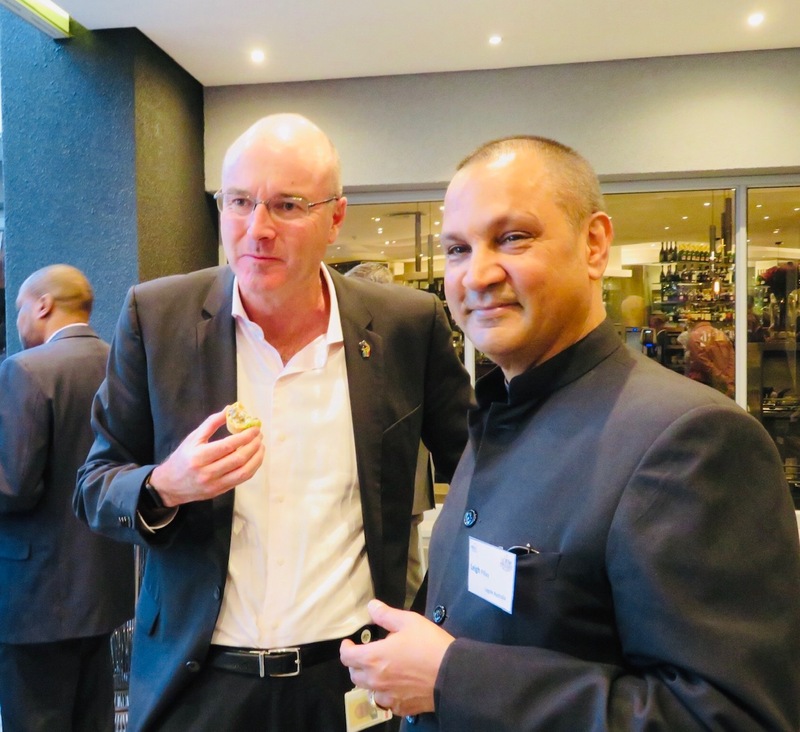 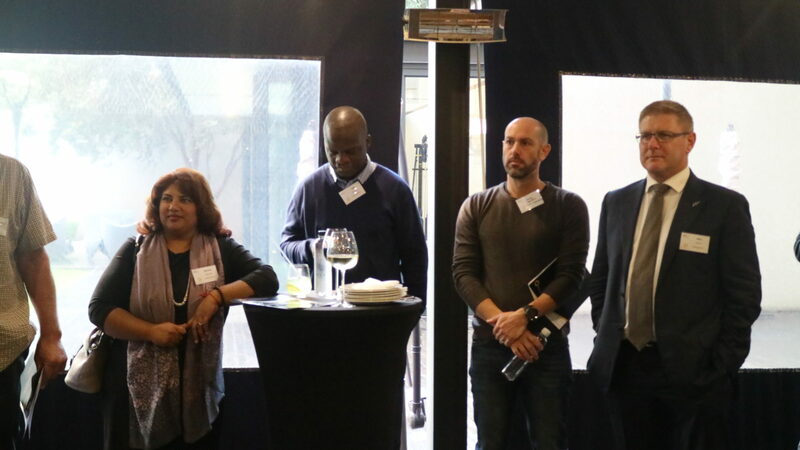 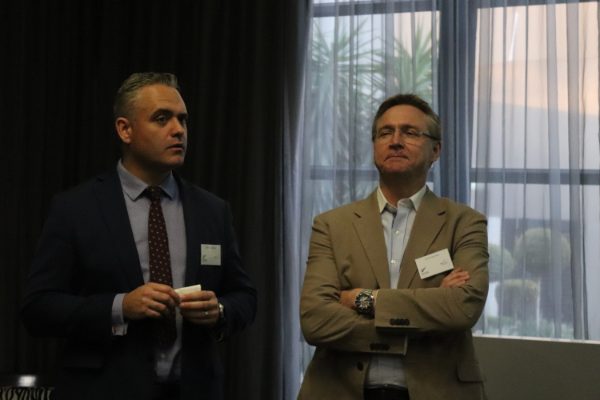 Led by Undersecretary Fletcher Tabuteau, the trade mission gave members of the NZ business community the opportunity to explore the enormous potential of Africa. 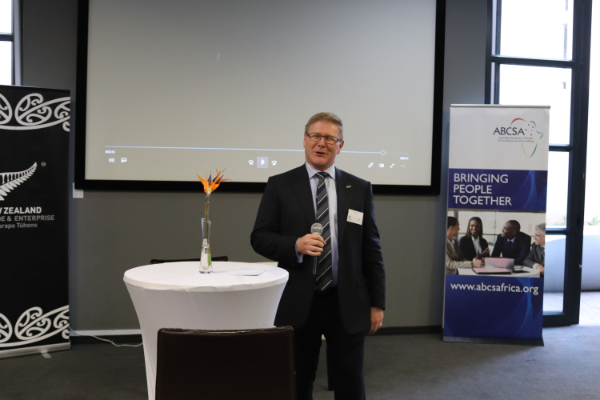 There was a great turnout of ABCSA members to honor the delegation from NZ, with the assembled community addressed by NZ High Commissioner Mike Burrell, ABCSA Chair Chris Hamilton and the Undersecretary himself. 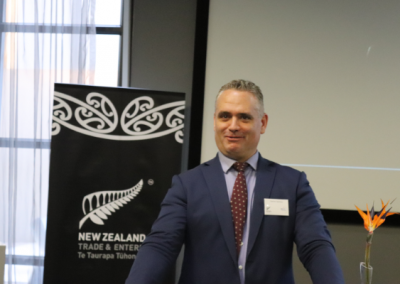 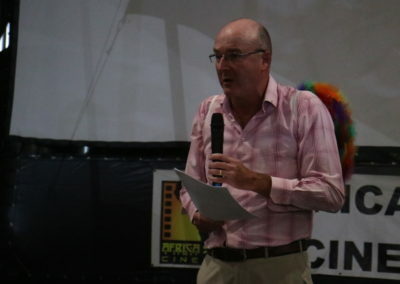 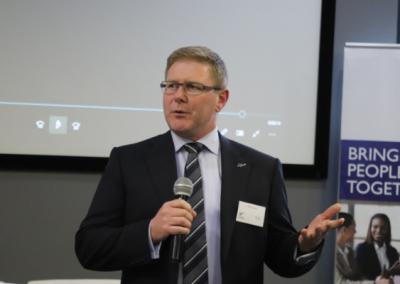 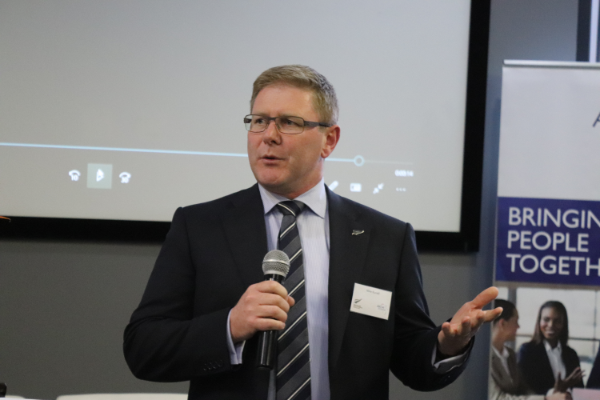 The Undersecretary’s speech in the laconic NZ style displayed his natural talent for stand-up comedy, while still conveying an important message about the long-term value of cultural and business exchange between NZ and SA. 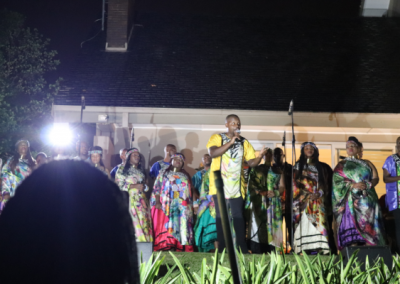 His SA audience applauded enthusiastically. 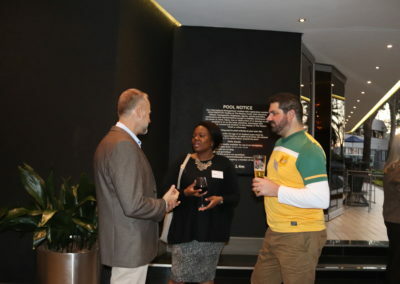 They may not have been doing so after the All Blacks narrowly edged out the Springboks at a different kind of cultural exchange the following Saturday. 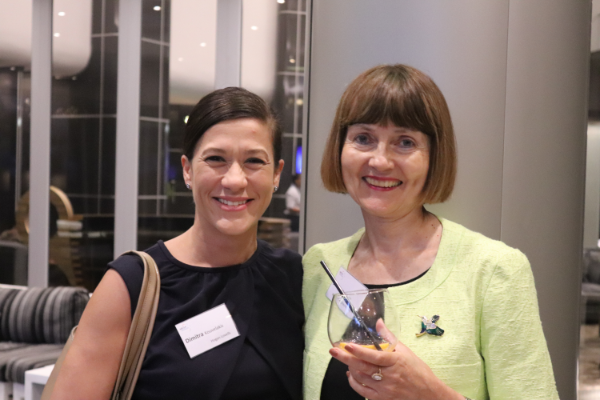 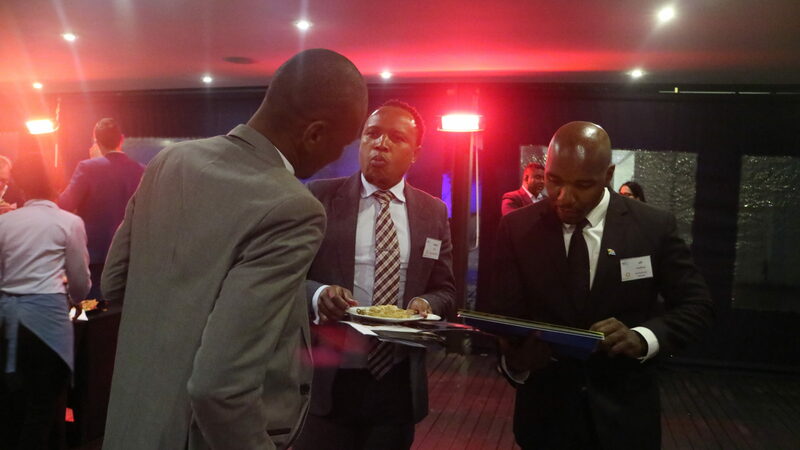 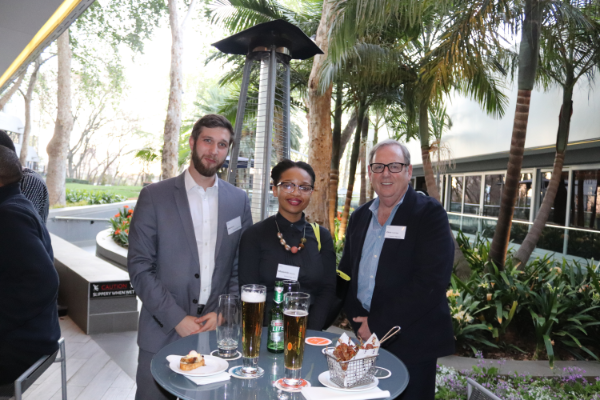 The Chamber welcomed new and old participants to our regular drinks last Thursday at the Maslow. 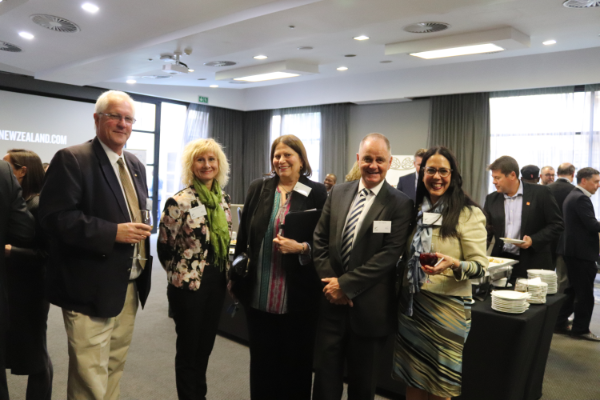 Nice, in particular, to see the team from the NZ High Commission, as well as Mike Morgan from the Canadian Chamber here in South Africa. 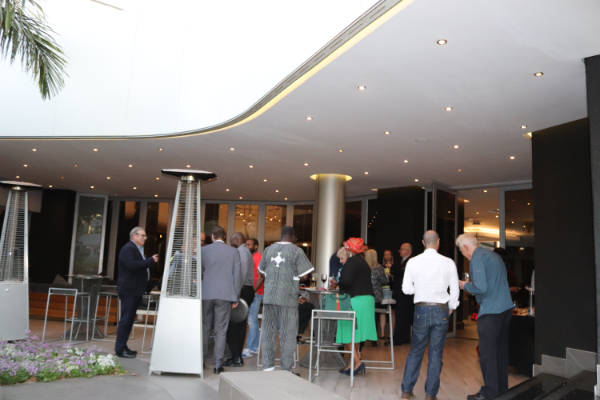 As usual, delectable finger food and plenty of drinks provided a welcome refuge from the Sandton traffic. 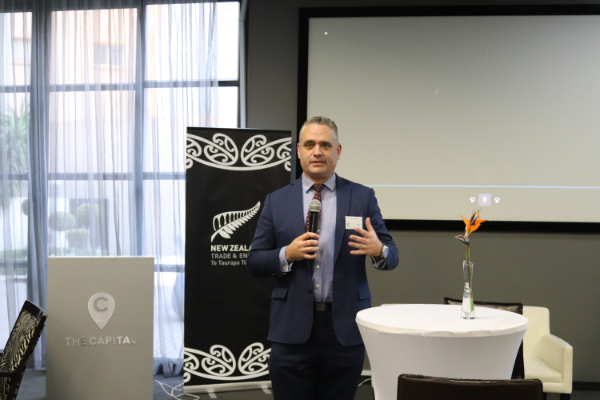 A heads up: our next event will be a reception on 4 October for a visiting trade delegation from New Zealand headed by the NZ Associate Minister of Foreign Affairs and including business leaders from NZ. 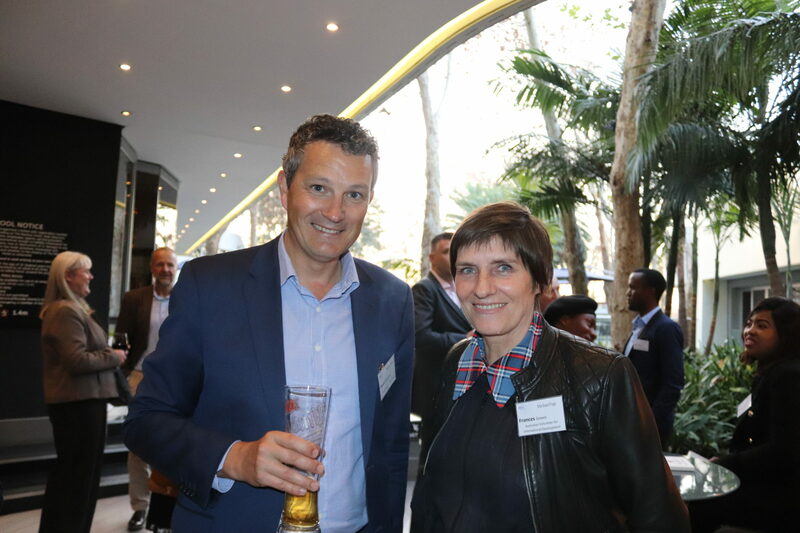 This will not only be great networking, but an exceptional opportunity to explore SA-Australasian trade and investment opportunities, so do please come along and hear from the Minister. 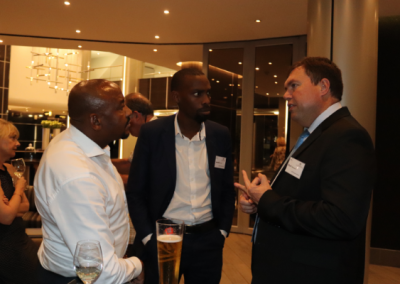 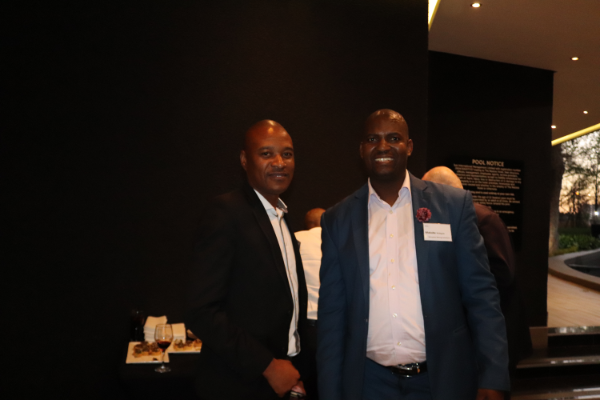 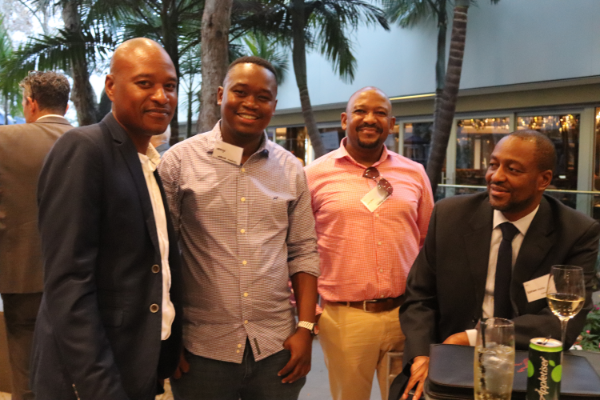 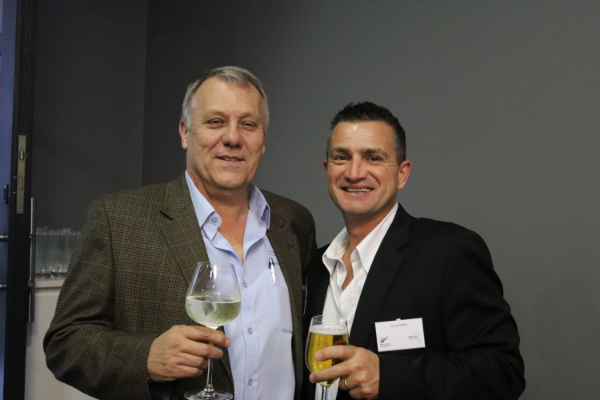 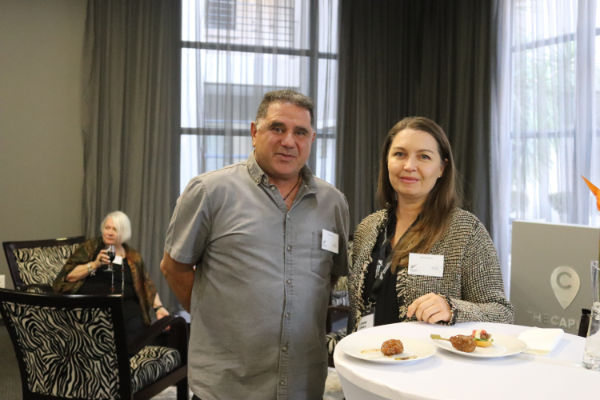 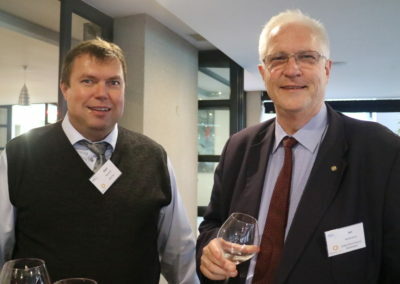 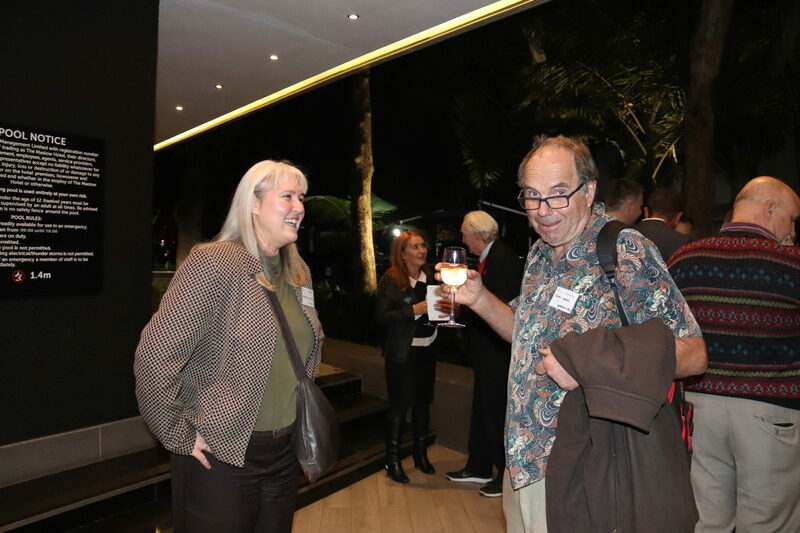 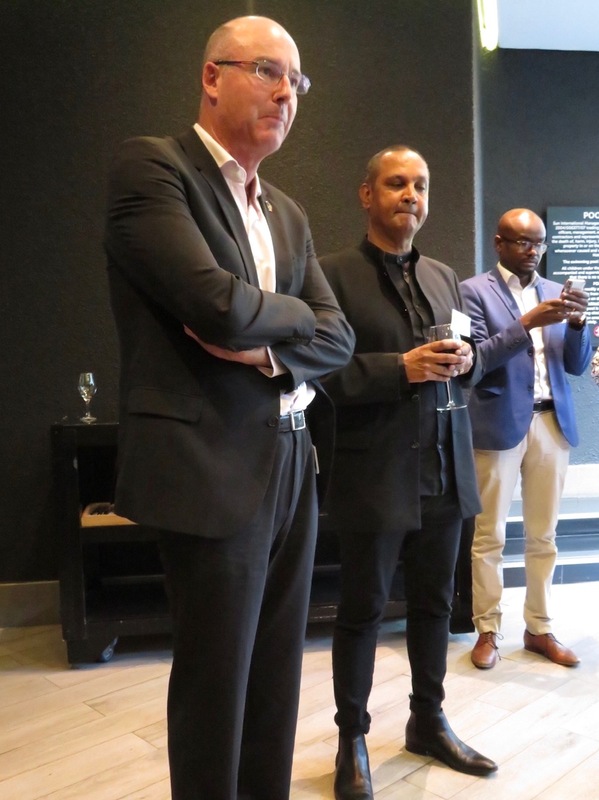 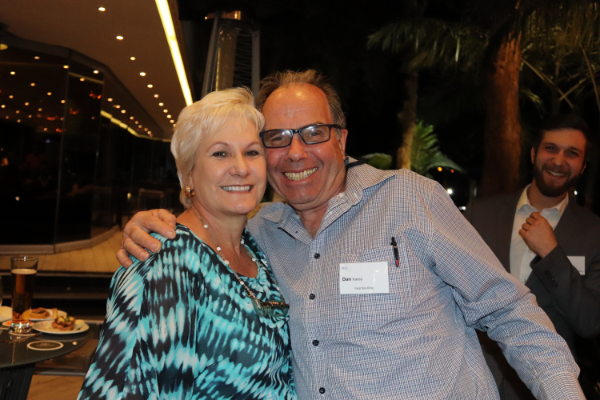 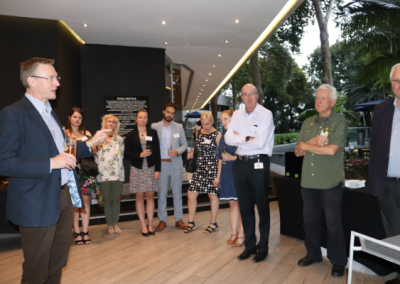 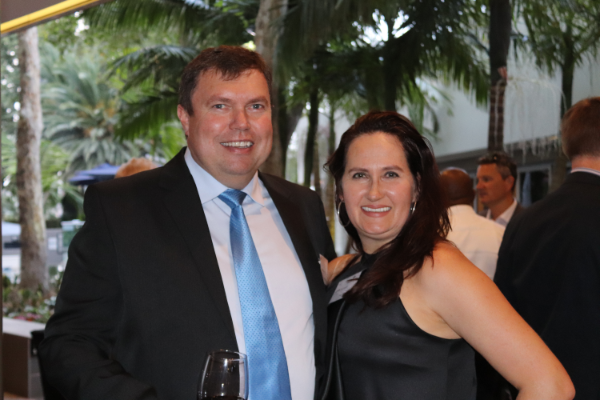 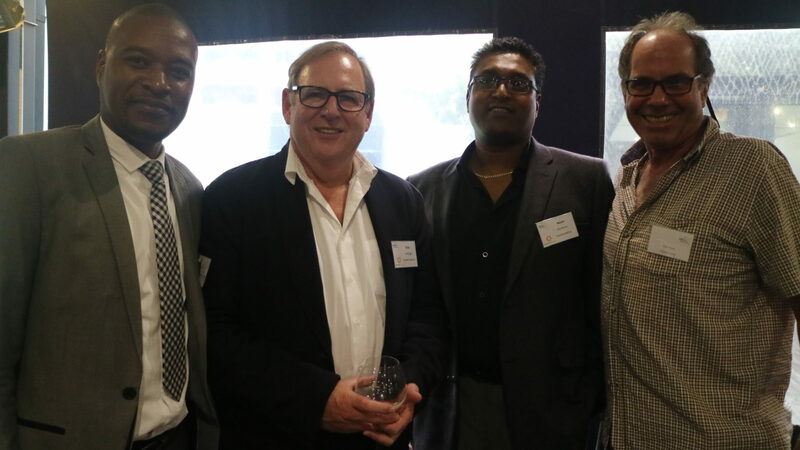 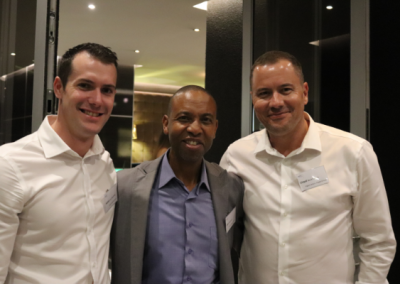 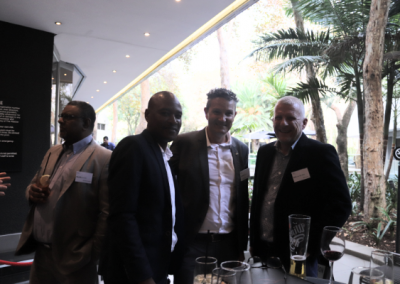 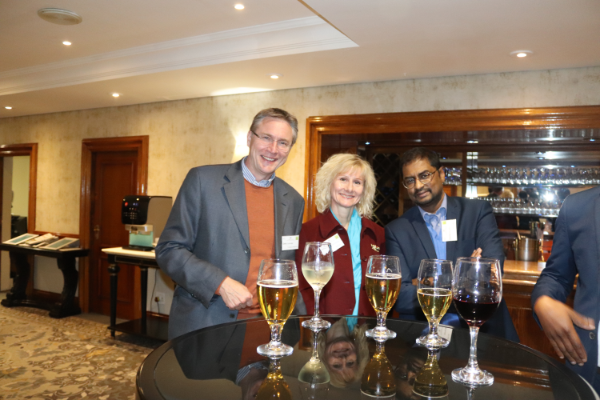 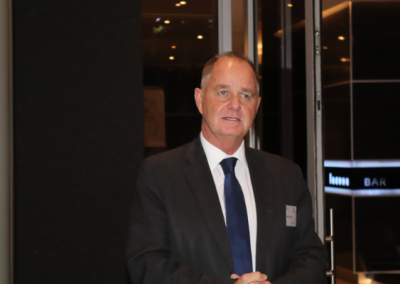 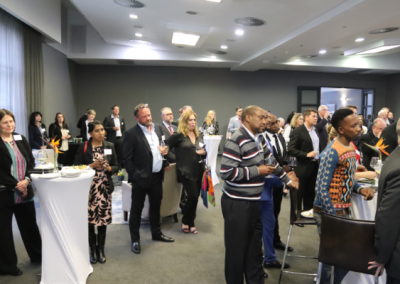 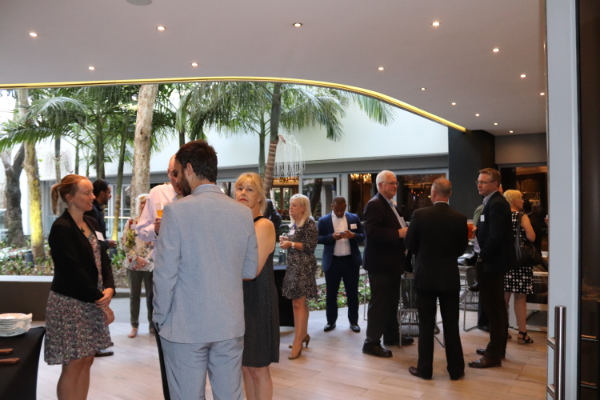 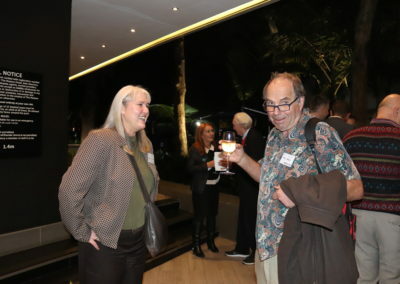 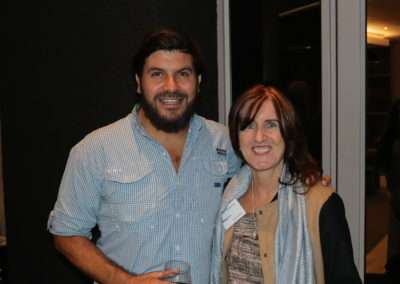 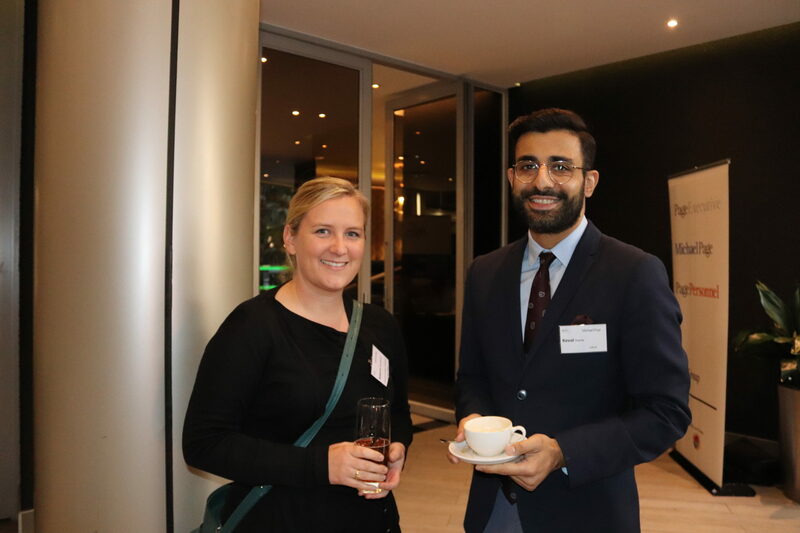 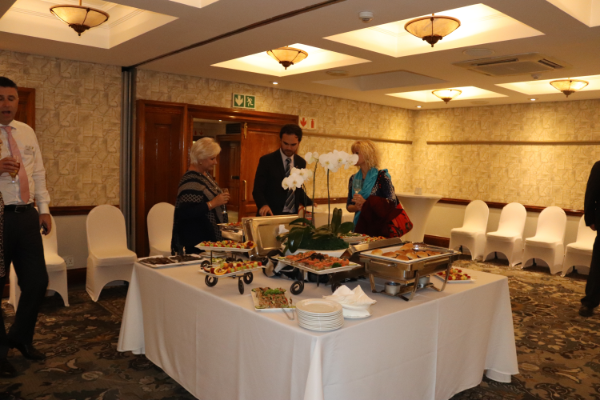 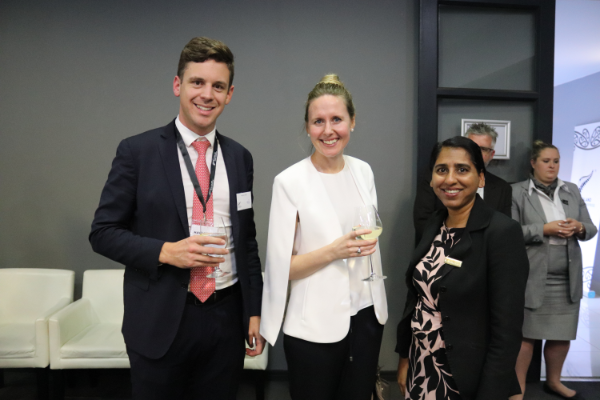 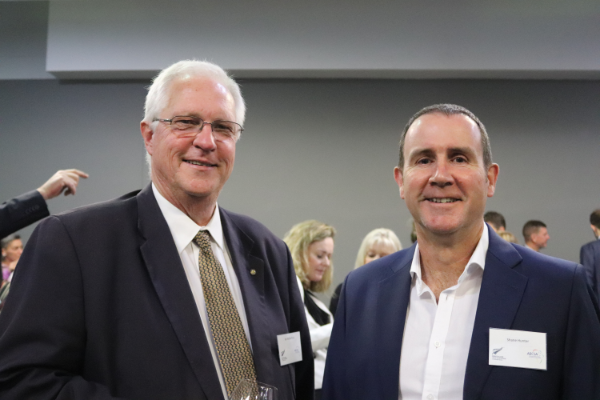 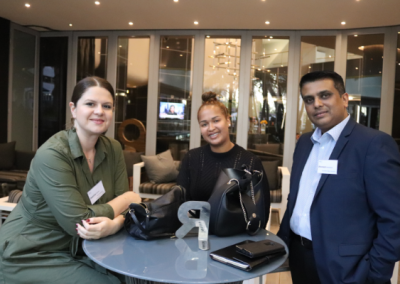 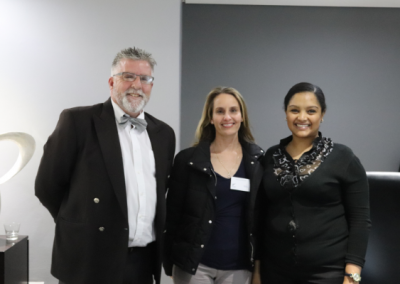 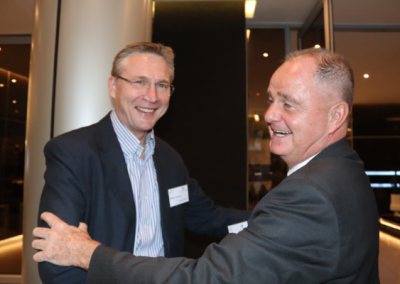 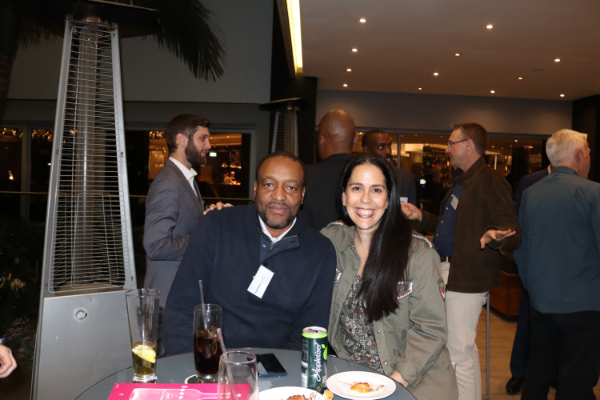 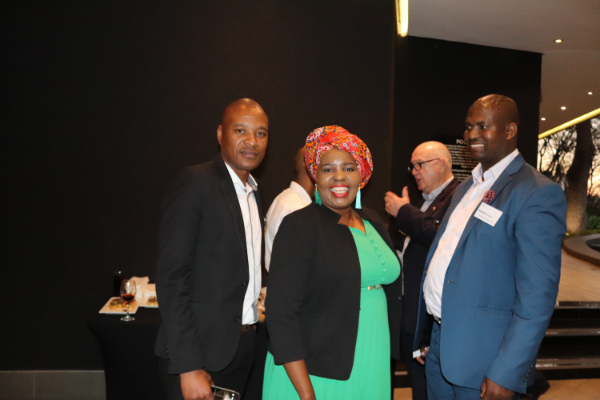 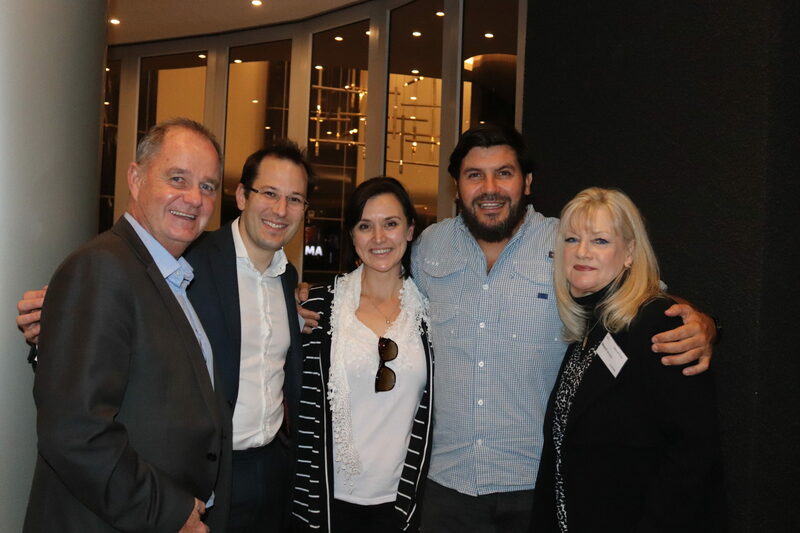 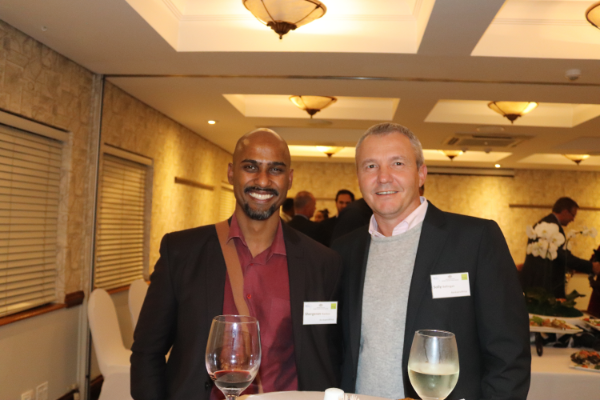 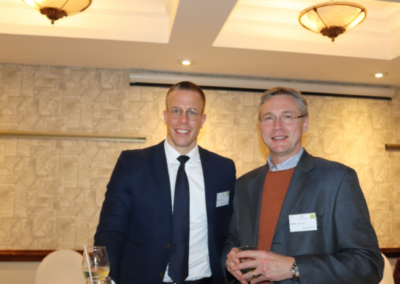 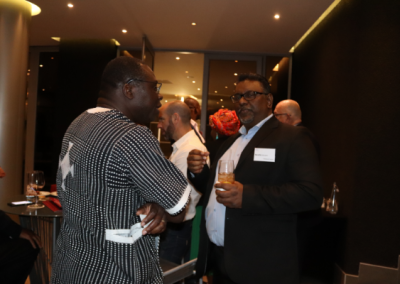 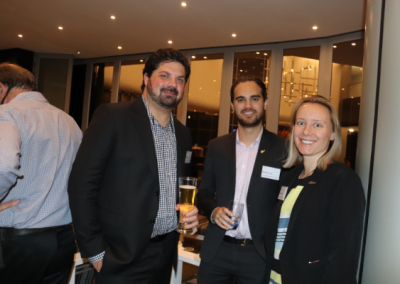 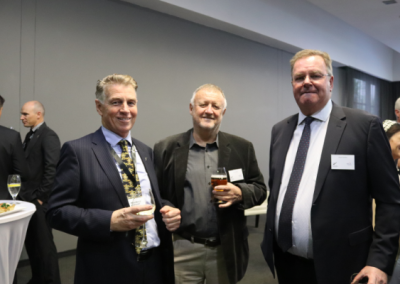 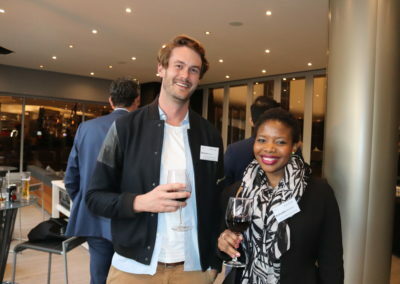 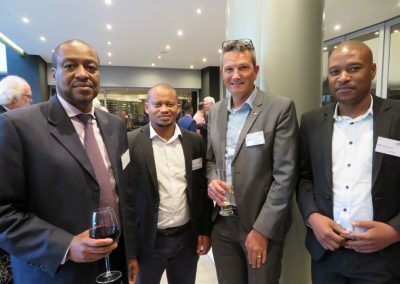 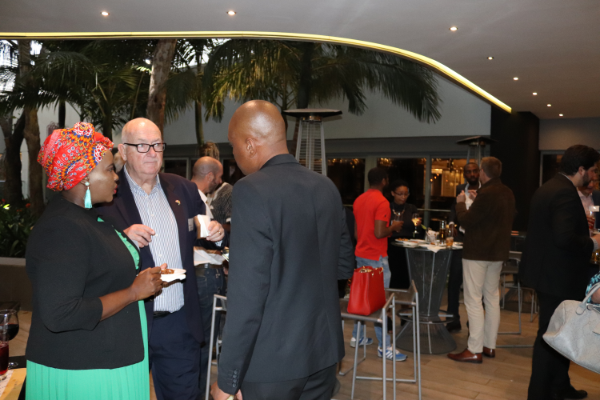 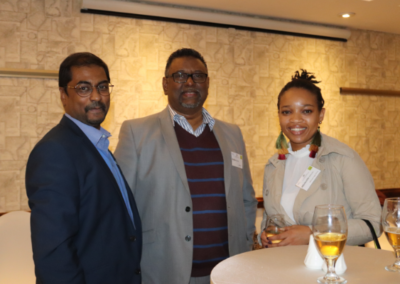 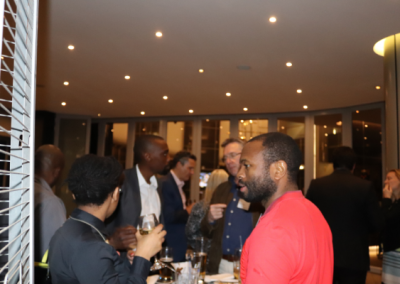 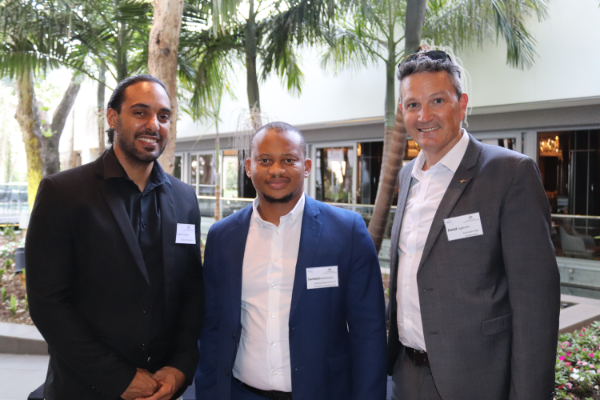 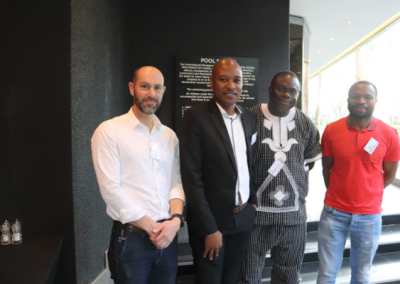 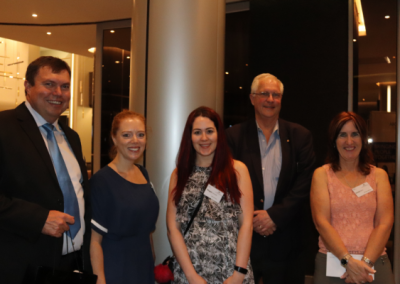 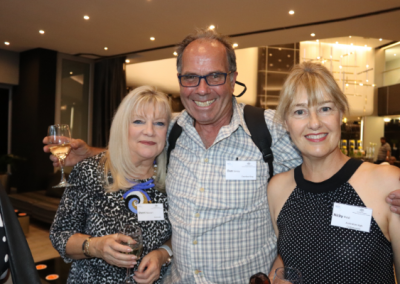 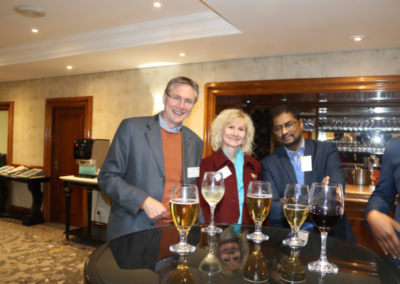 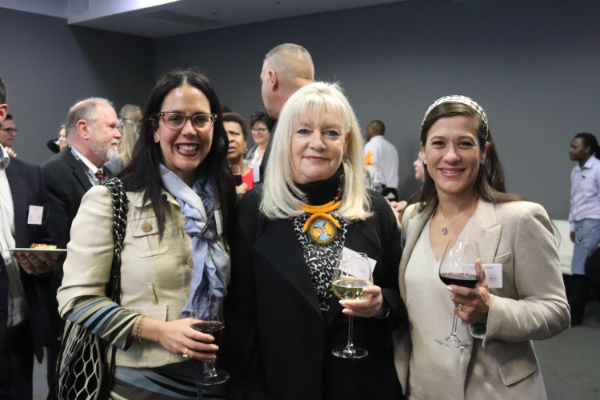 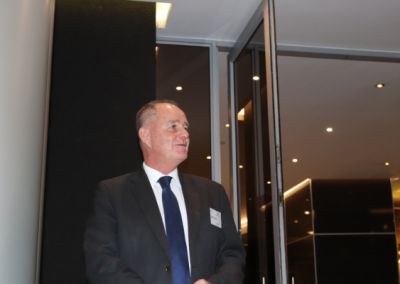 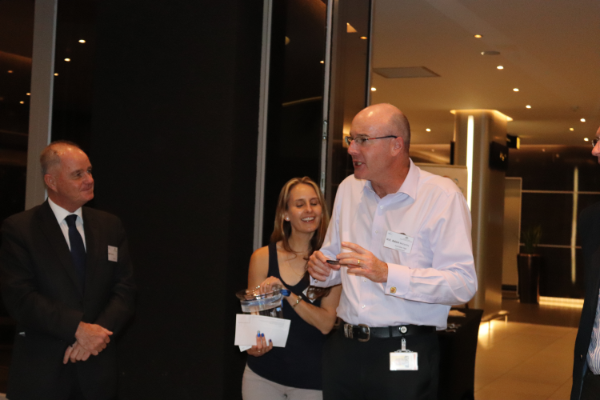 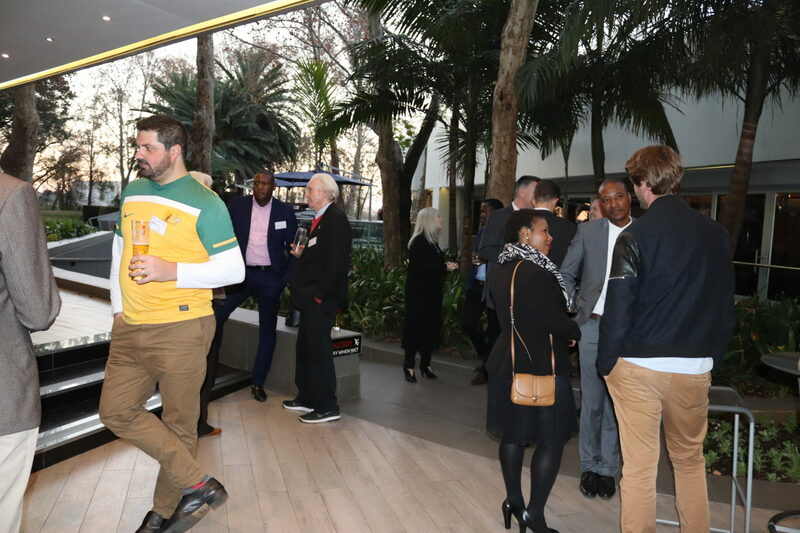 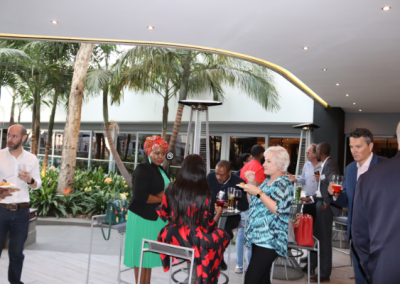 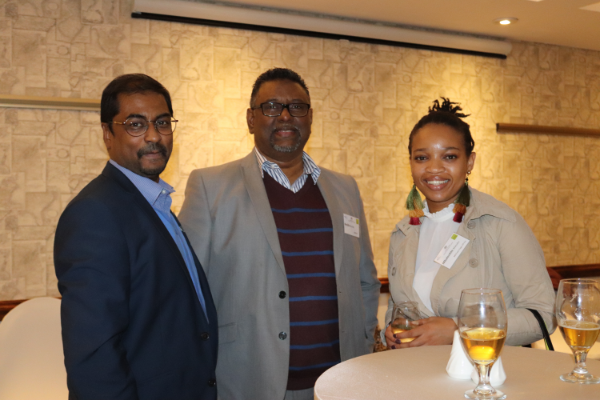 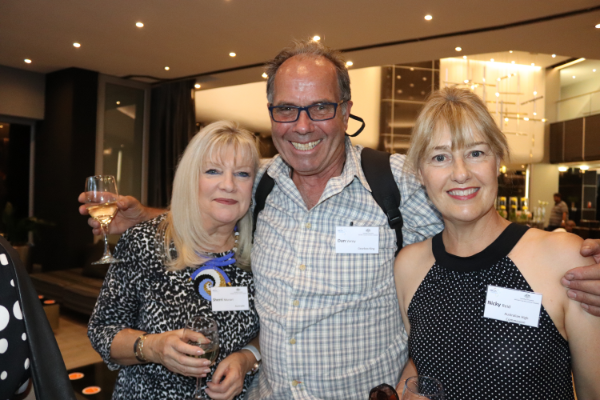 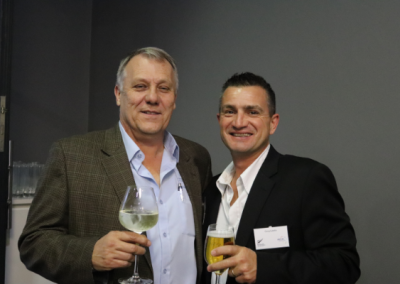 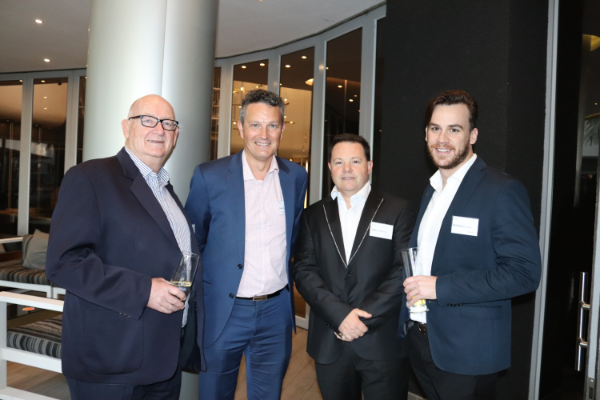 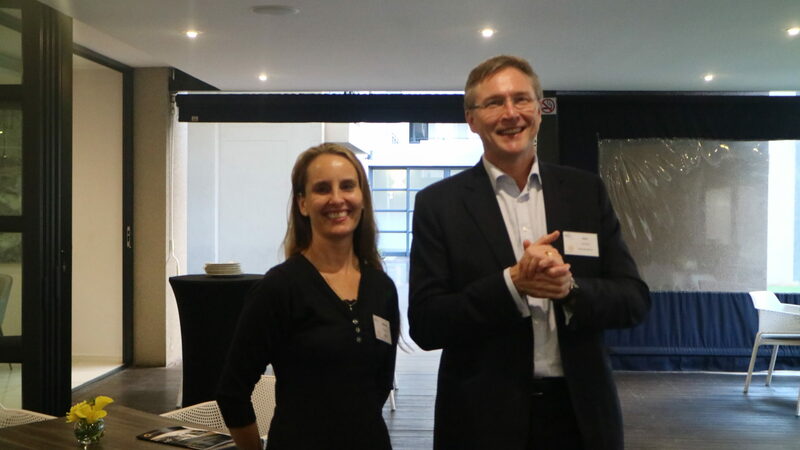 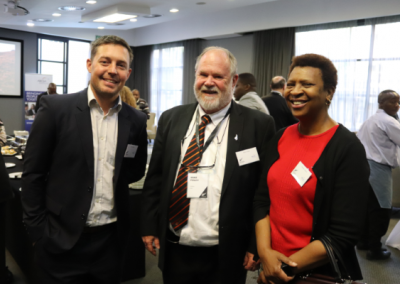 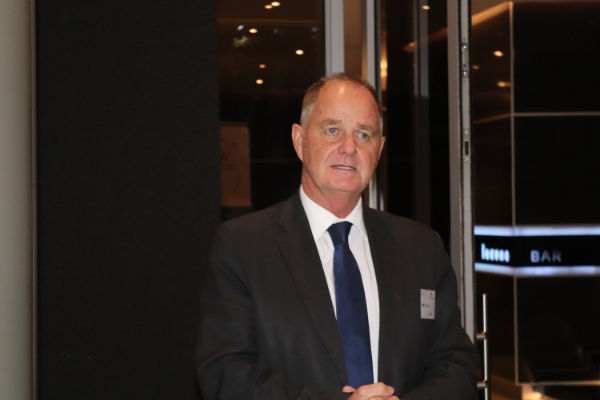 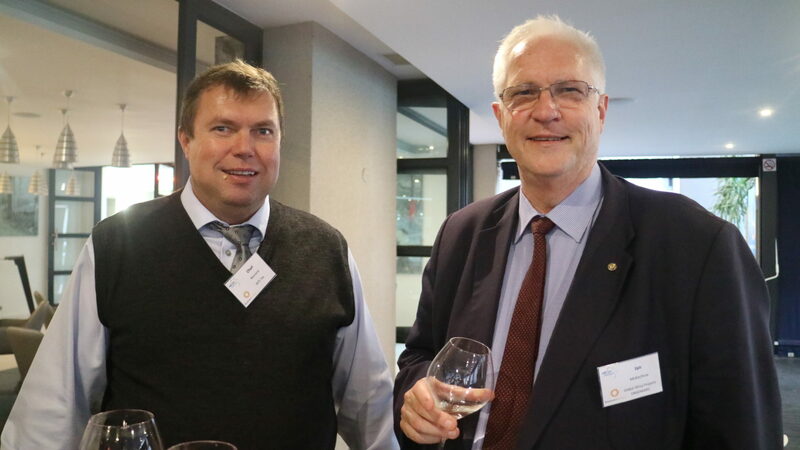 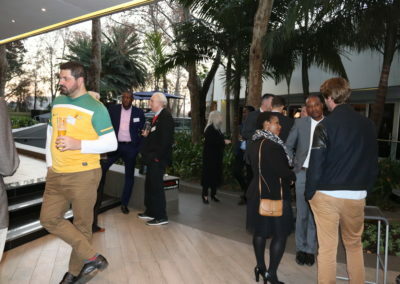 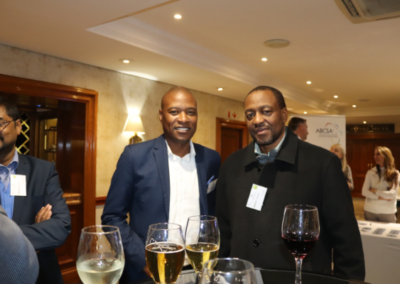 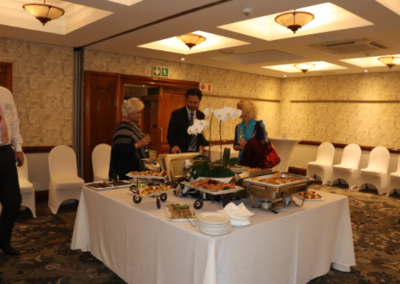 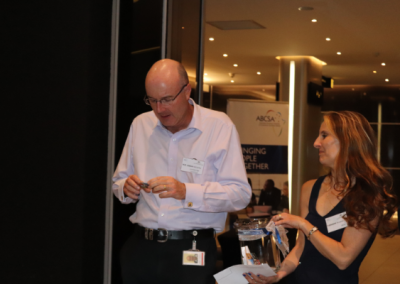 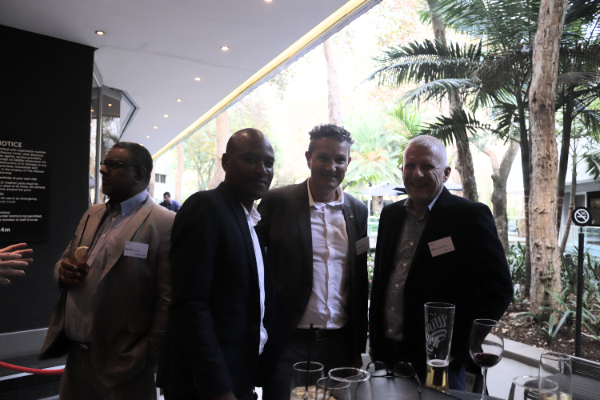 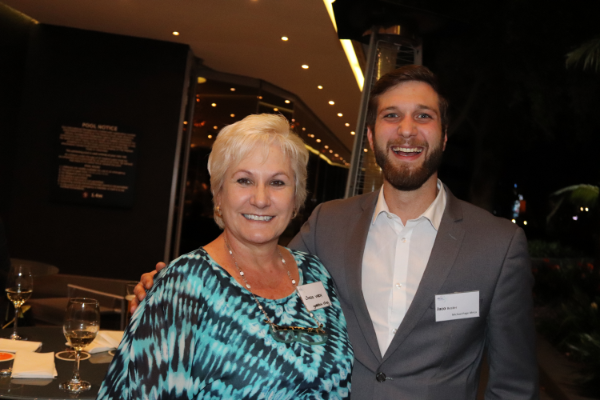 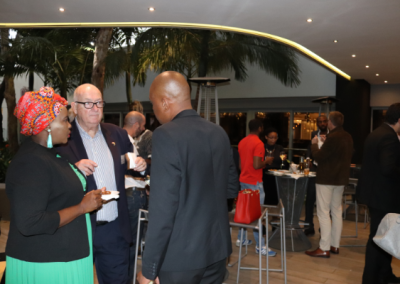 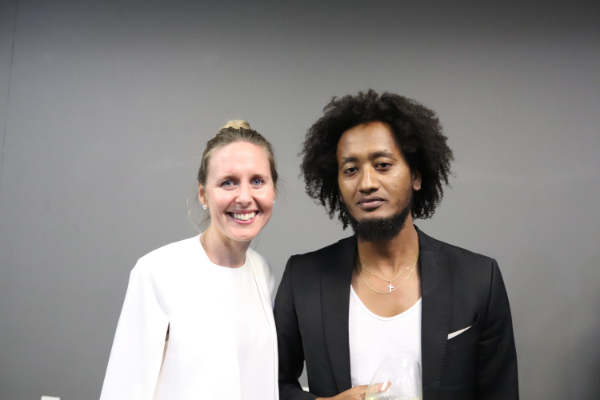 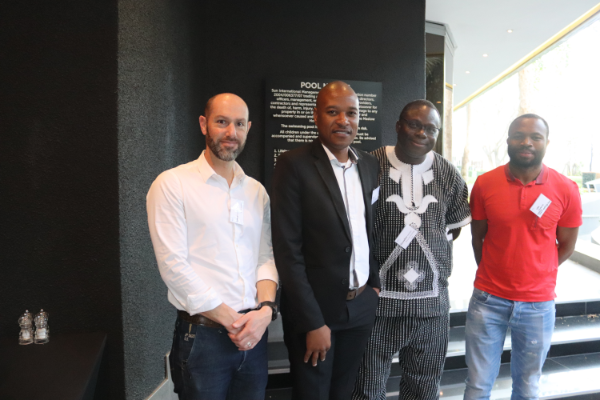 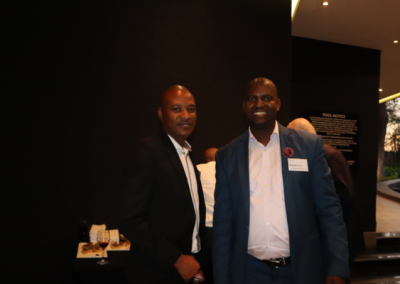 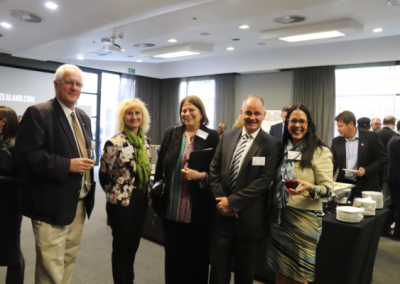 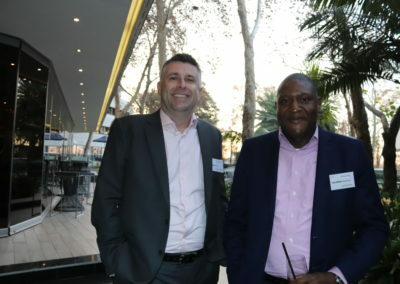 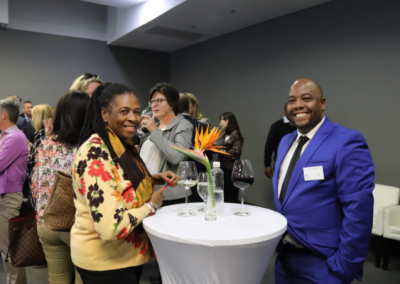 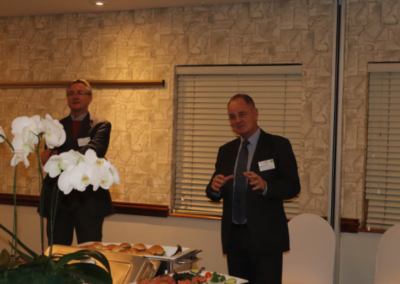 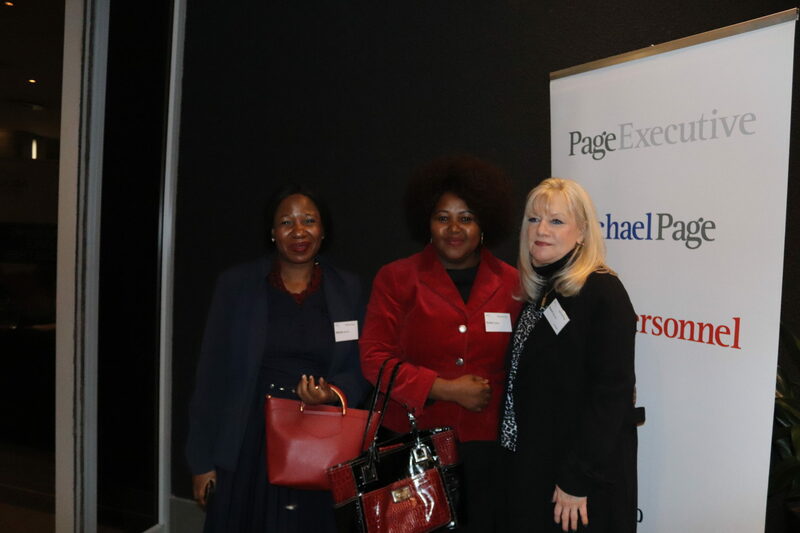 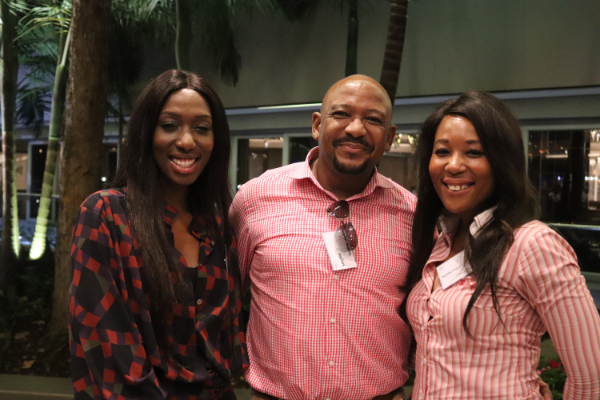 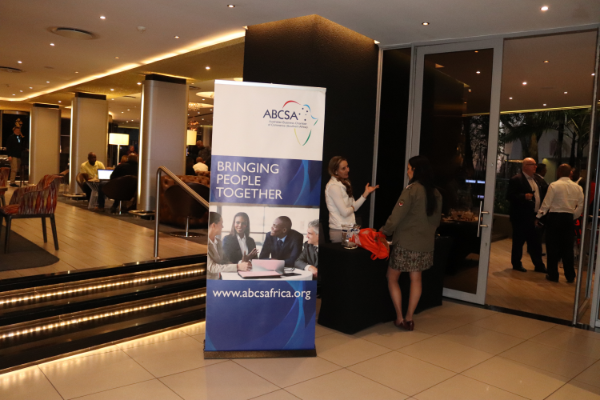 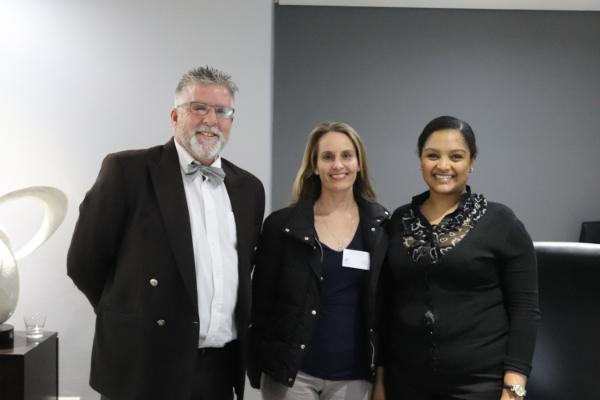 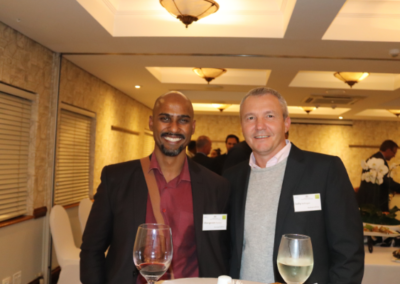 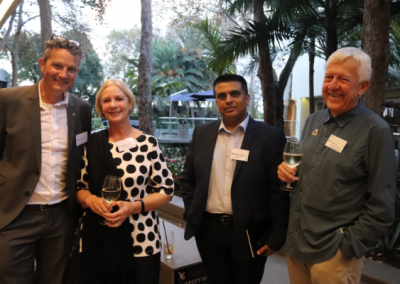 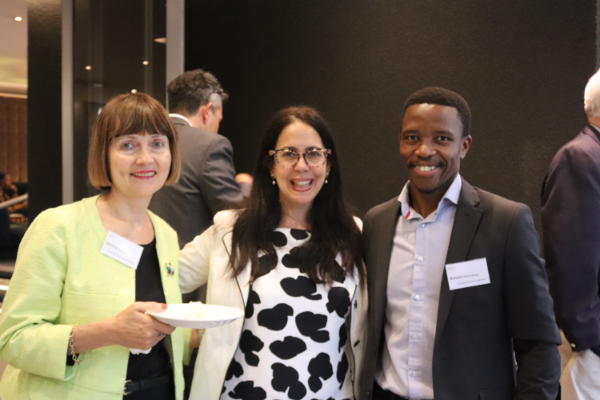 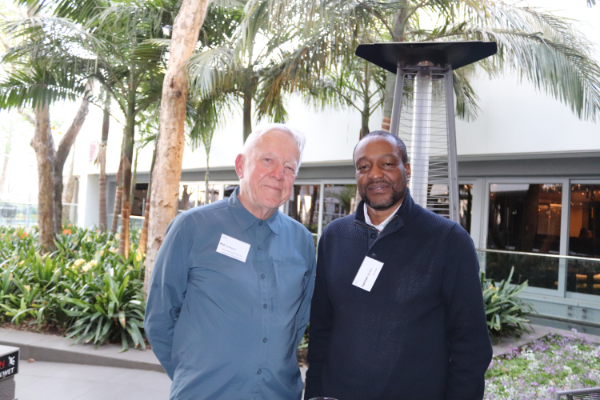 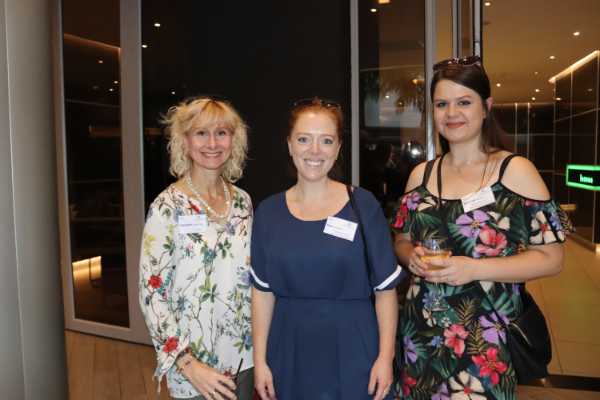 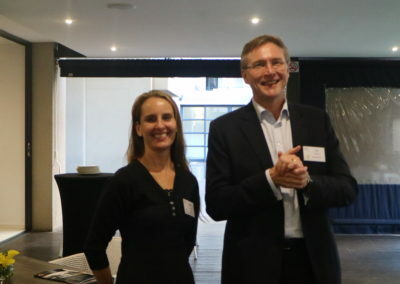 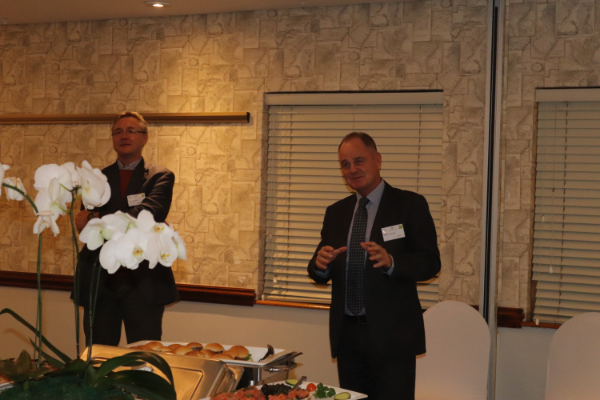 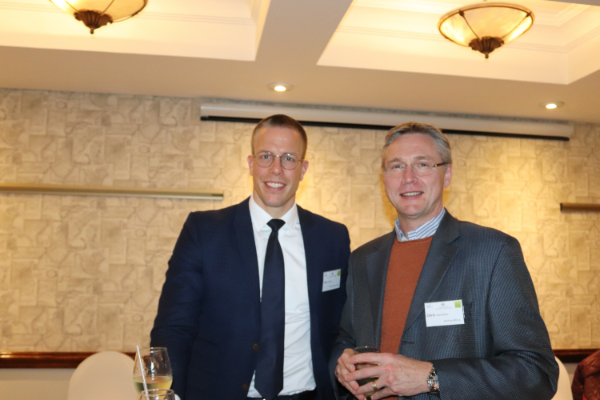 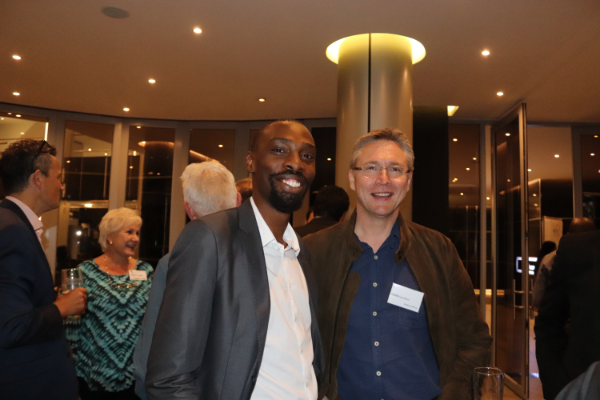 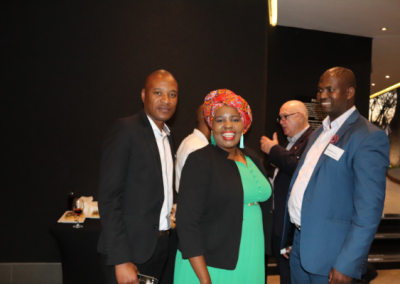 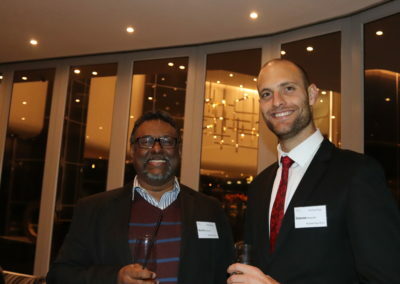 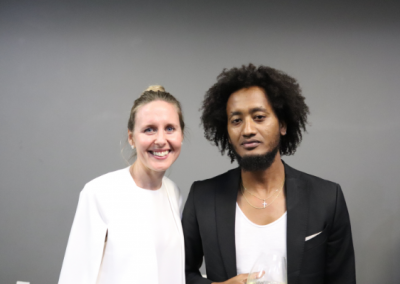 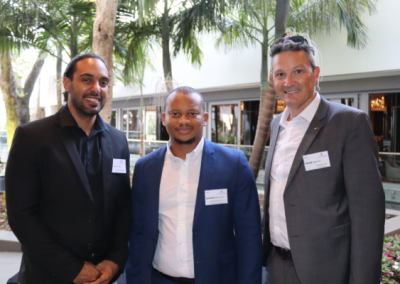 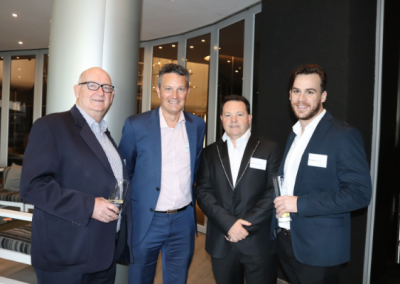 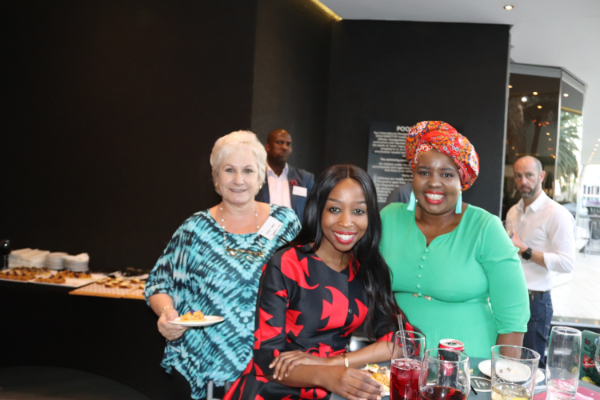 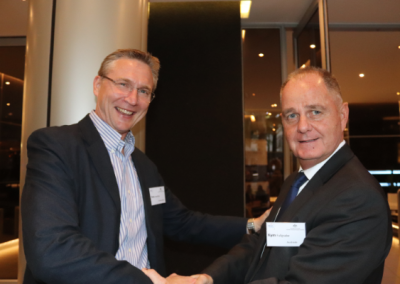 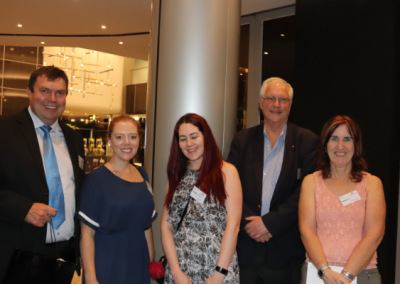 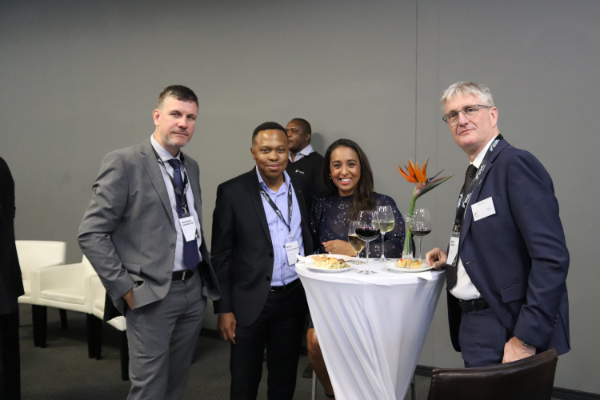 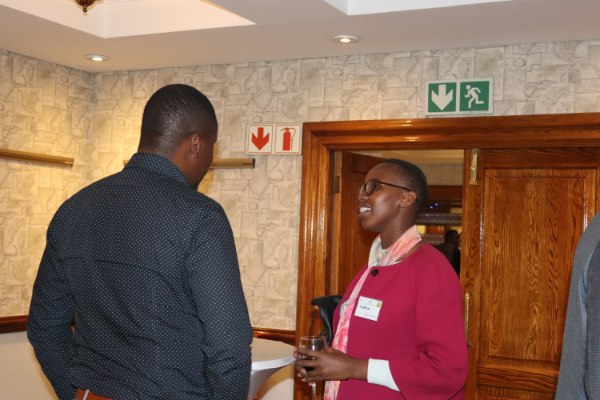 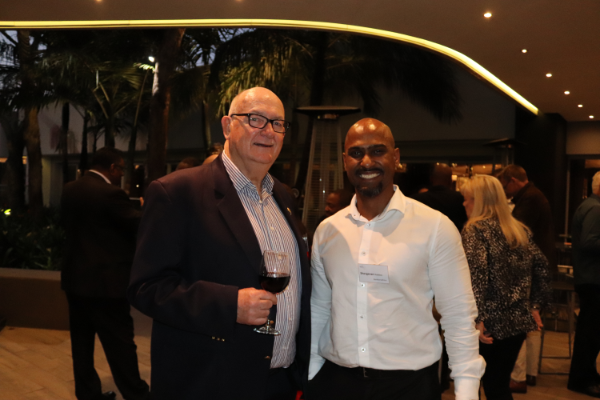 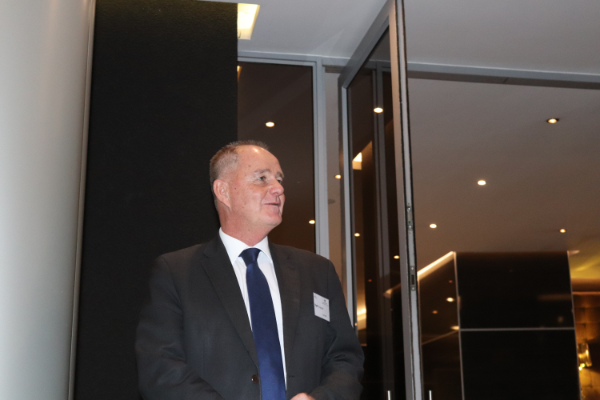 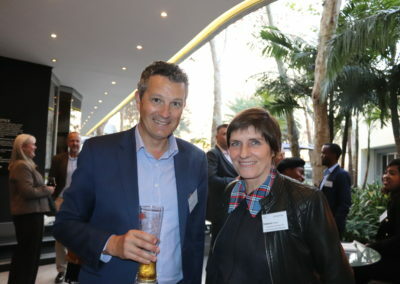 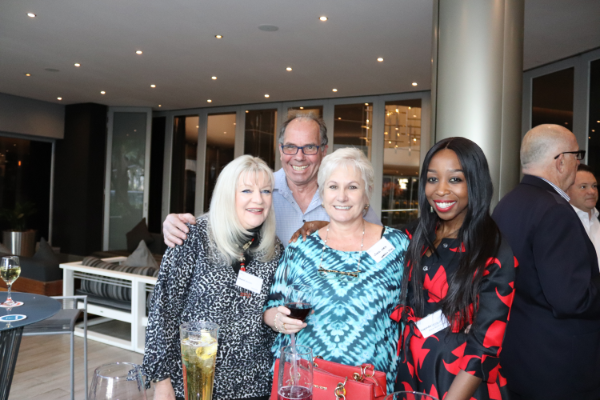 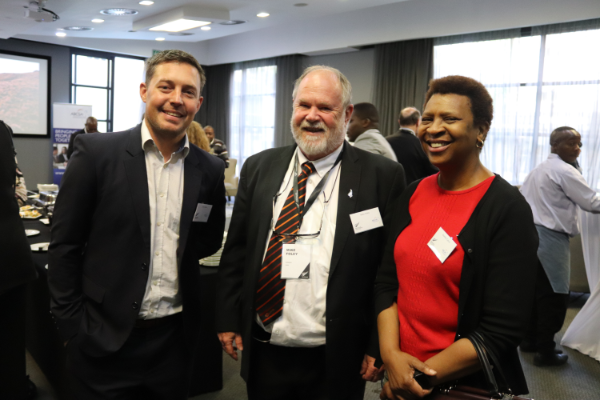 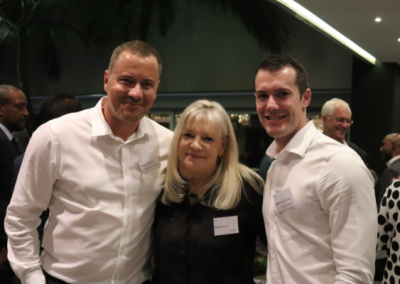 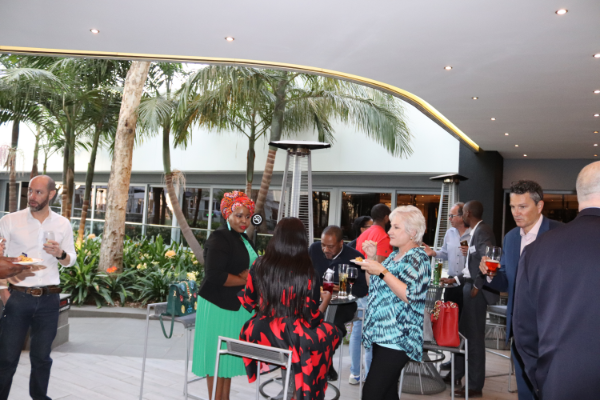 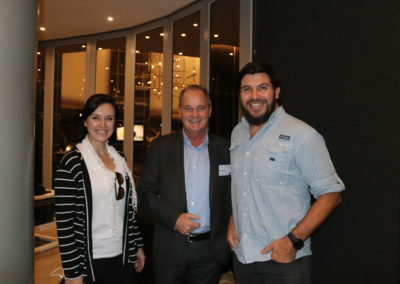 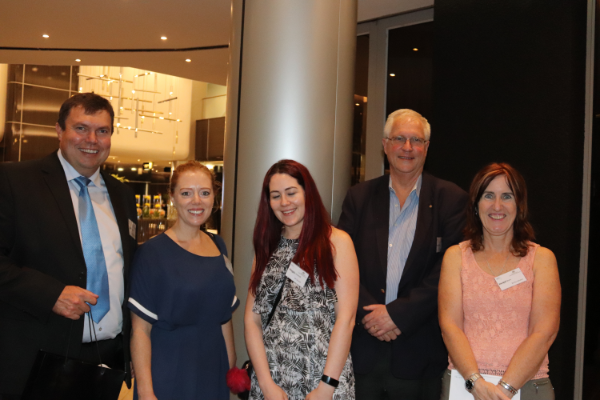 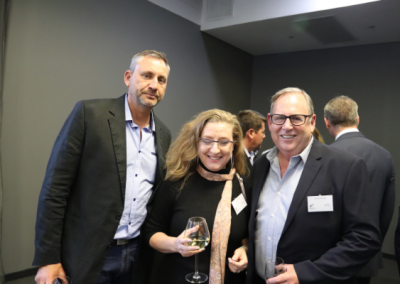 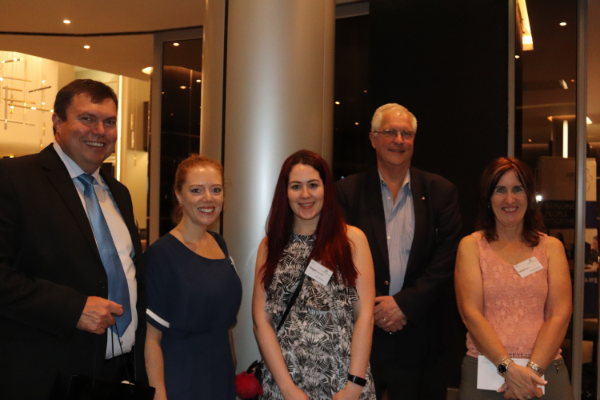 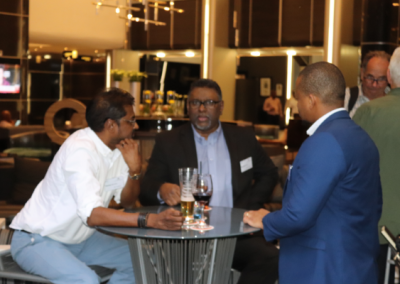 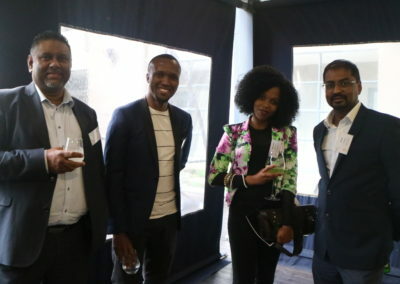 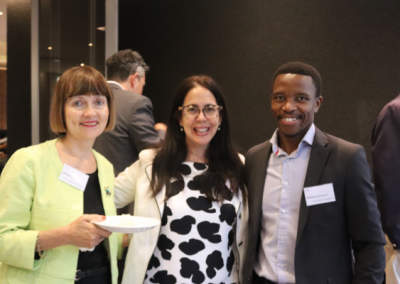 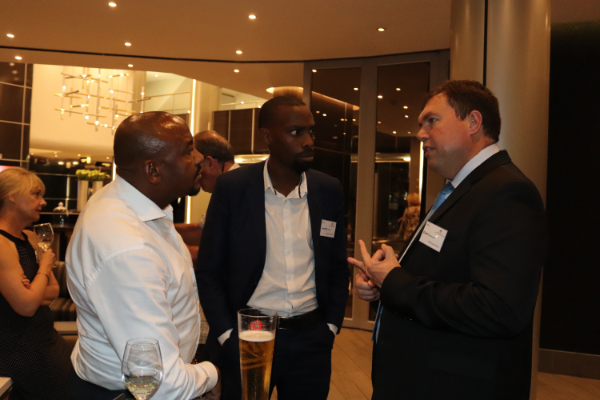 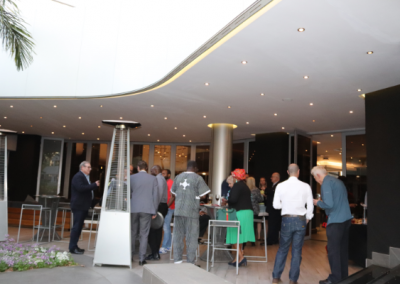 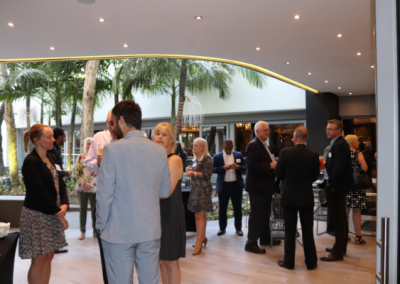 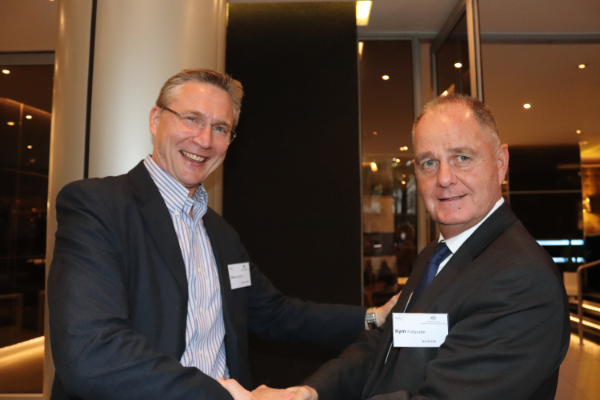 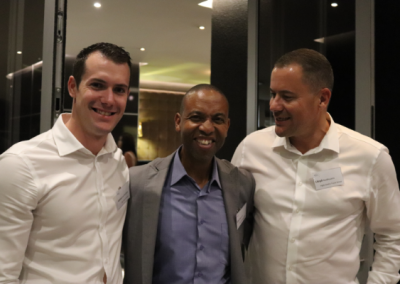 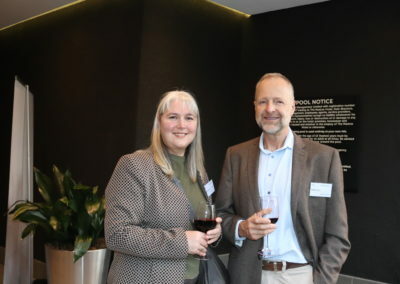 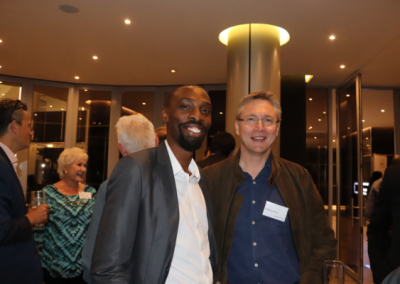 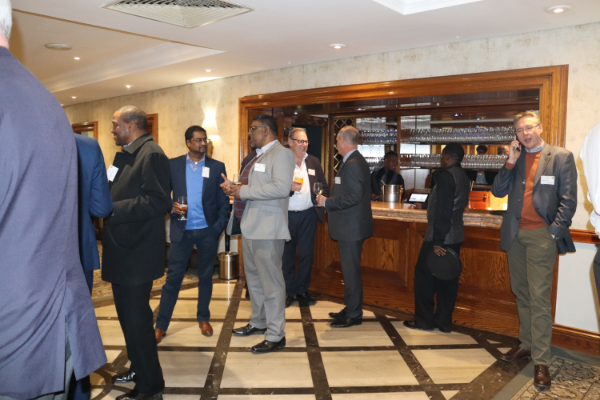 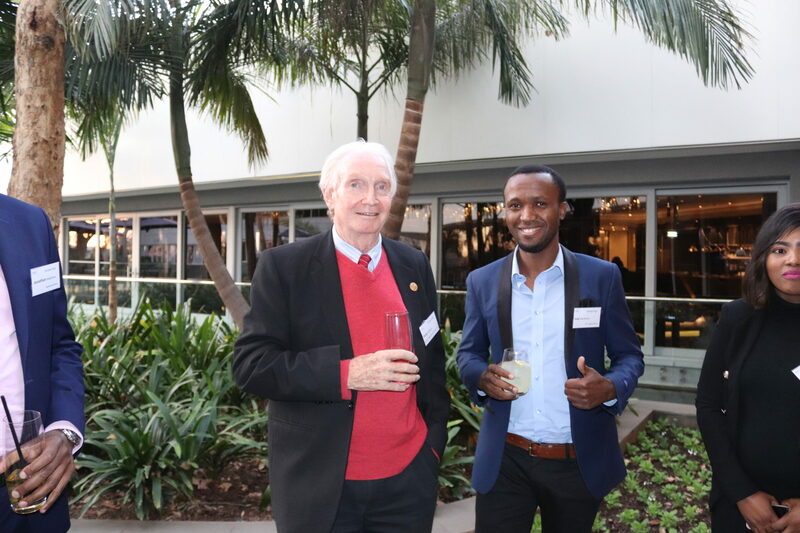 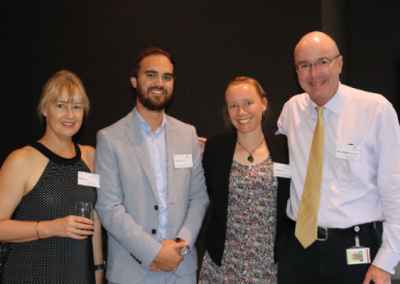 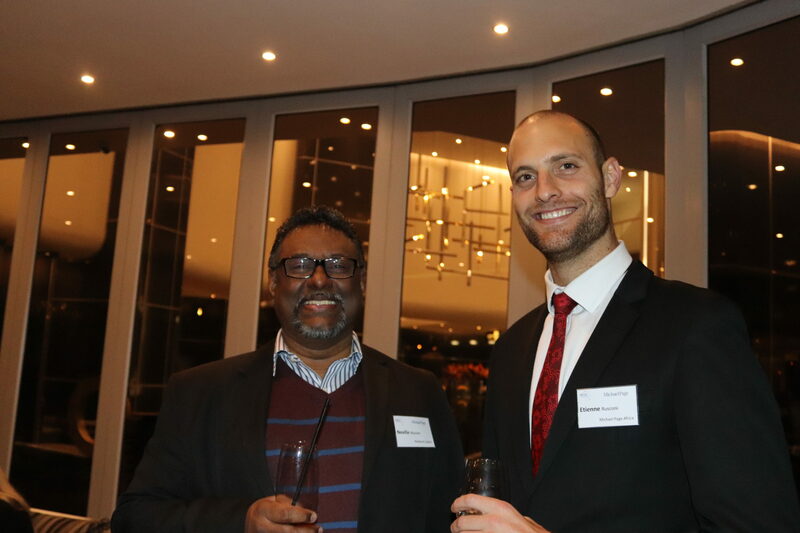 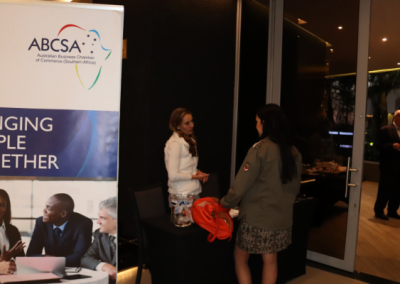 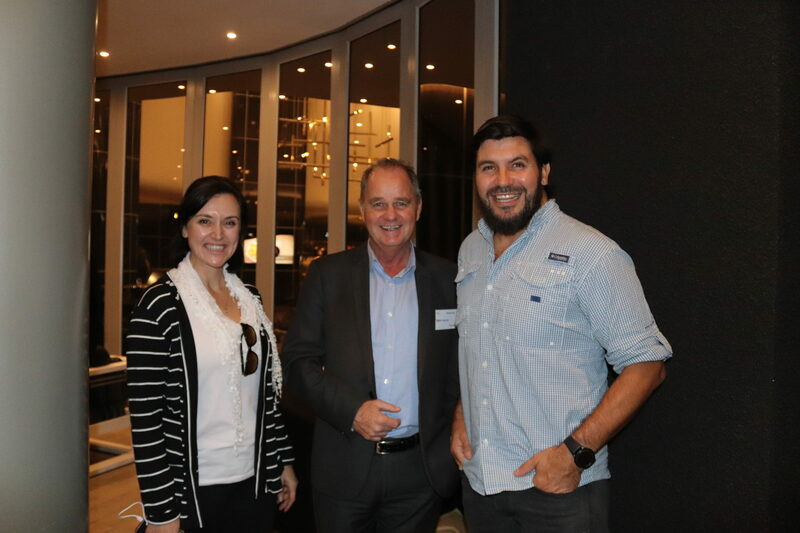 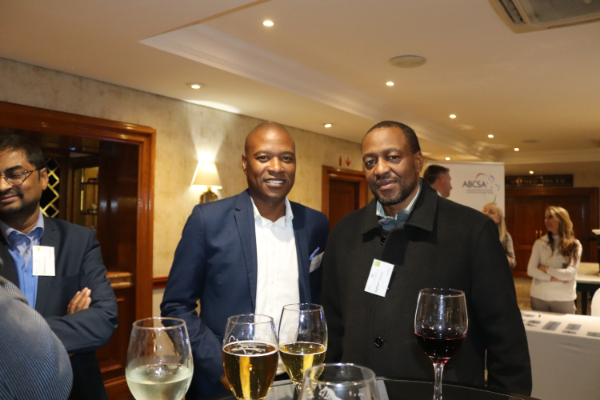 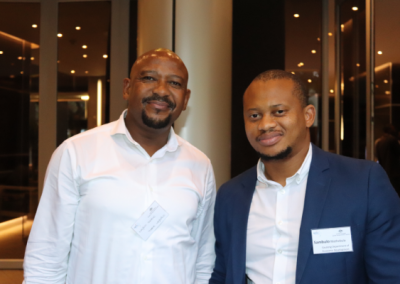 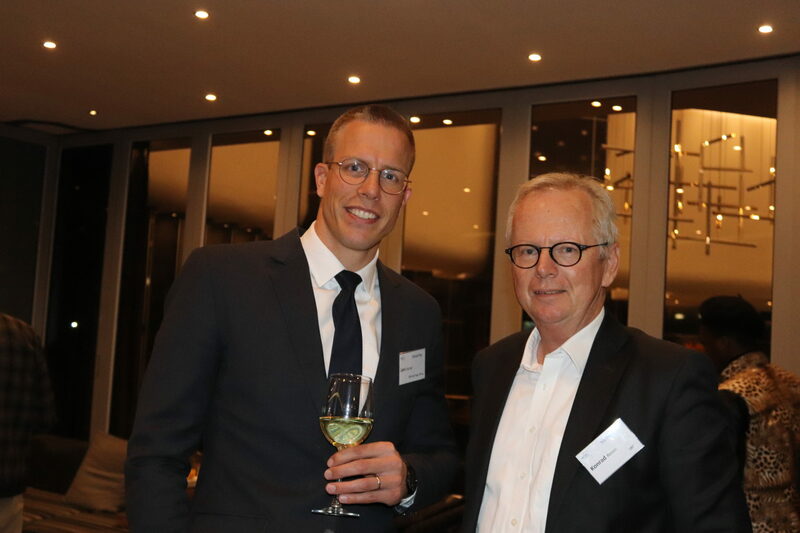 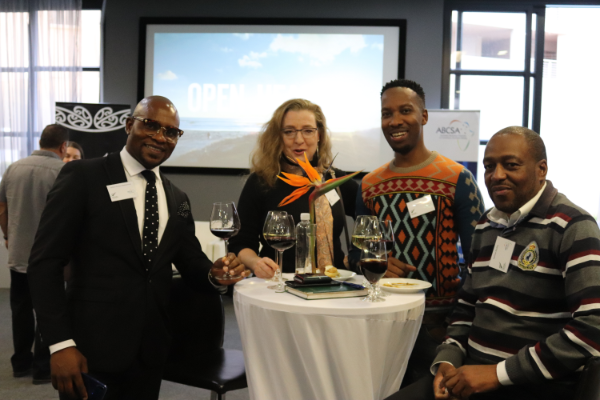 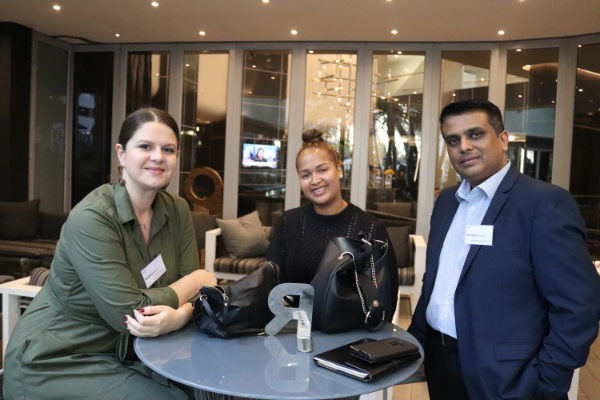 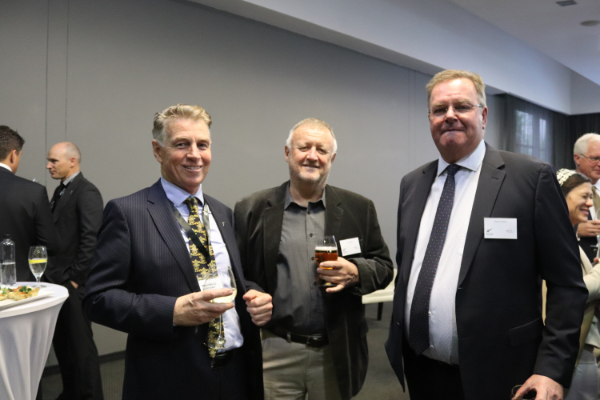 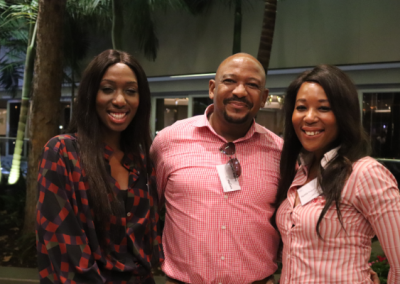 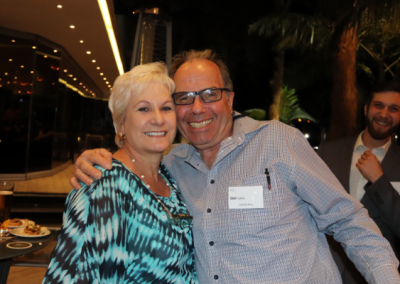 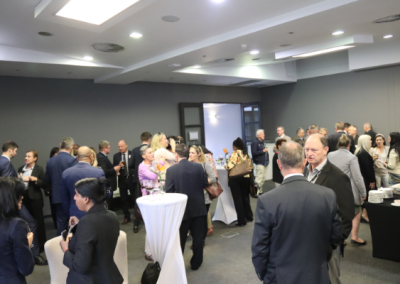 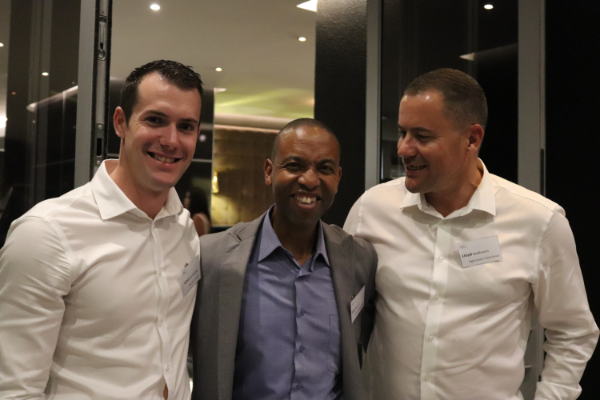 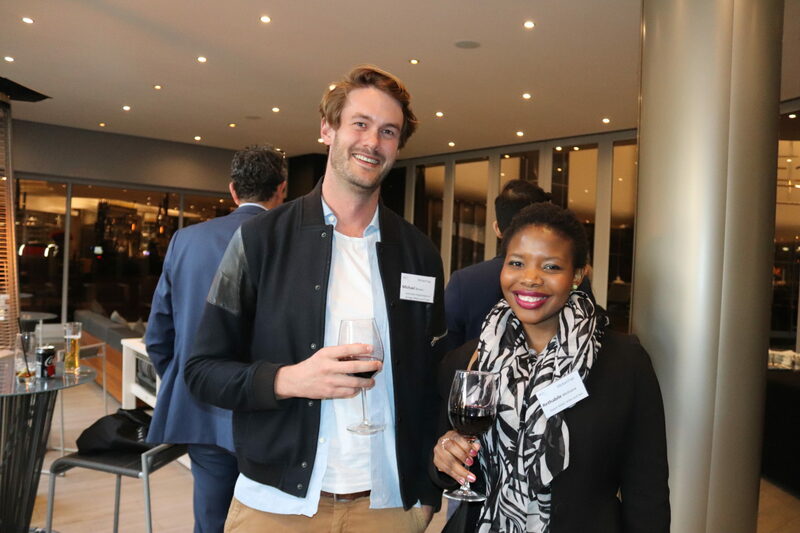 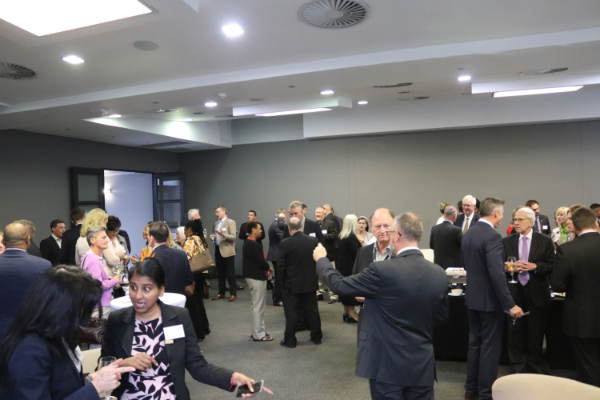 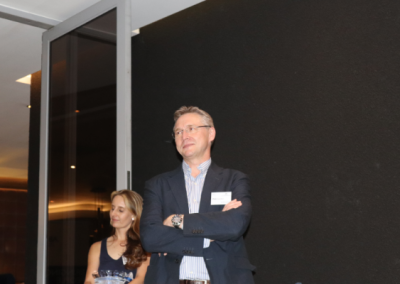 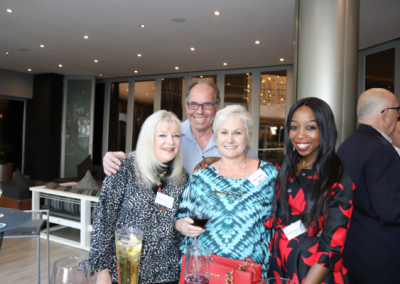 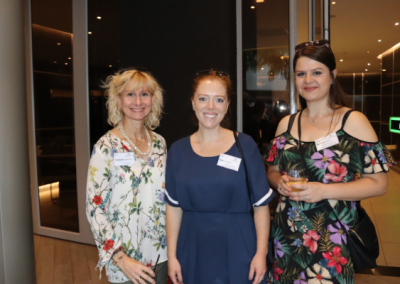 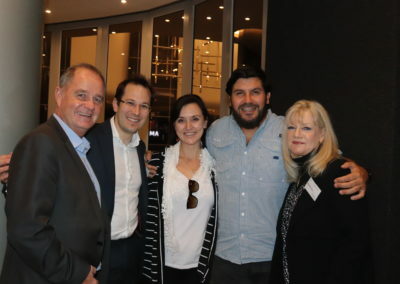 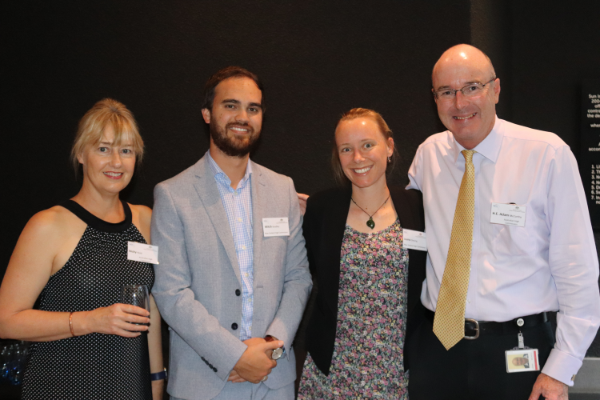 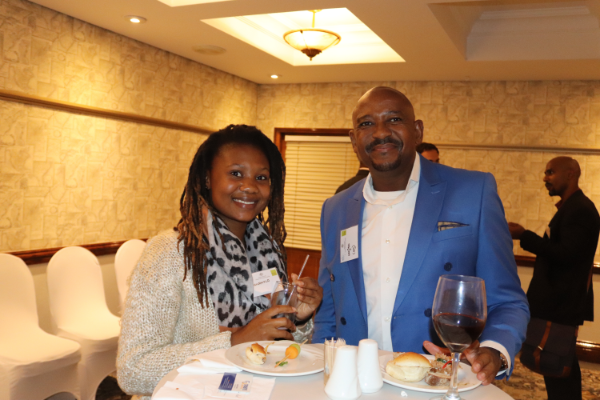 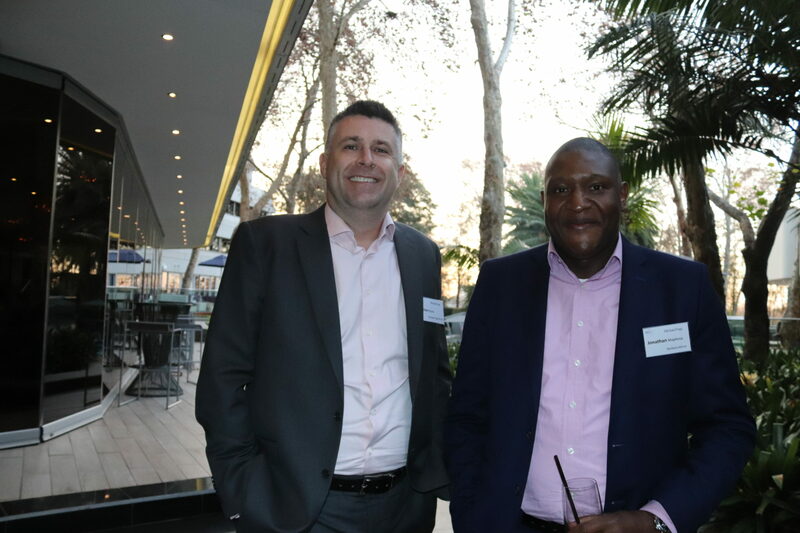 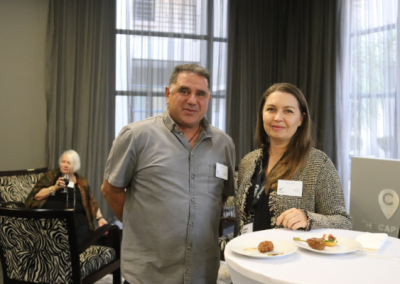 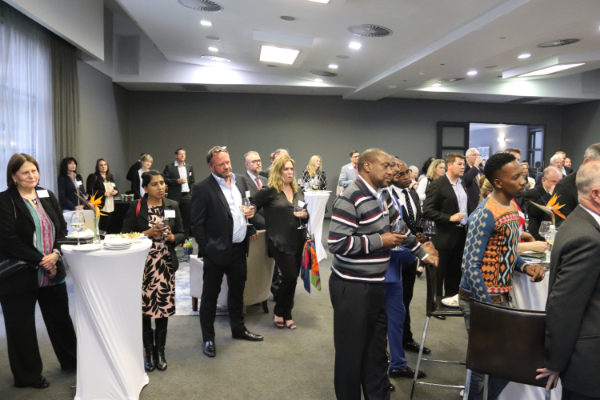 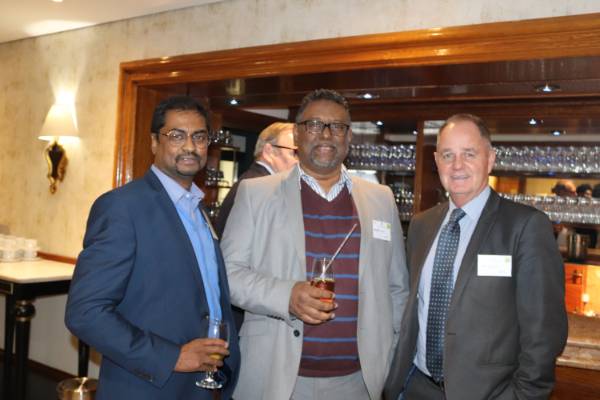 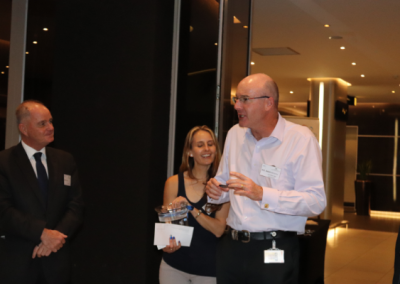 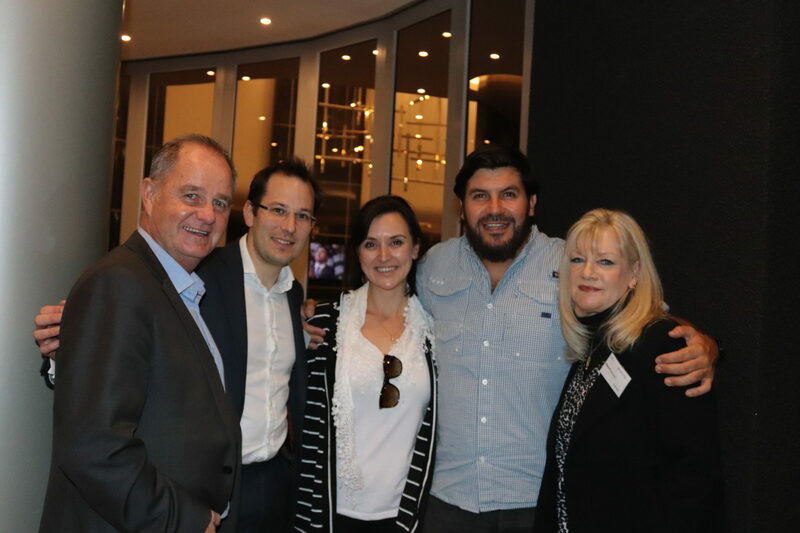 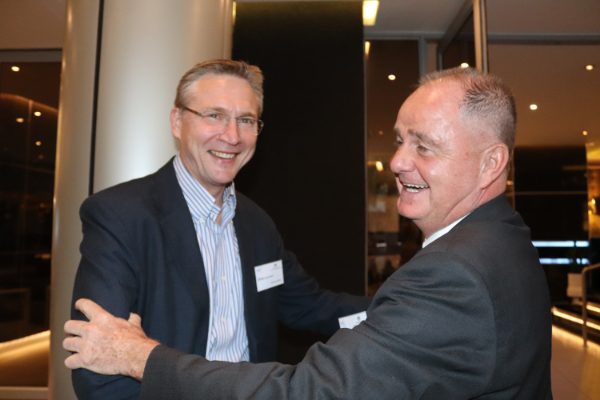 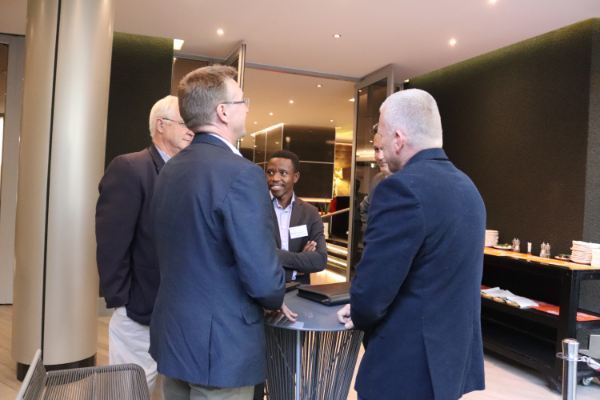 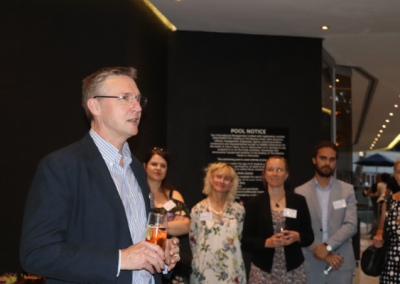 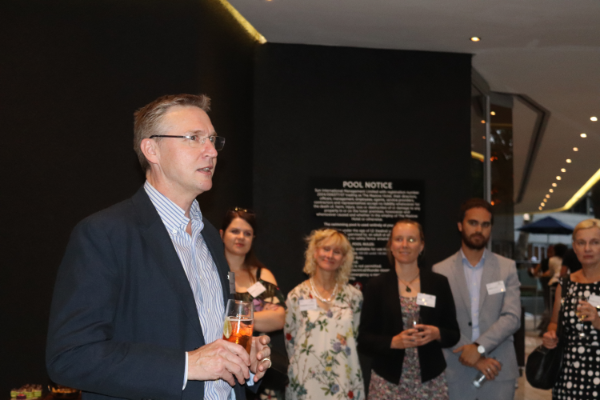 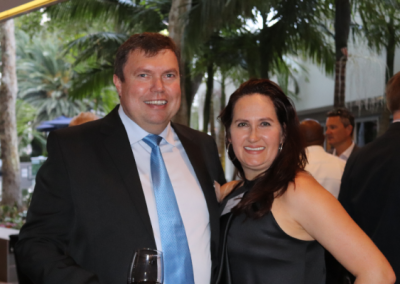 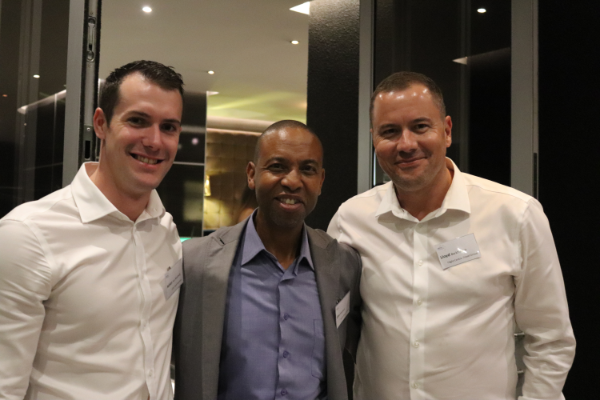 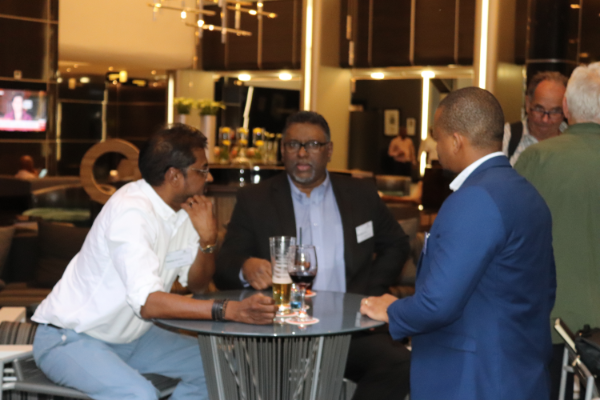 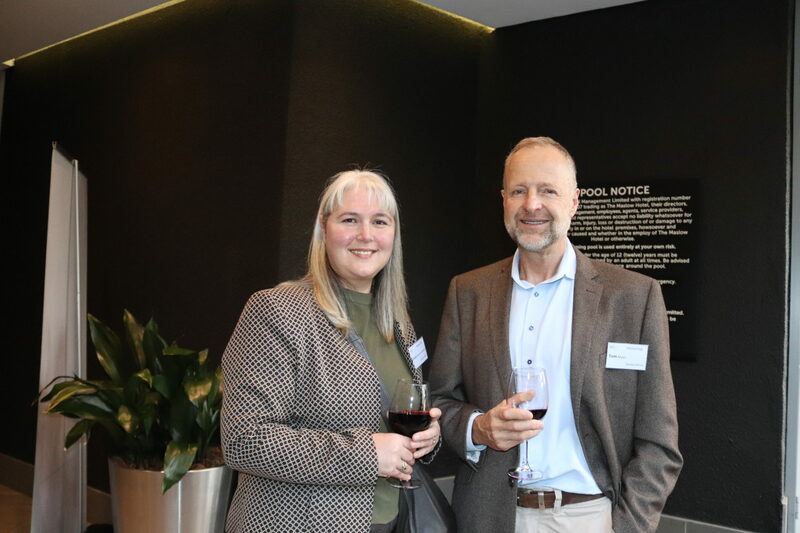 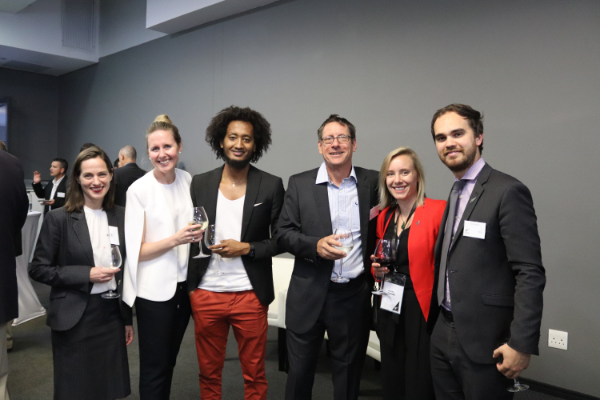 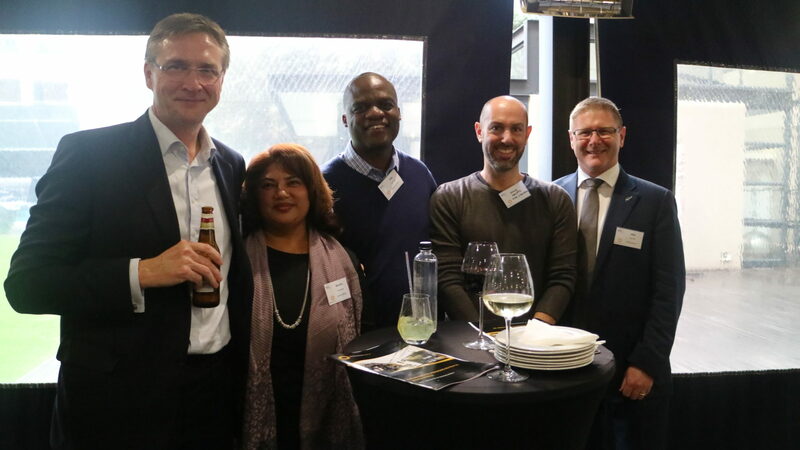 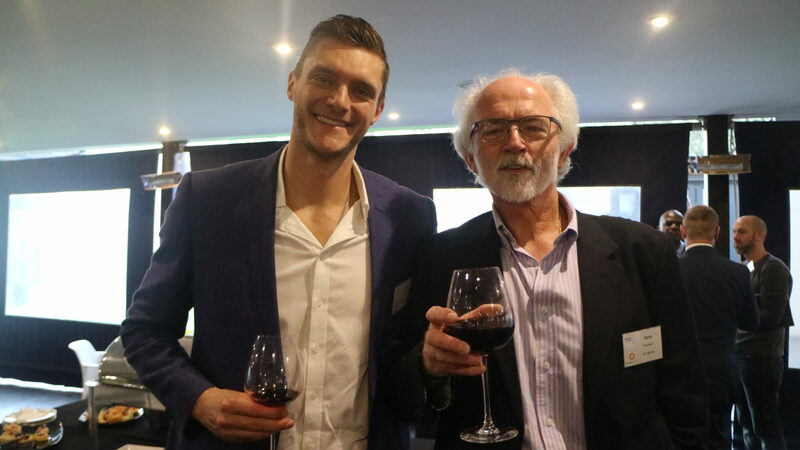 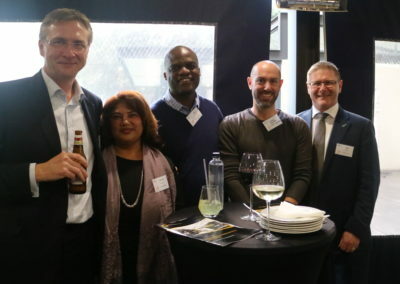 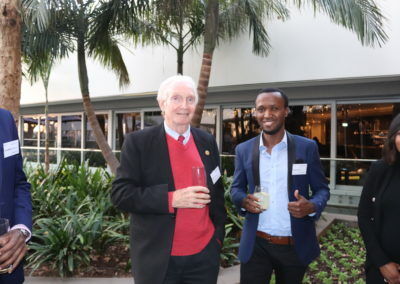 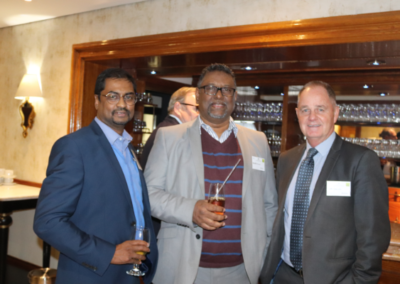 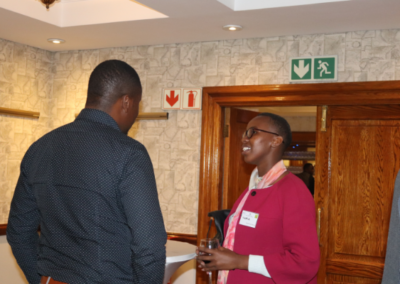 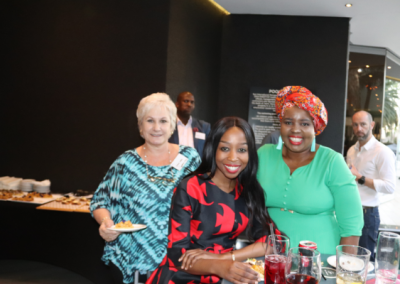 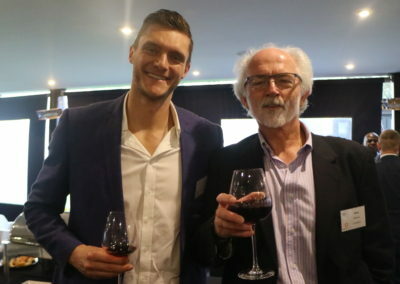 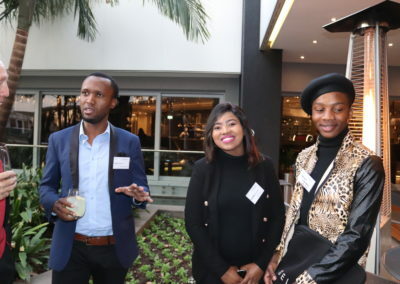 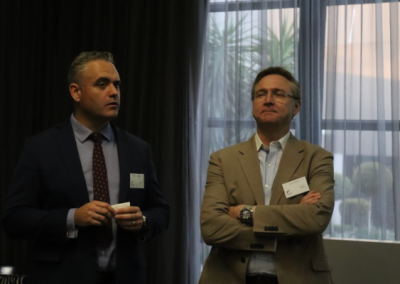 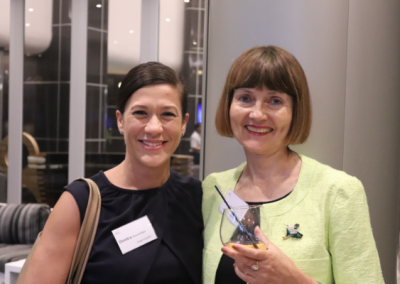 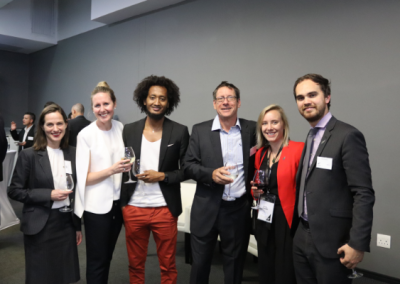 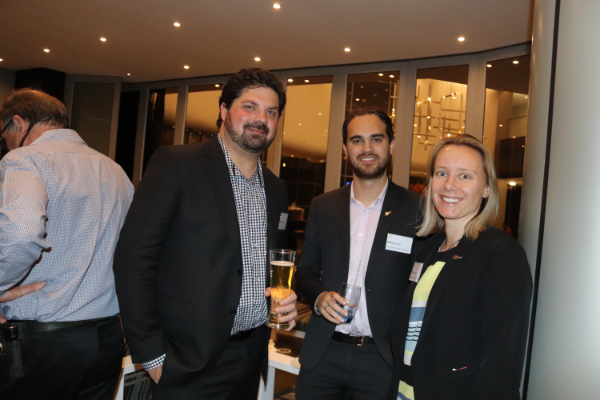 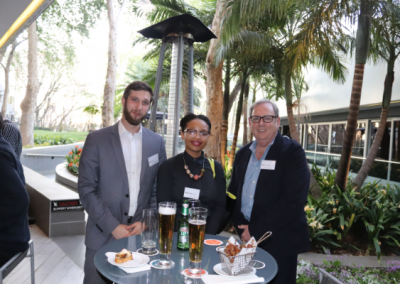 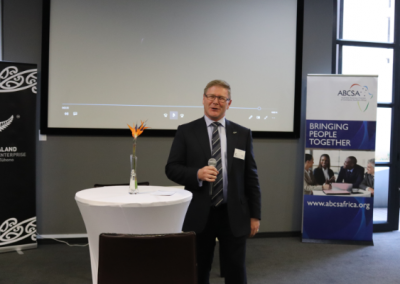 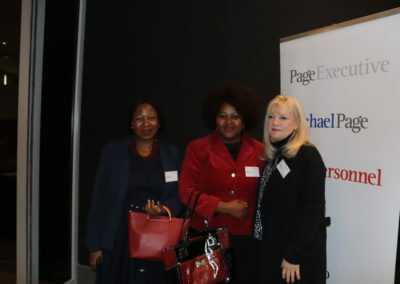 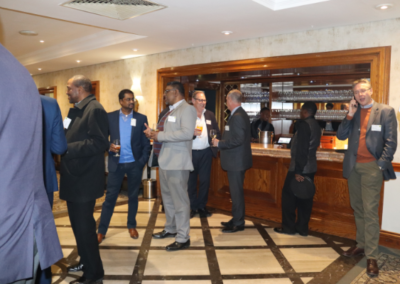 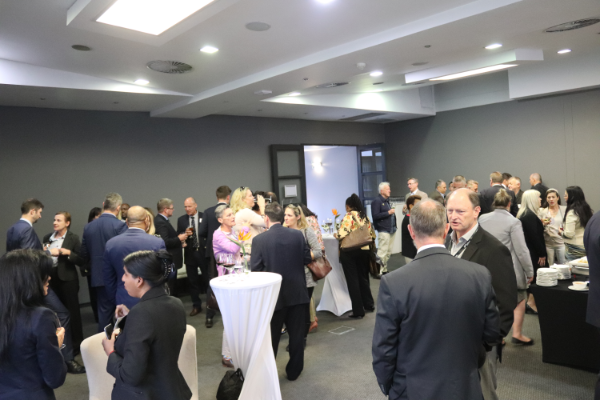 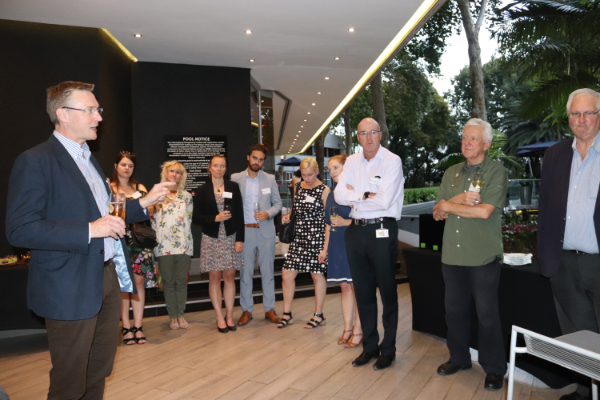 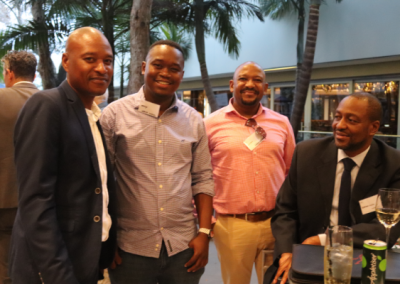 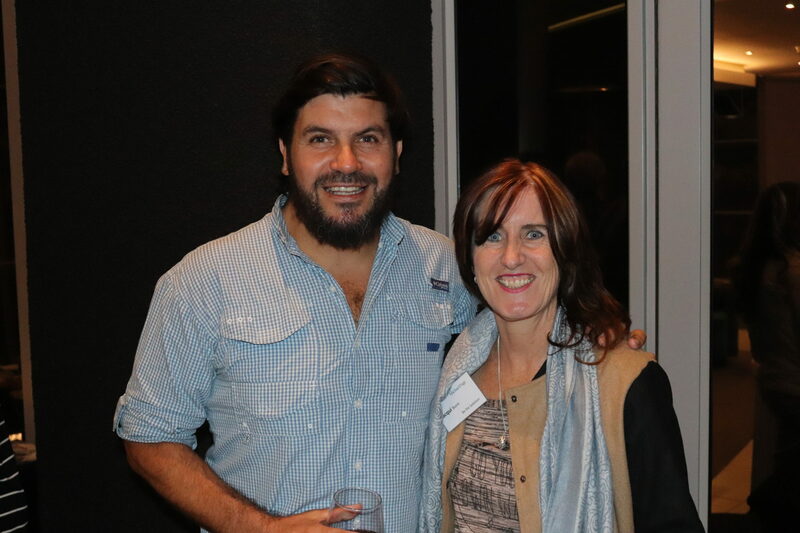 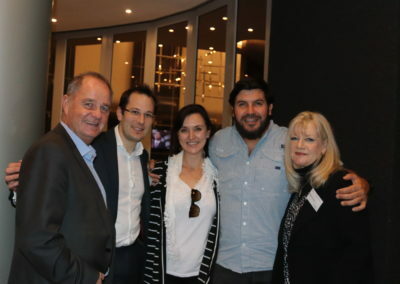 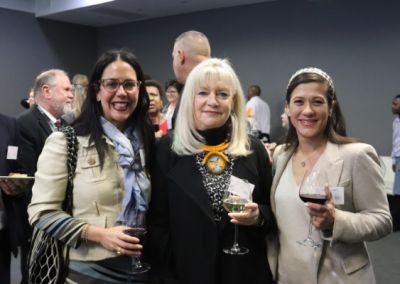 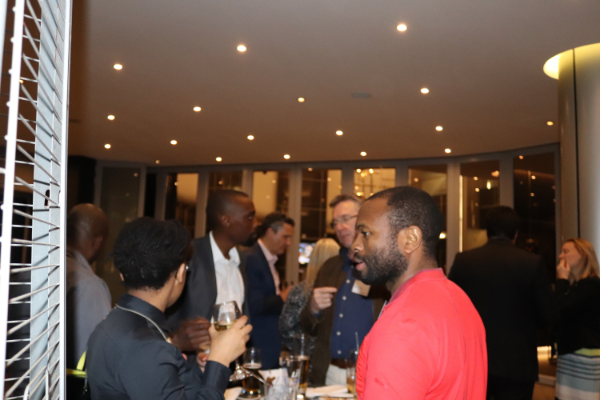 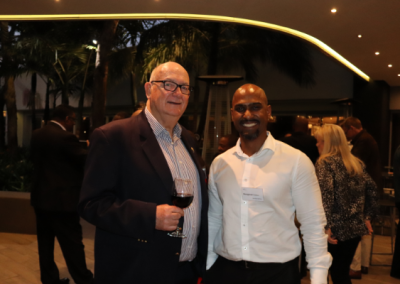 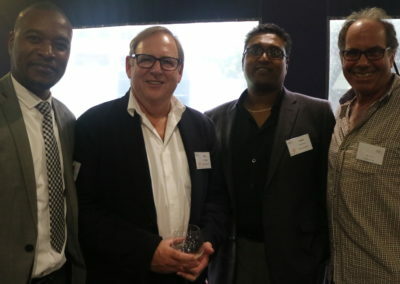 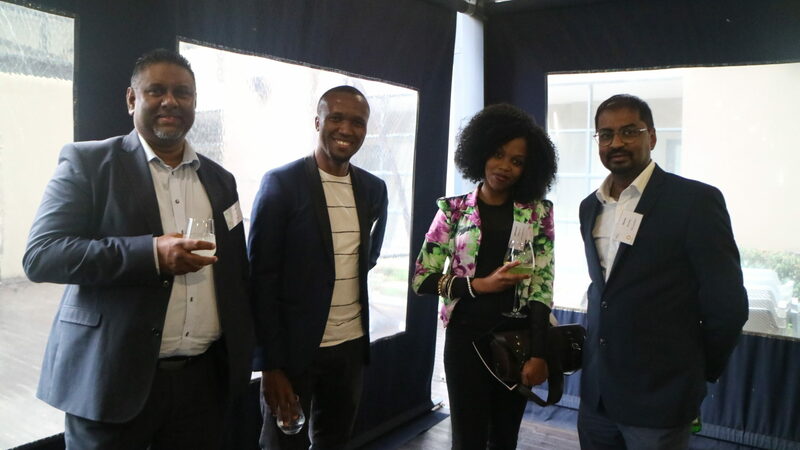 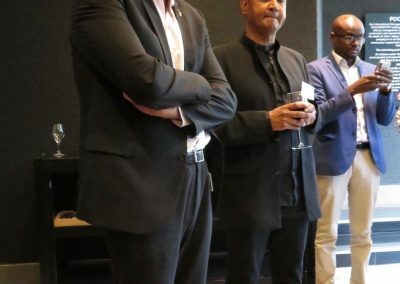 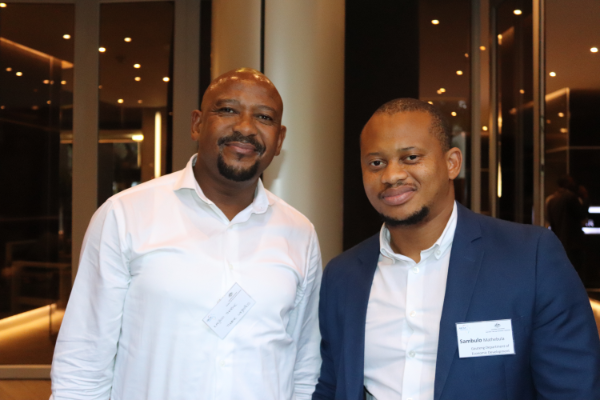 Michael Page was pleased to sponsor the monthly ABCSA networking drinks at the Maslow Hotel on 21 June and it was a great farewell for our ABCSA Vice-Chair Nathan Byrne. Nathan has been offered a position with Michael Page in the United States and we wish him all the best of luck. 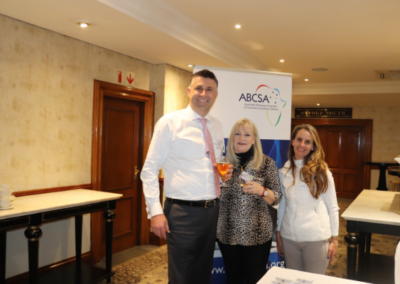 Nathan was one of the original ABCSA Board members and we thank him for his years of support of ABCSA. 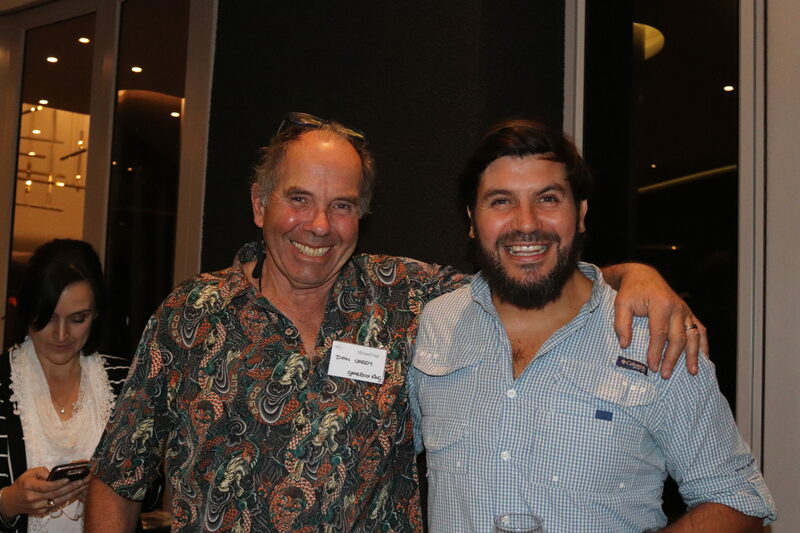 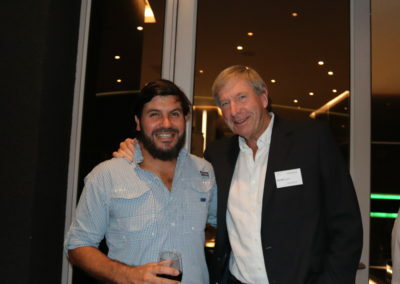 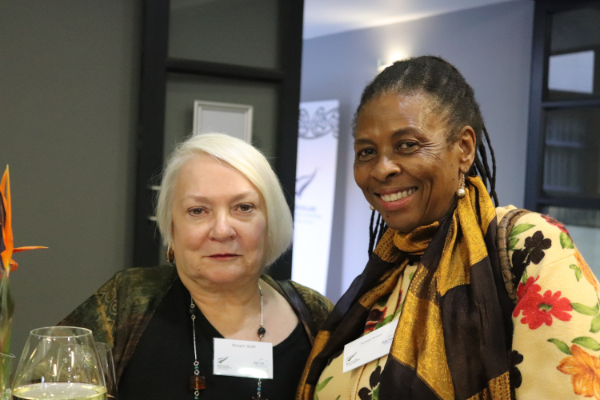 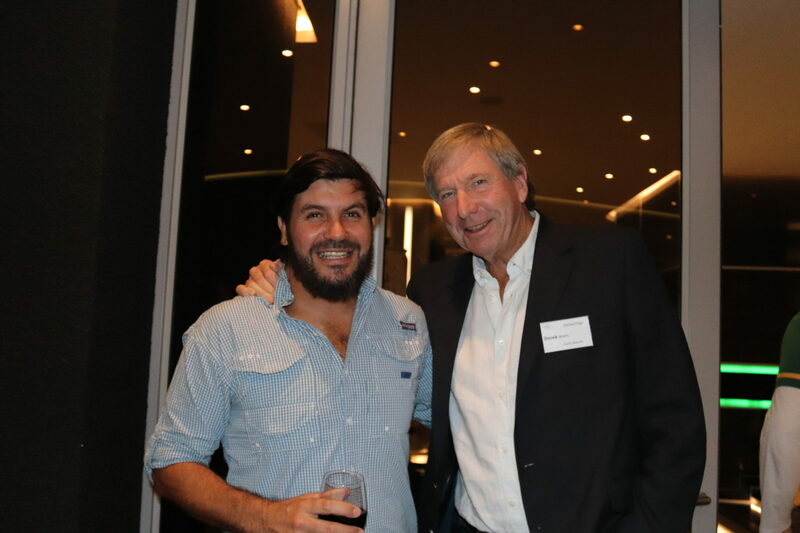 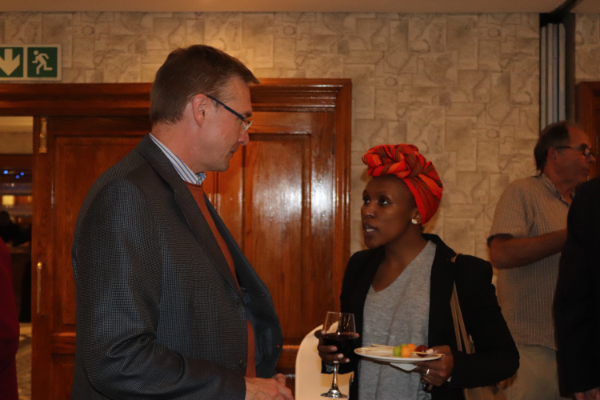 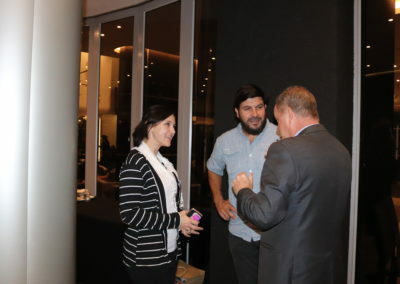 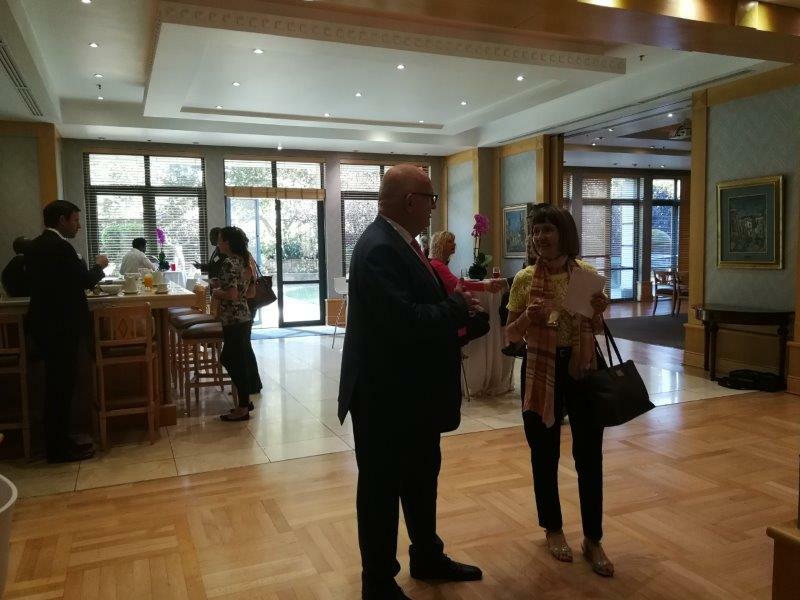 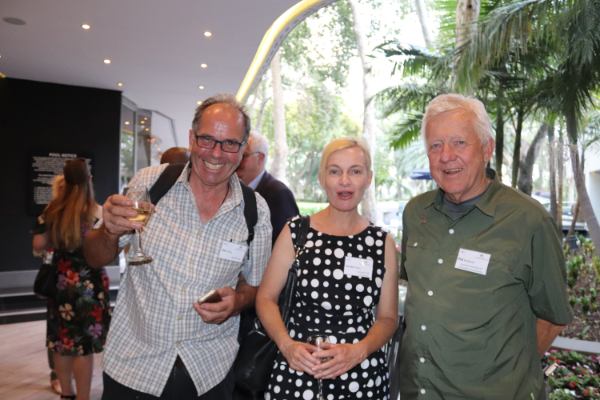 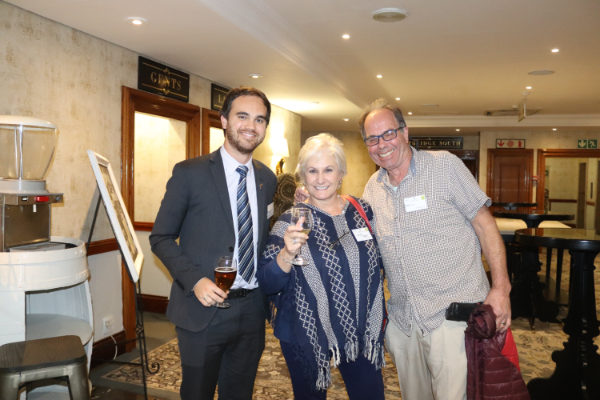 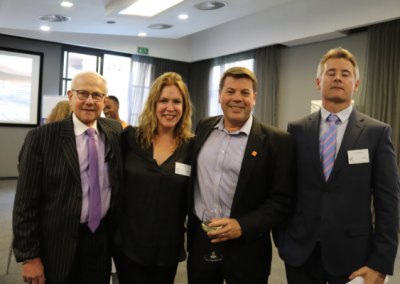 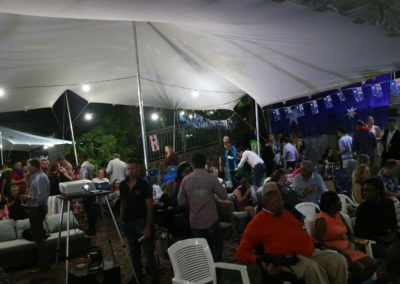 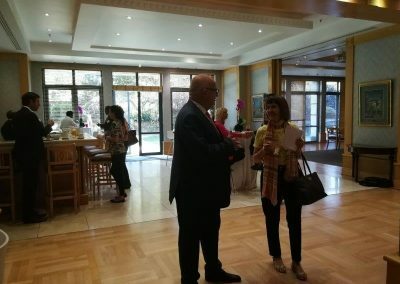 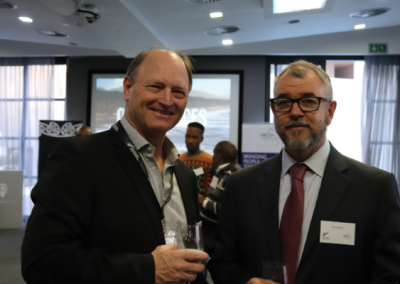 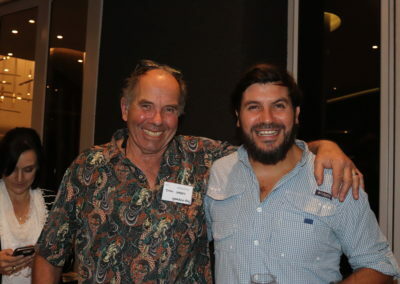 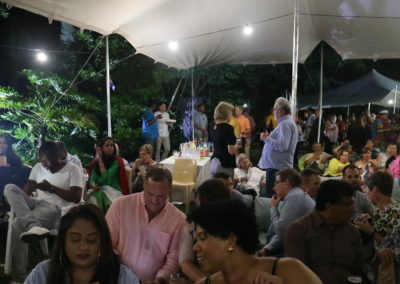 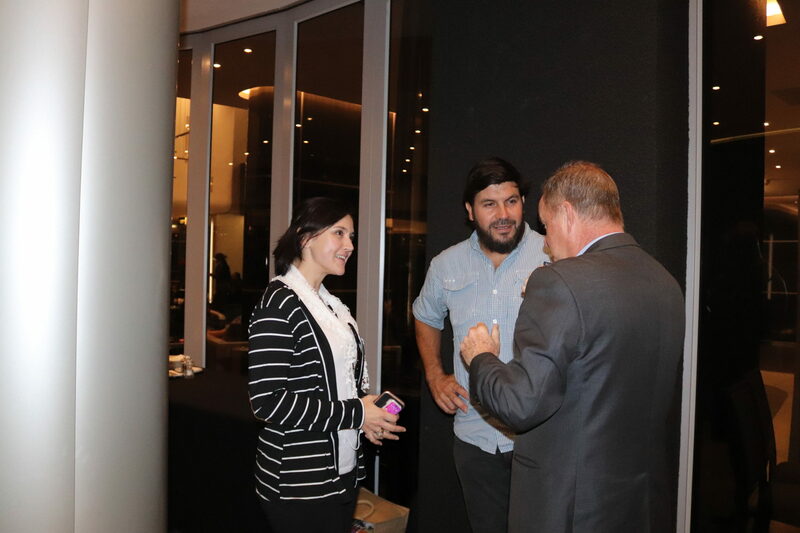 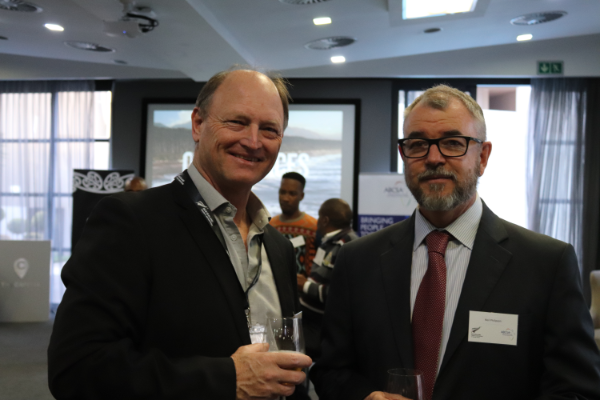 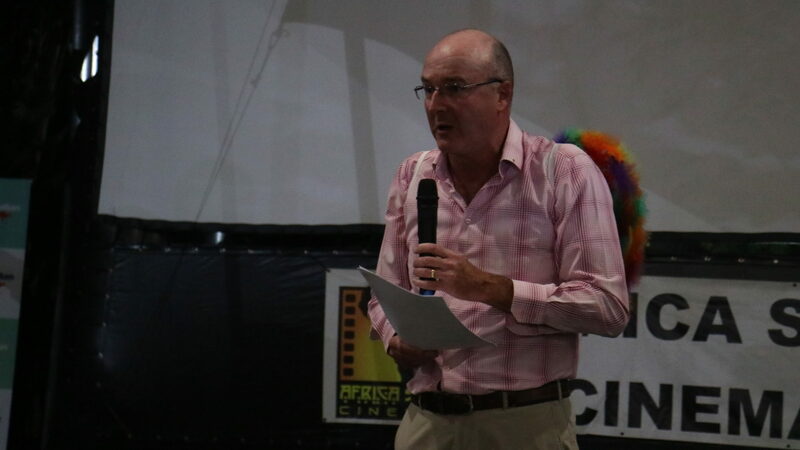 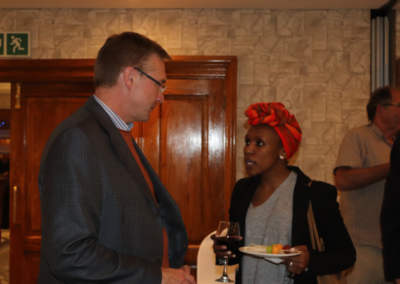 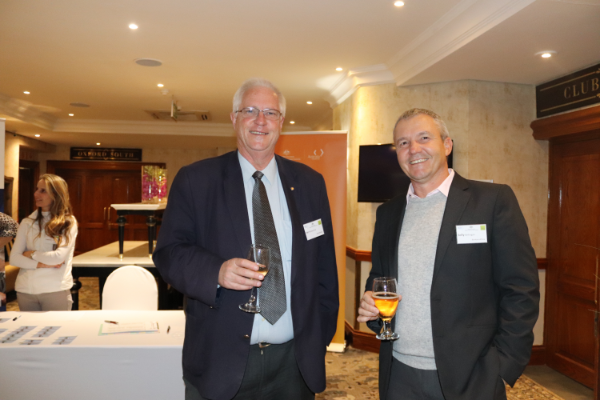 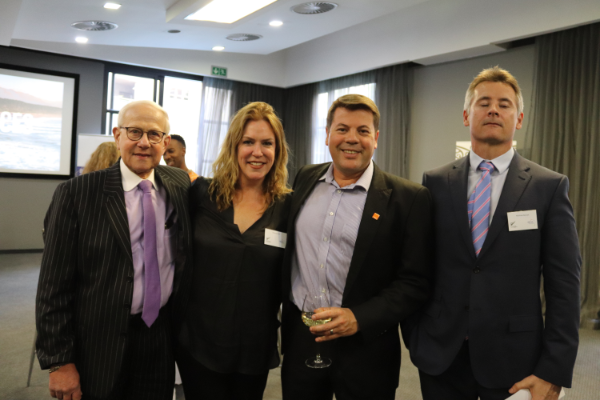 ABCSA was pleased to welcome at the networking drinks Carte Blanche journalist Derek Watts and South African explorer Riaan Manser, along with a number of Australian Government supported volunteers who are placed in various NGOs throughout Gauteng. 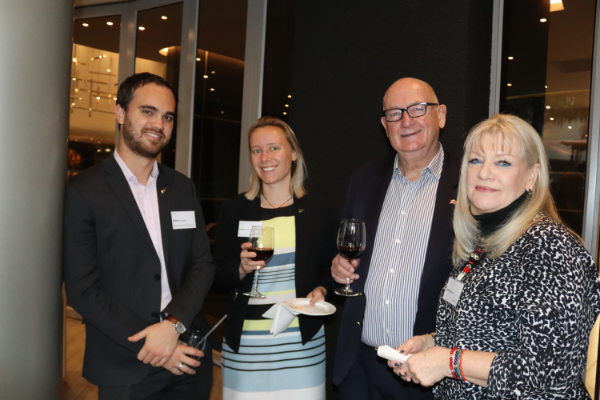 The chamber held its monthly networking drinks – third Thursday each month – on 17 May at the venerable Balalaika in Sandown – a quirky but pleasant venue. The Australian Trade Commission and Hogan Lovell were our kind sponsors this month, allowing us to regale the throng with a fine selection of drinks and tasty treats. 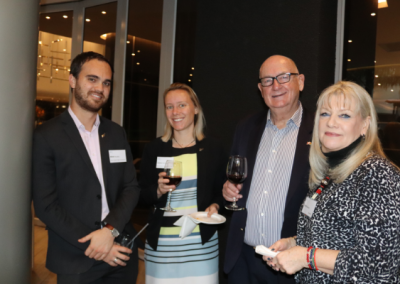 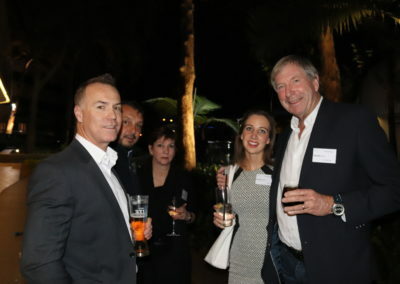 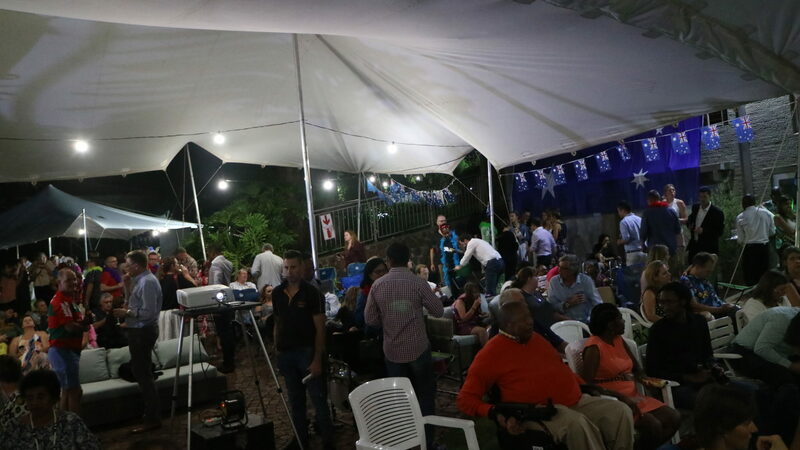 While we are still establishing this regular event, it is already clear that there are some keen “regulars” – and what better way to unwind late in the month than with some convivial Australians and New Zealanders?